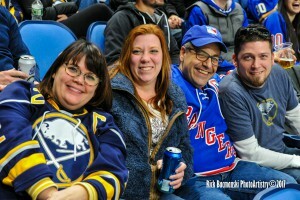 My New Buddies…Henrik The King’s Fan Club! 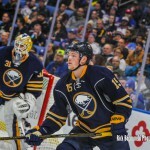 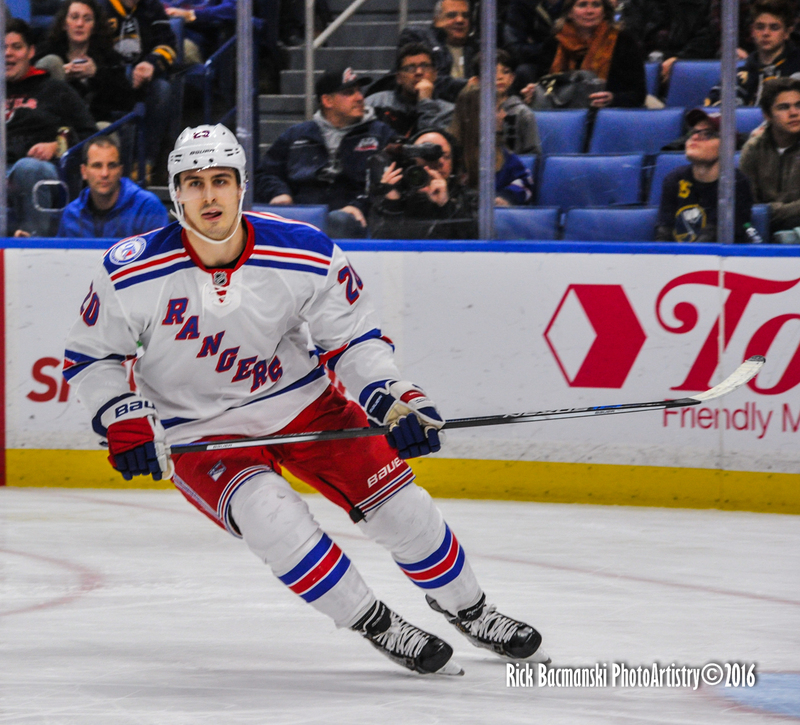 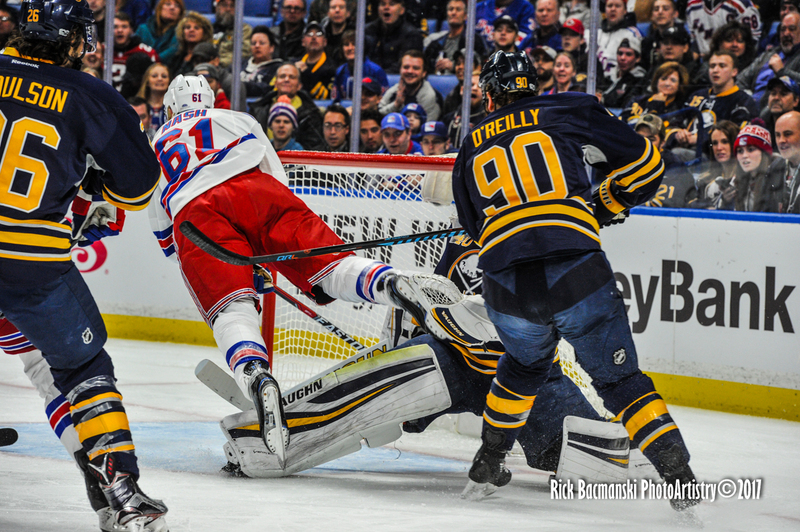 My second RANGERS/Sabres Game of this 2016-2017 Season….2-1 RANGERS WIN in OT on a slick Kris Kreider Goal, down at the Opposite End of the Ice from where I was shooting… Oh Well, Great Win for the Blueshirts! 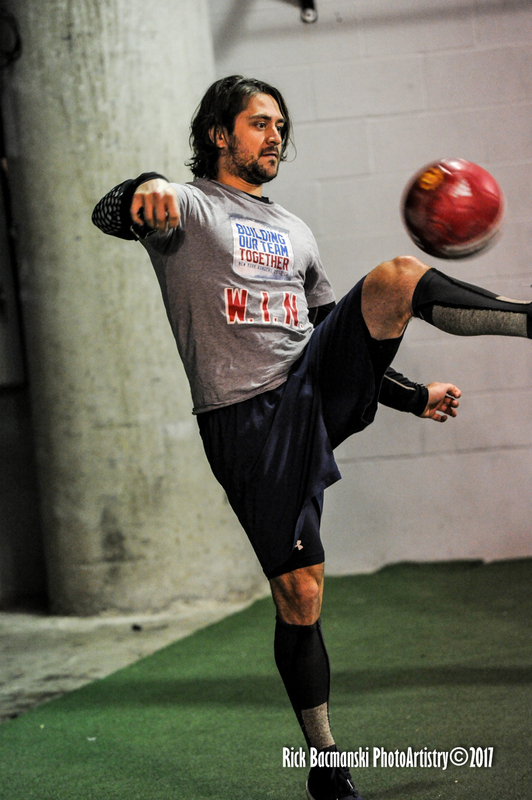 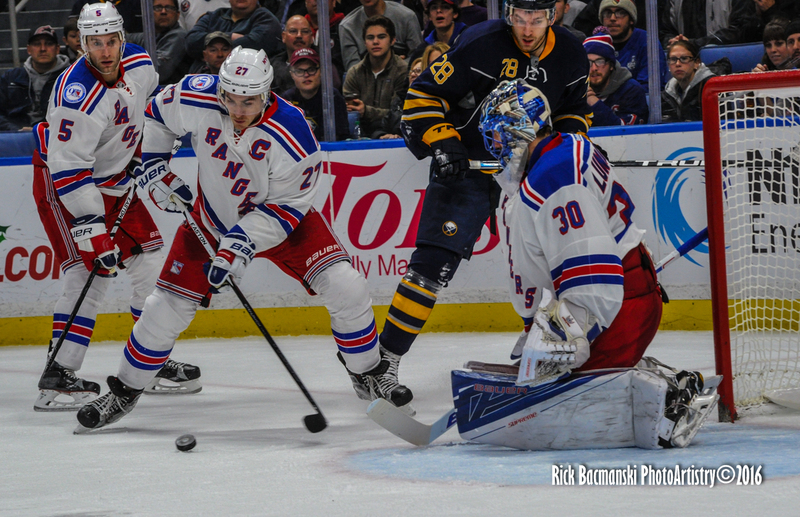 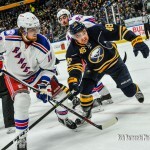 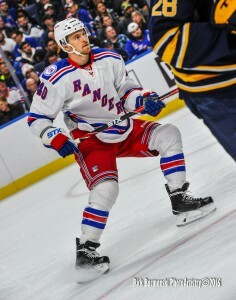 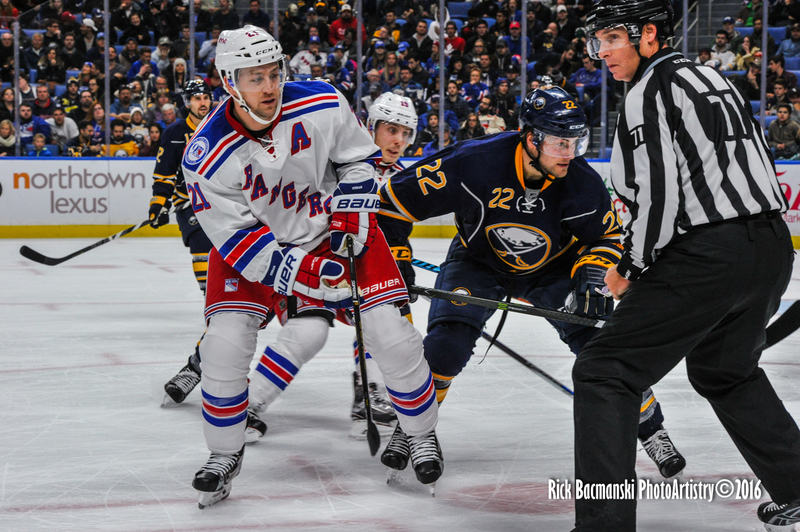 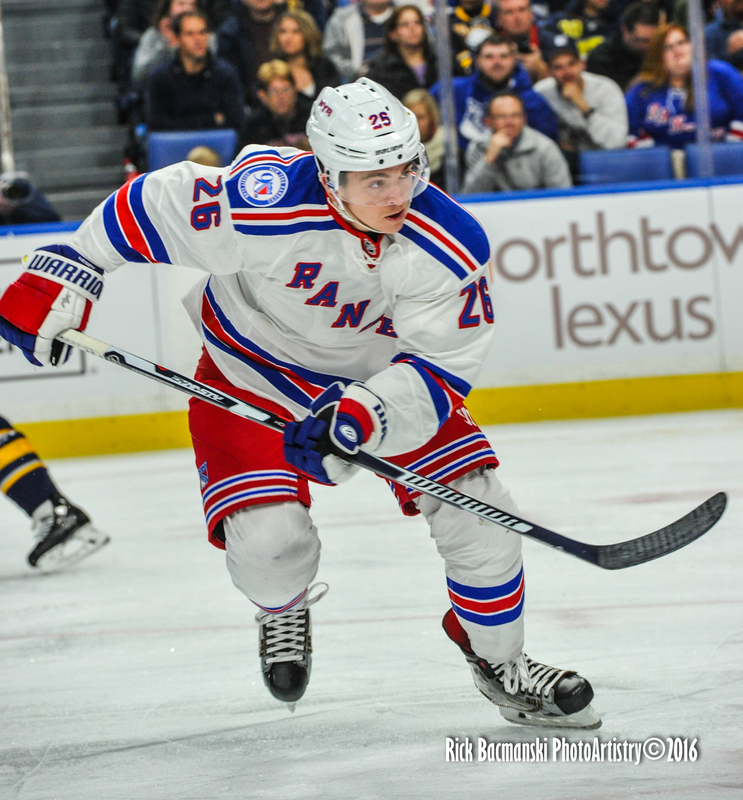 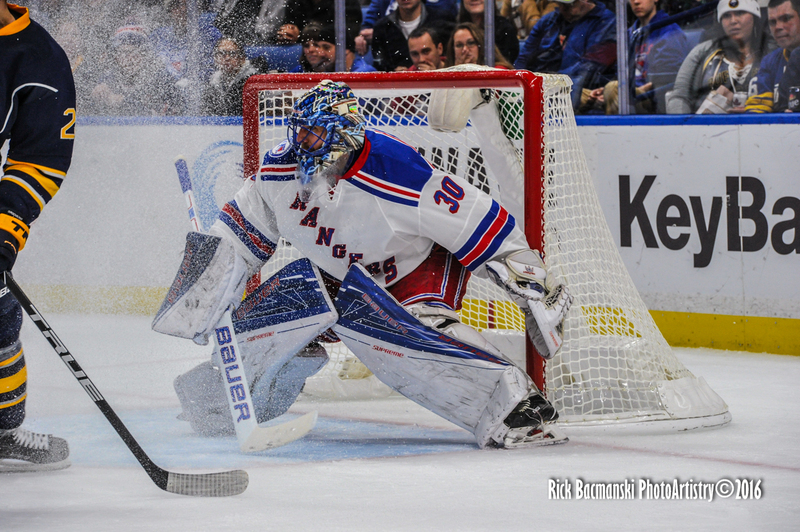 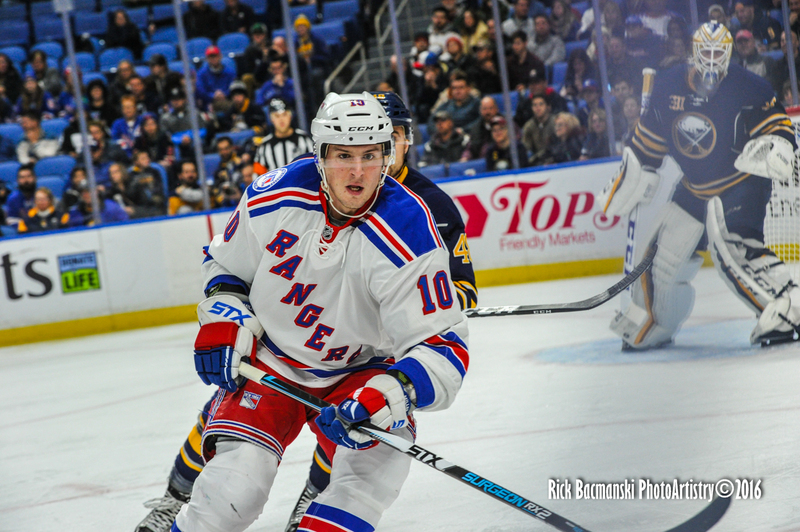 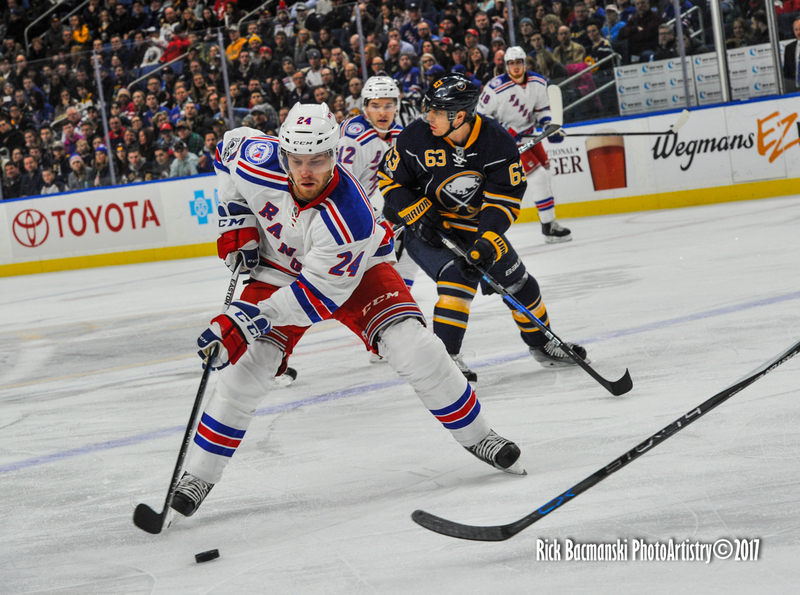 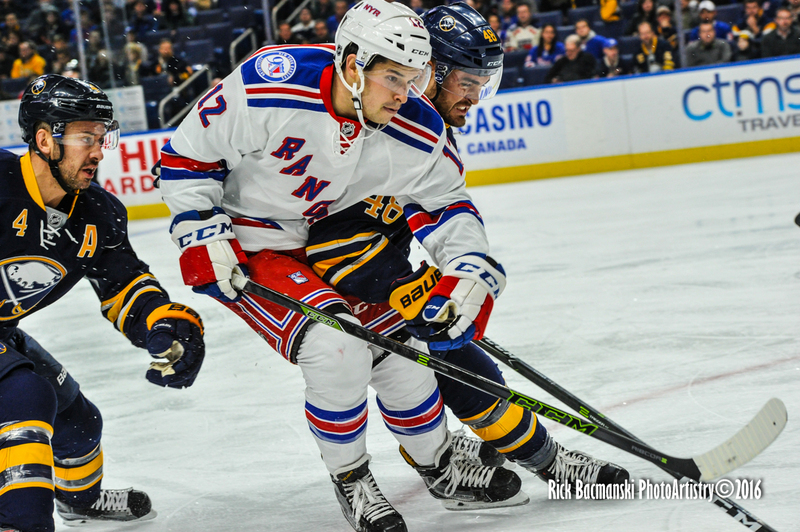 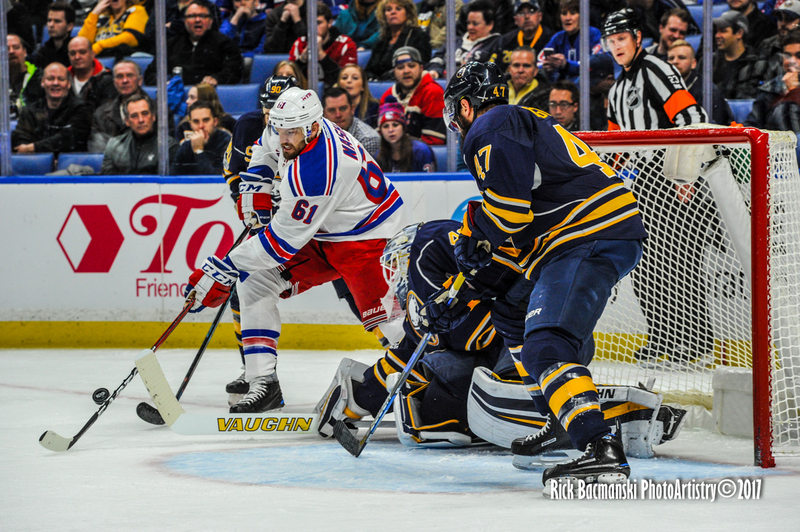 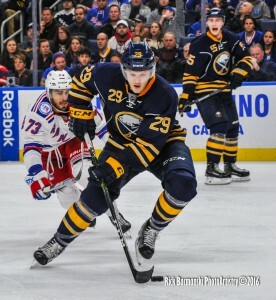 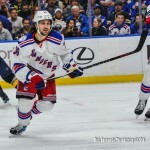 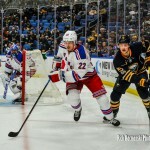 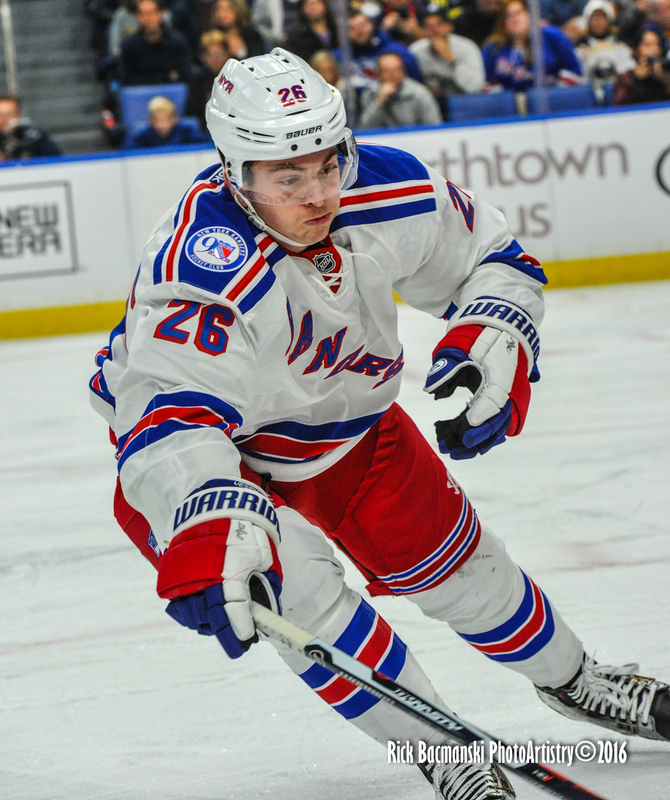 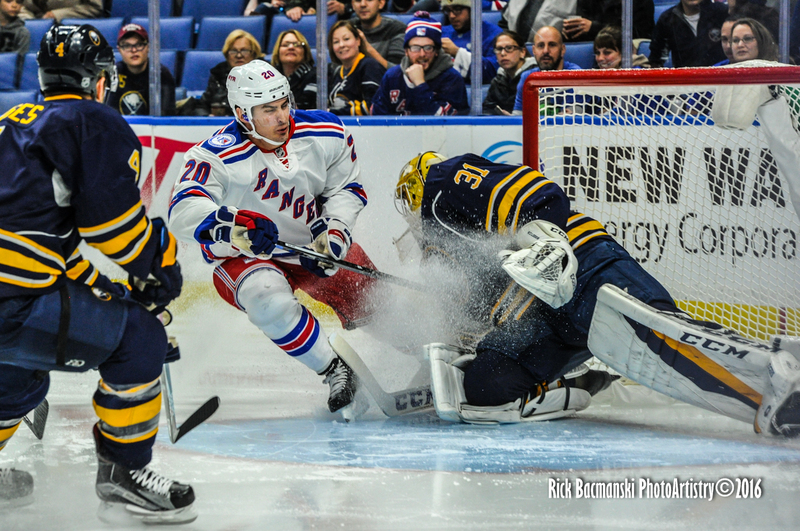 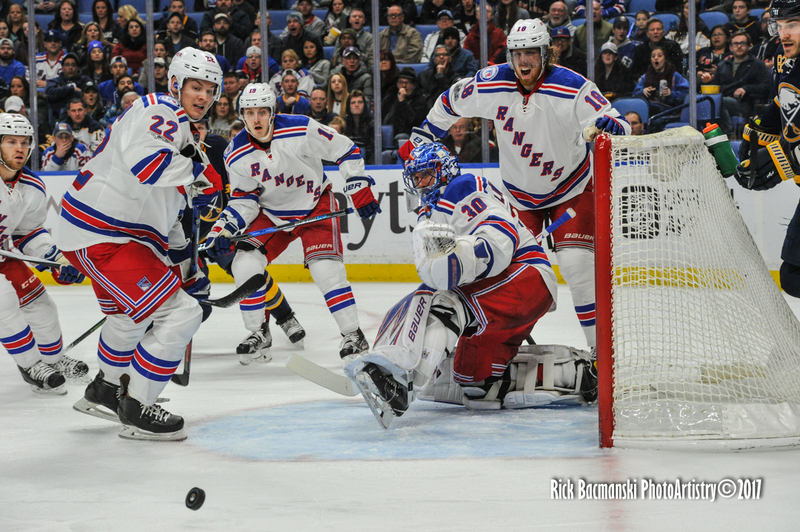 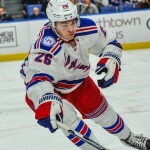 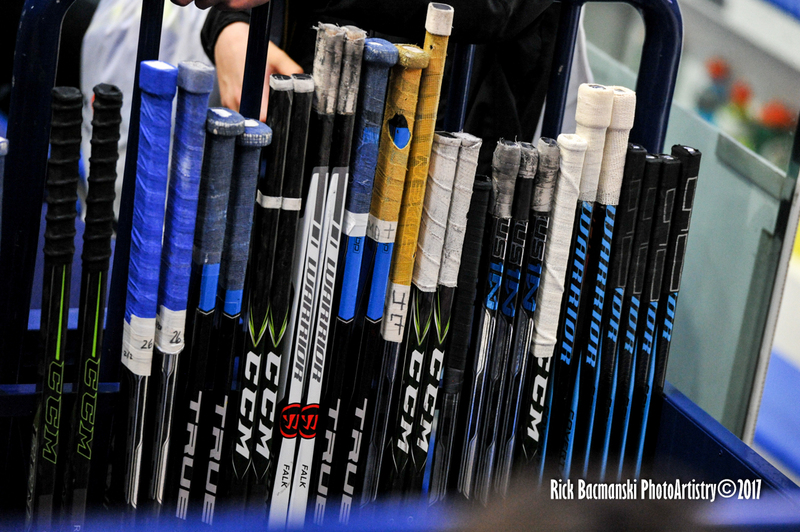 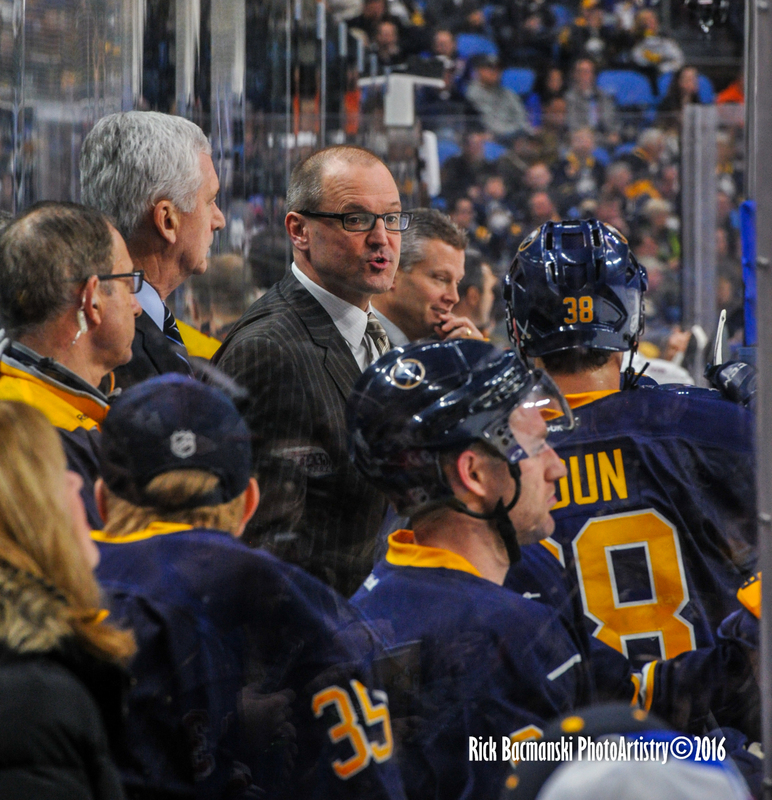 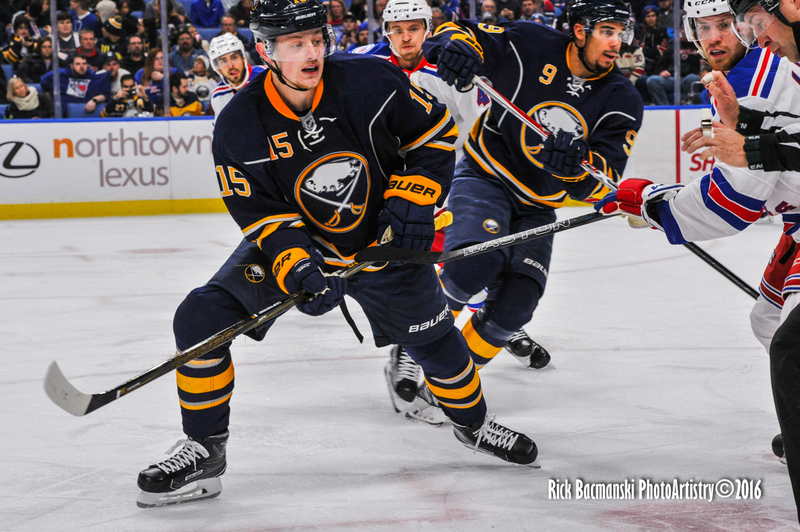 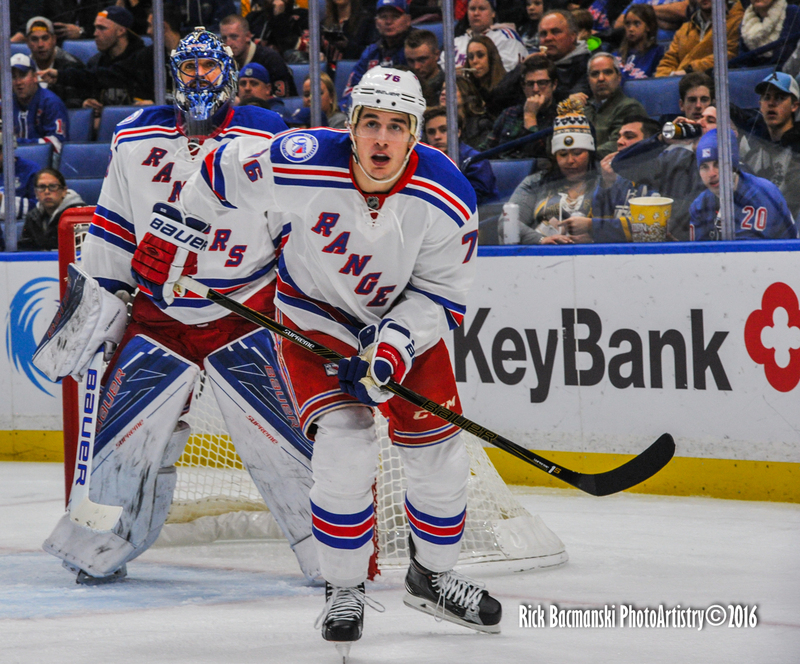 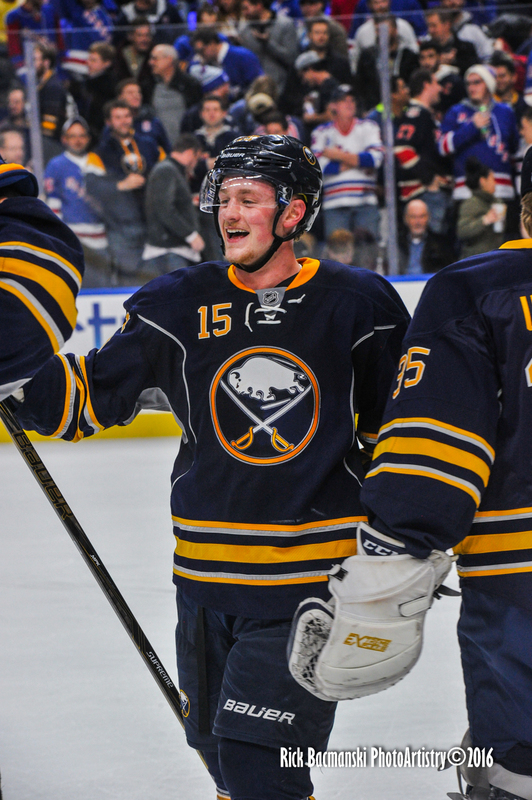 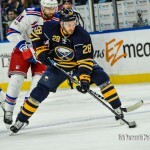 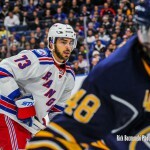 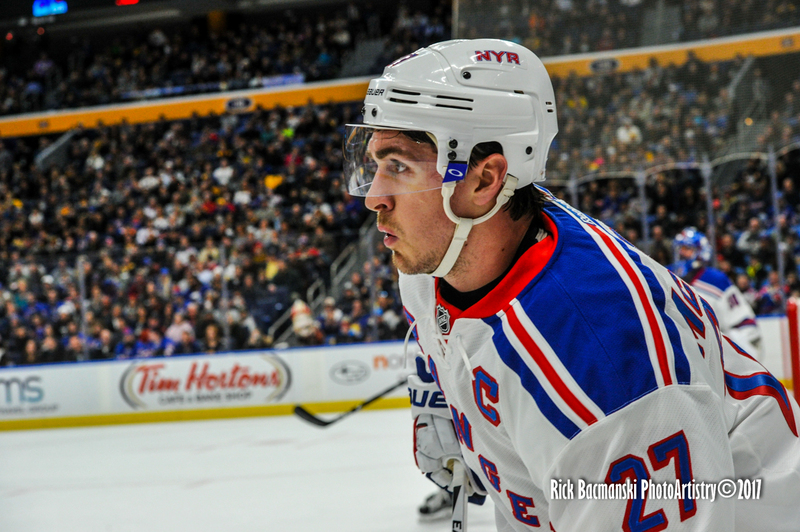 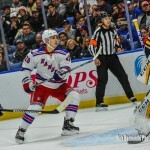 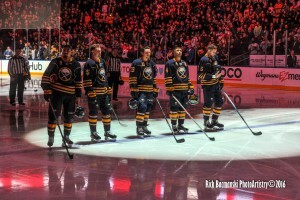 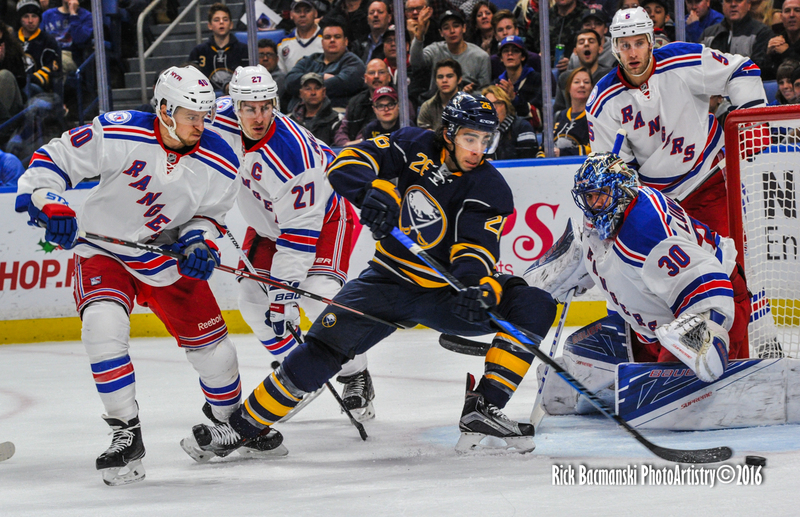 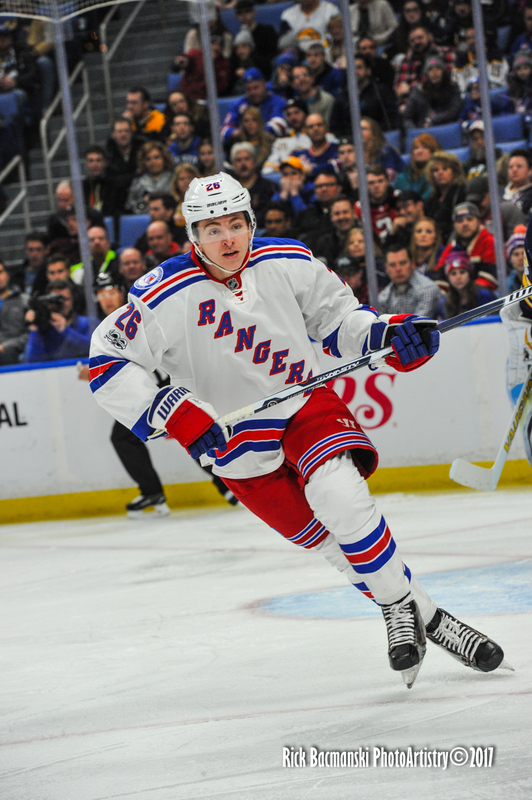 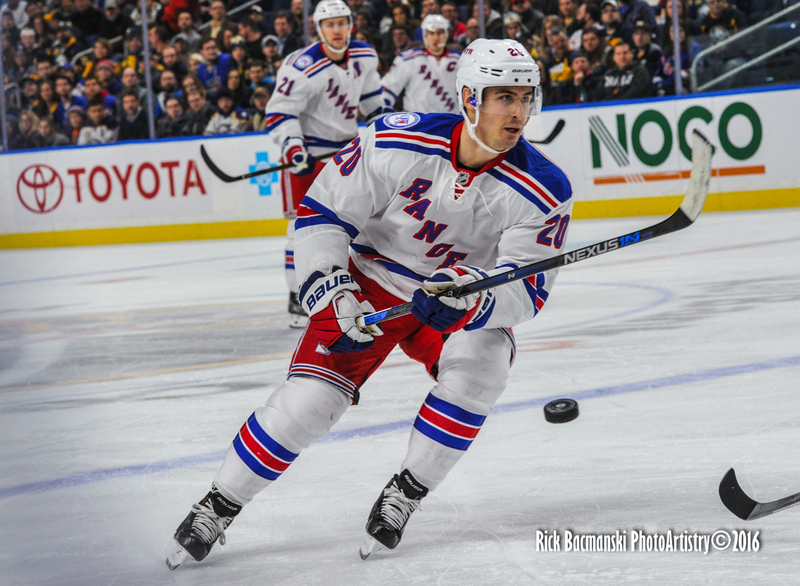 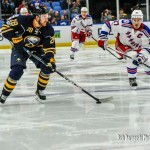 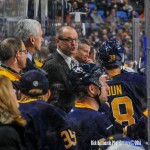 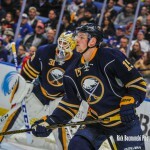 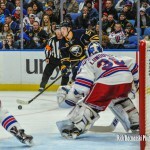 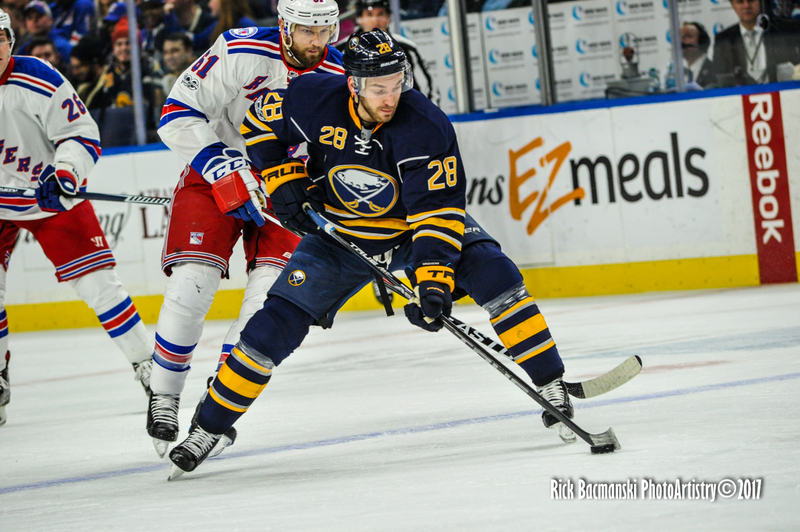 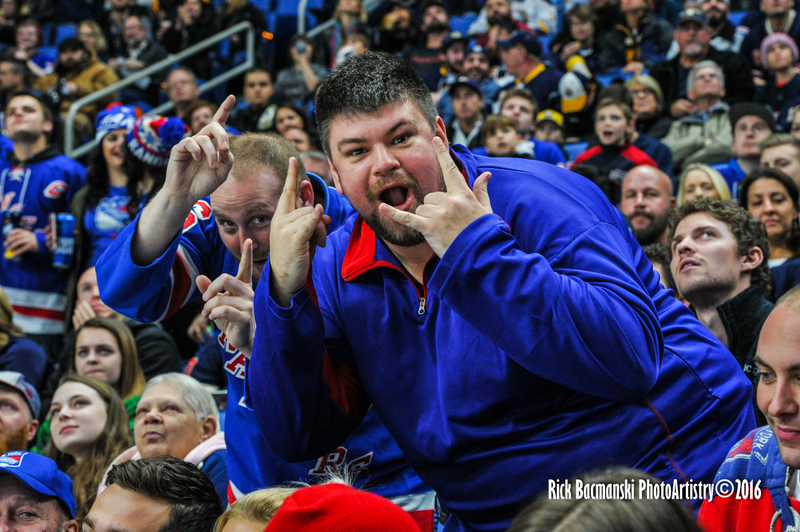 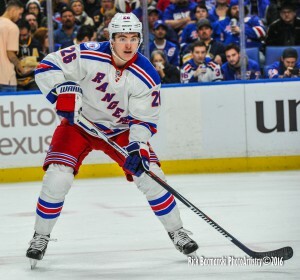 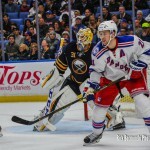 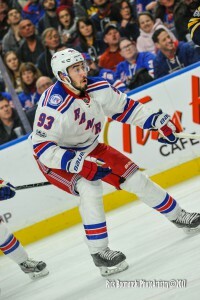 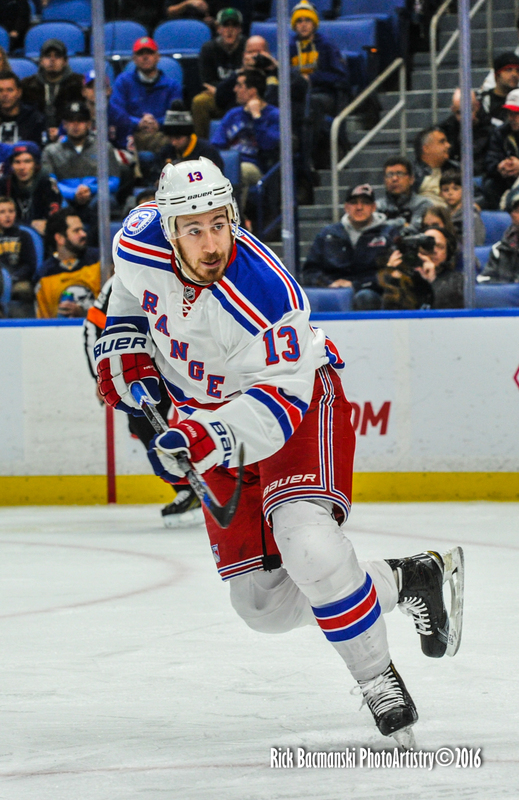 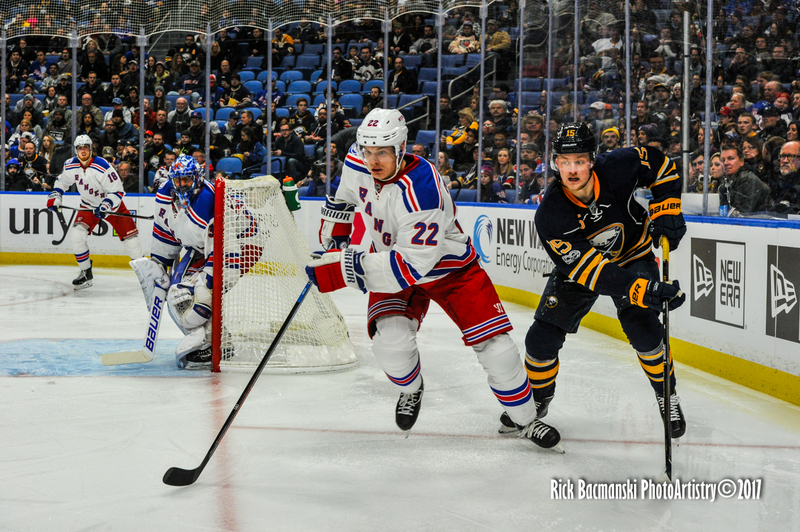 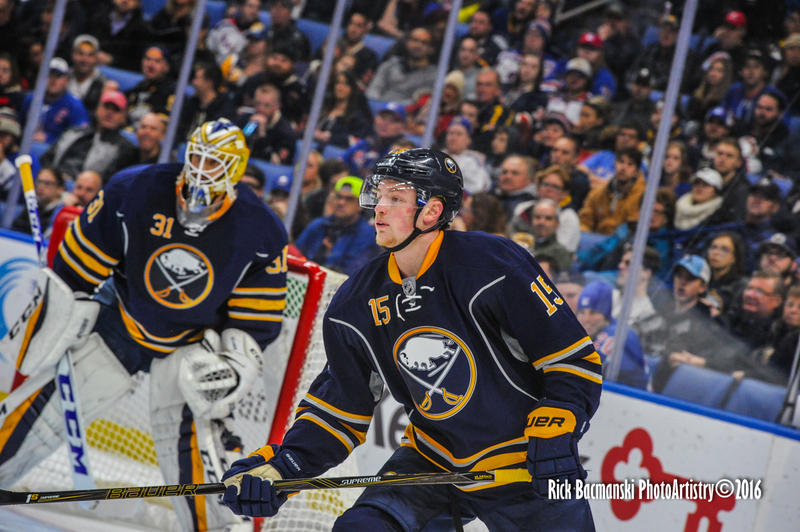 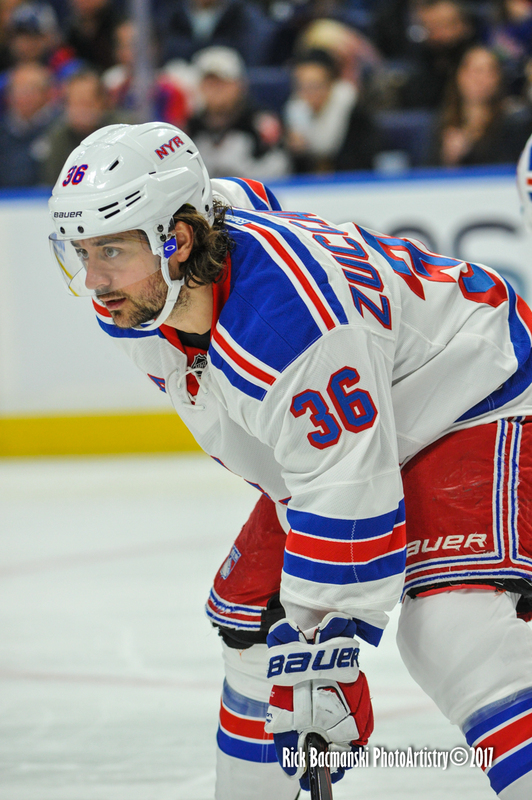 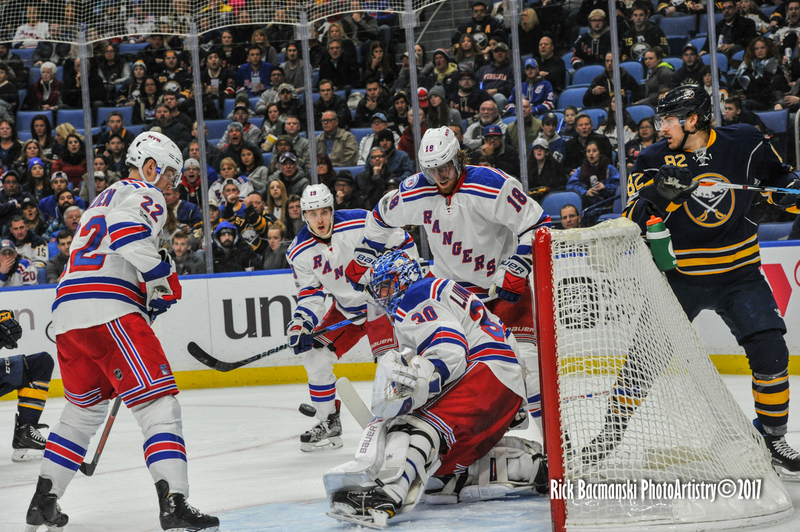 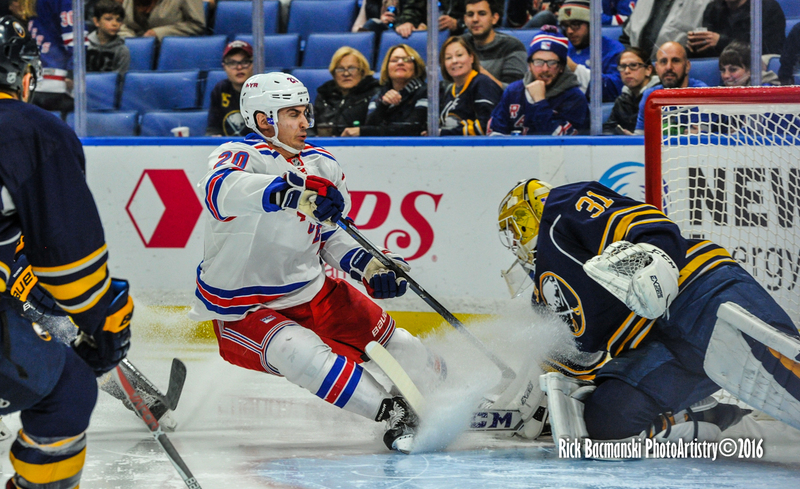 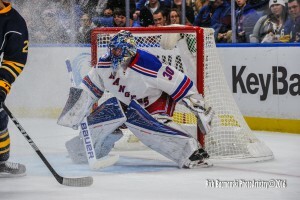 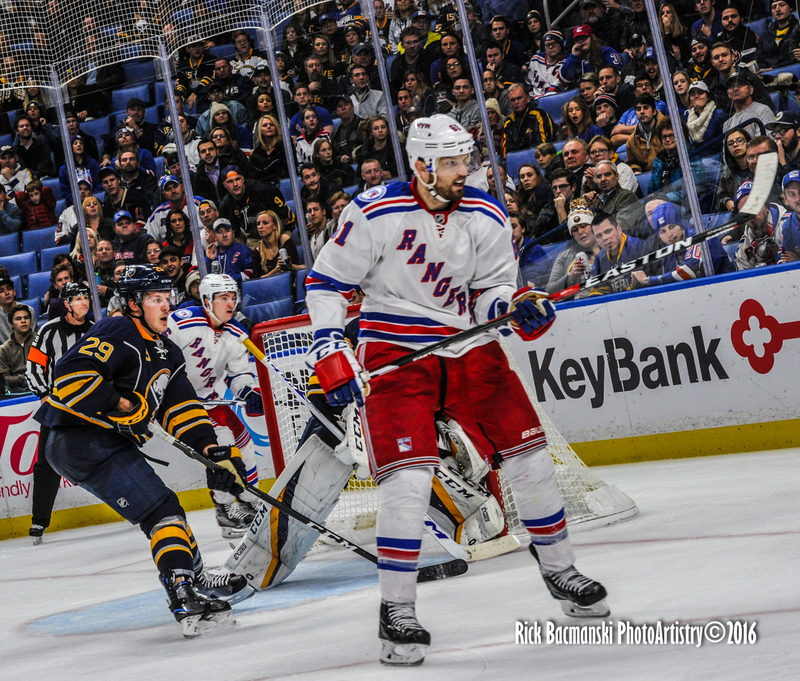 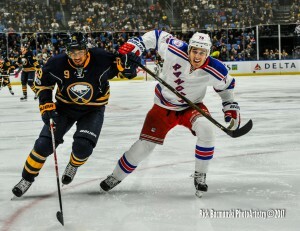 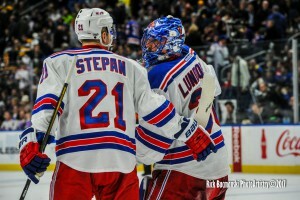 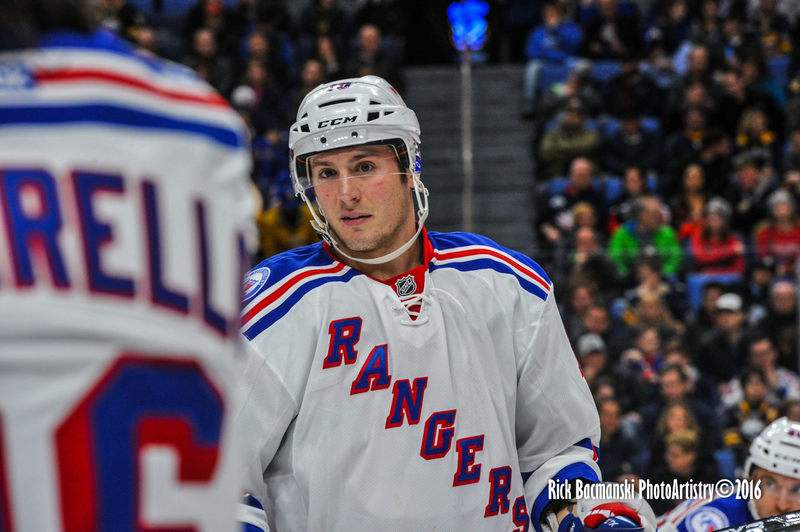 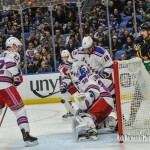 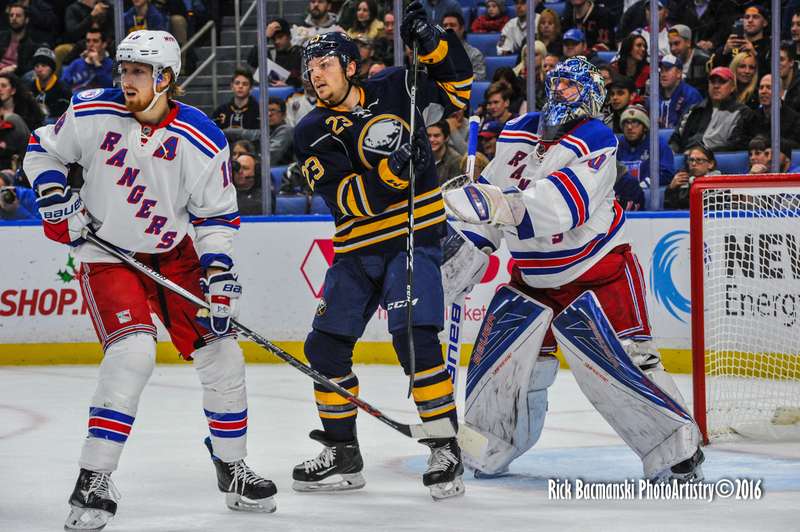 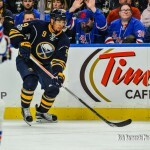 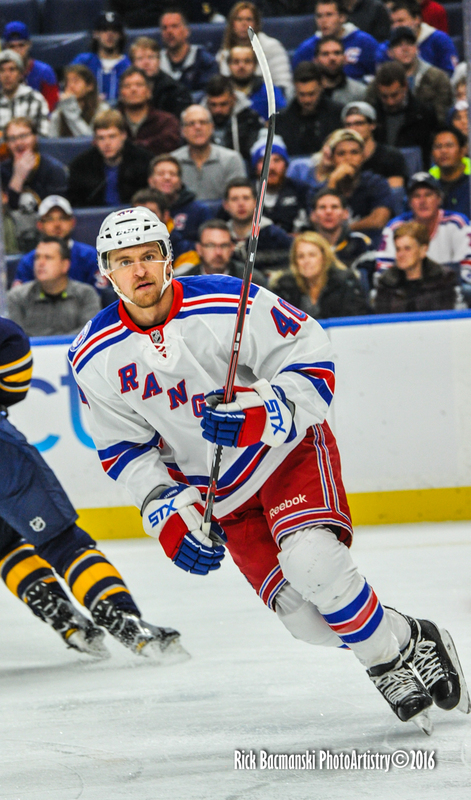 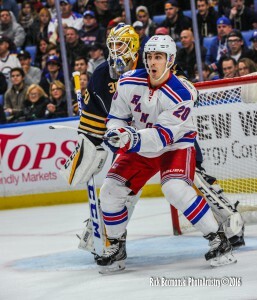 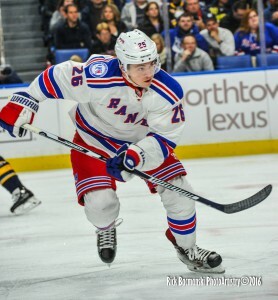 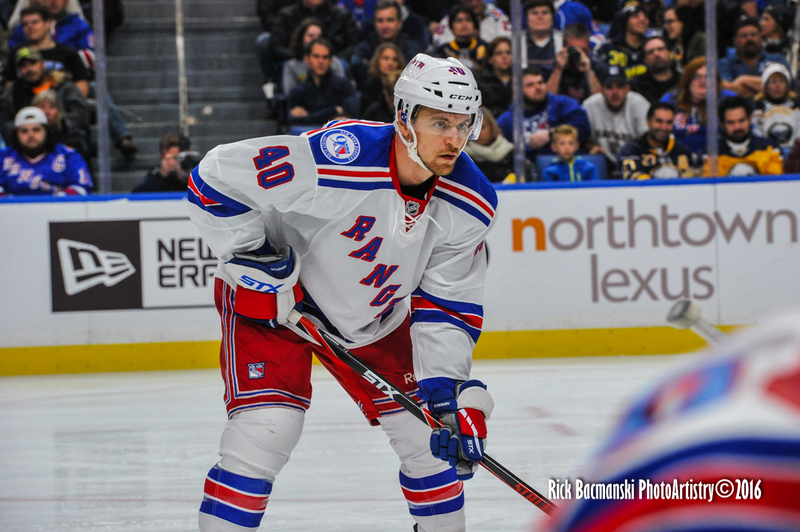 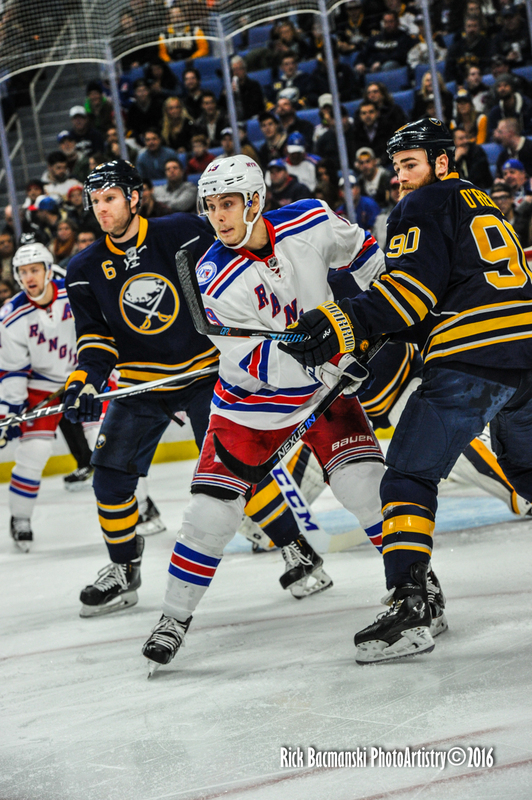 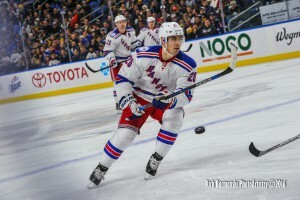 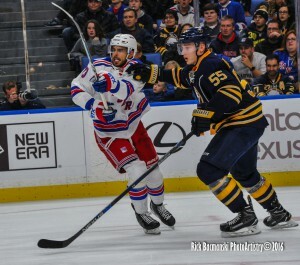 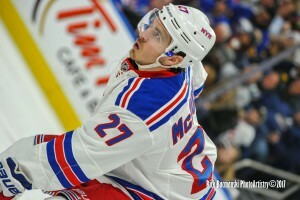 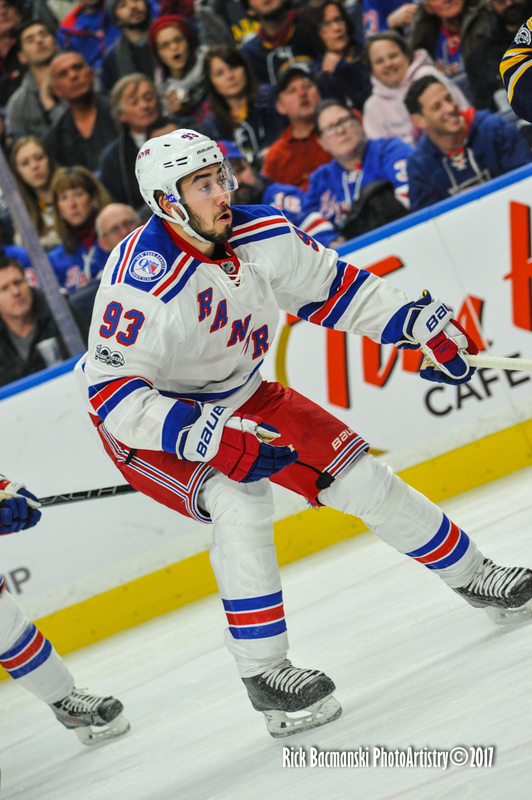 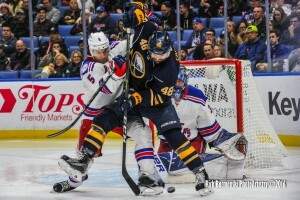 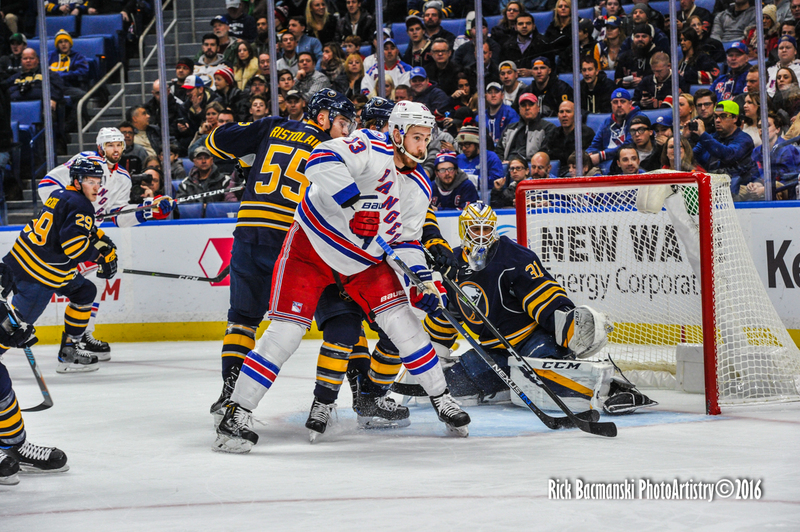 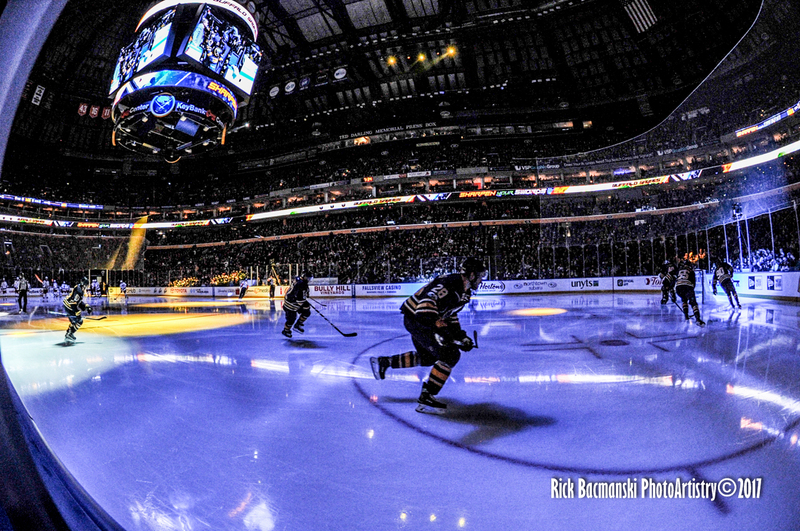 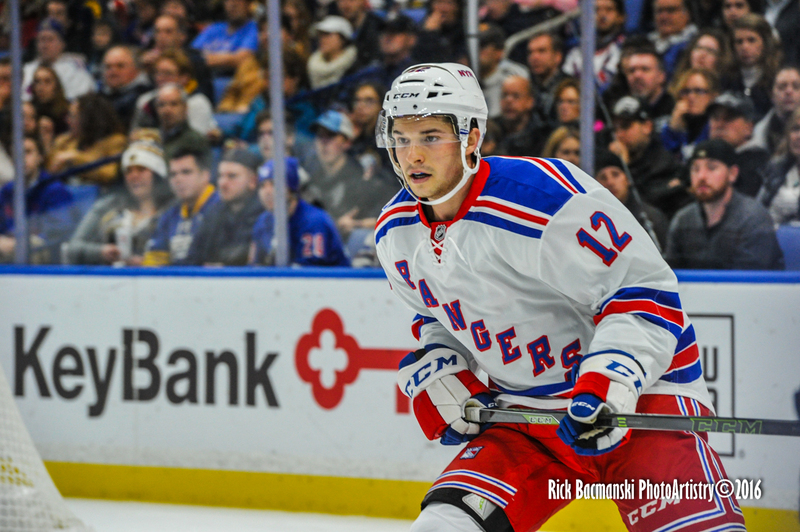 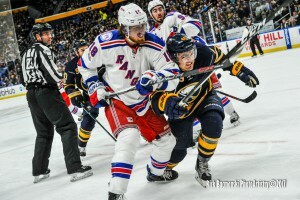 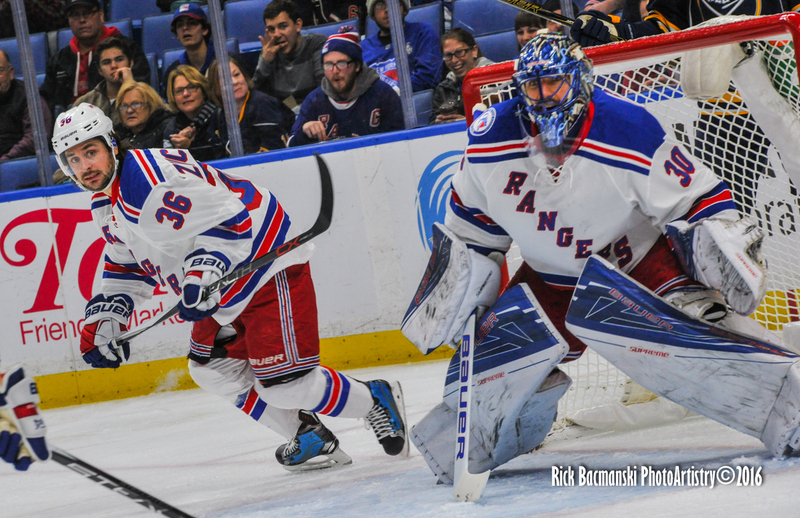 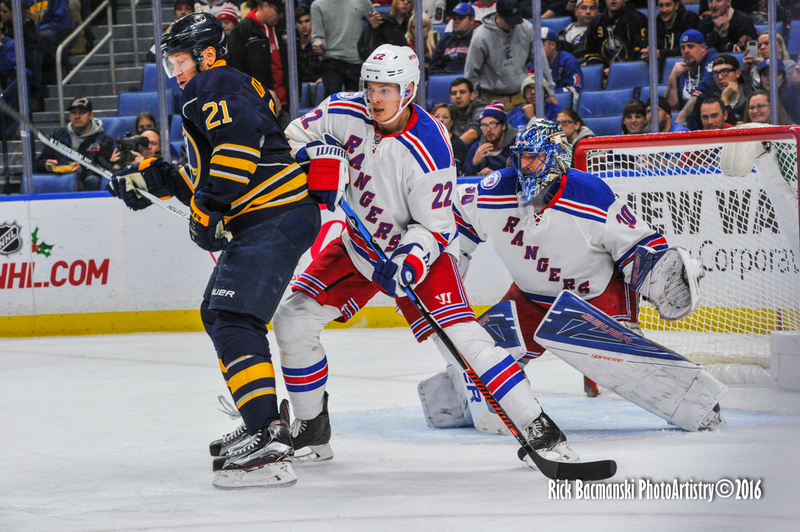 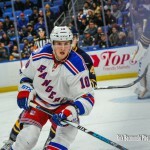 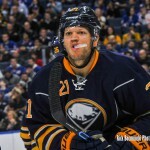 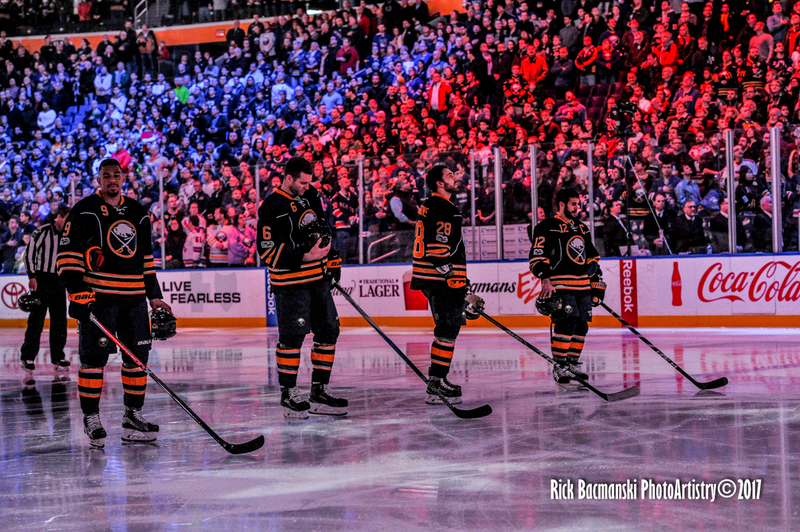 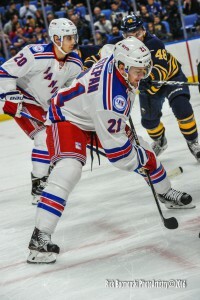 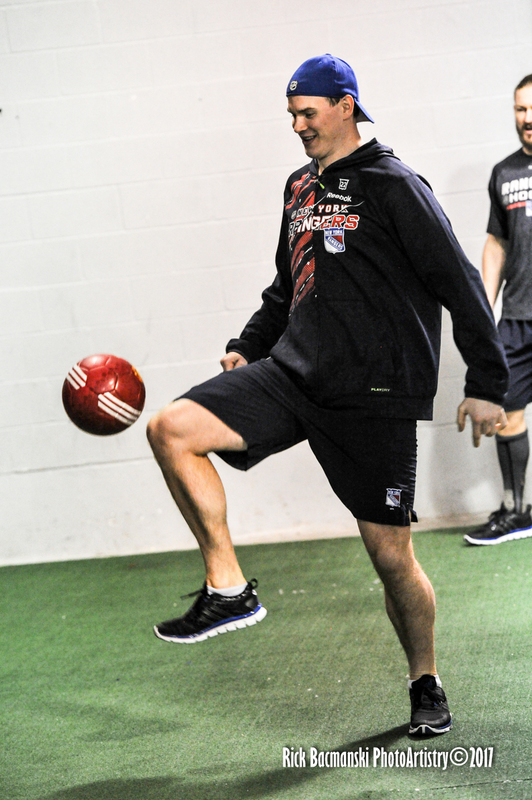 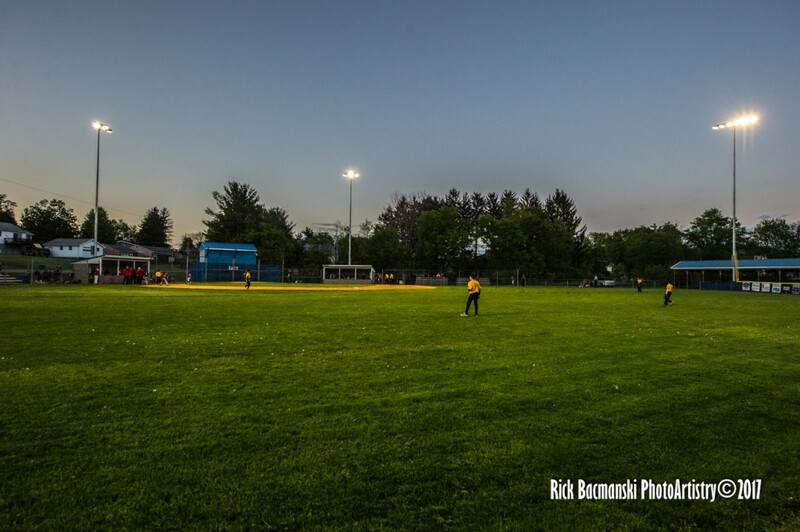 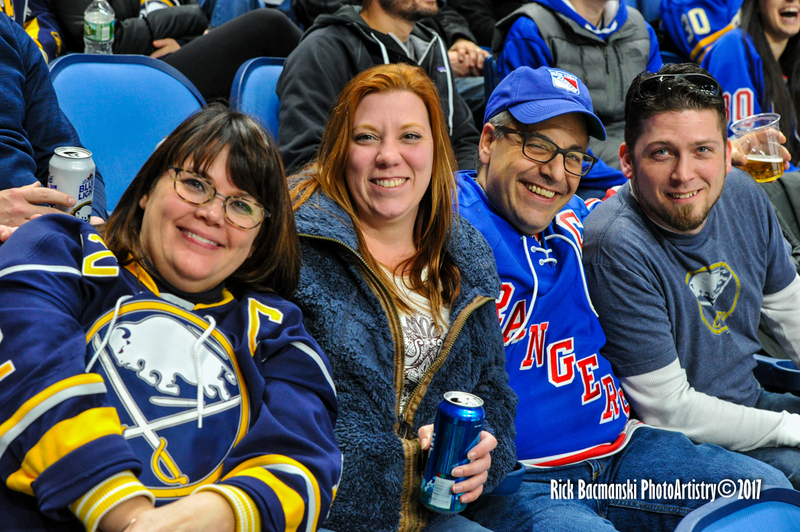 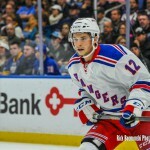 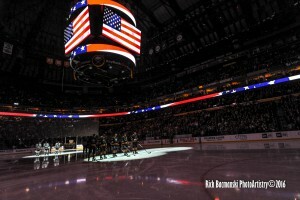 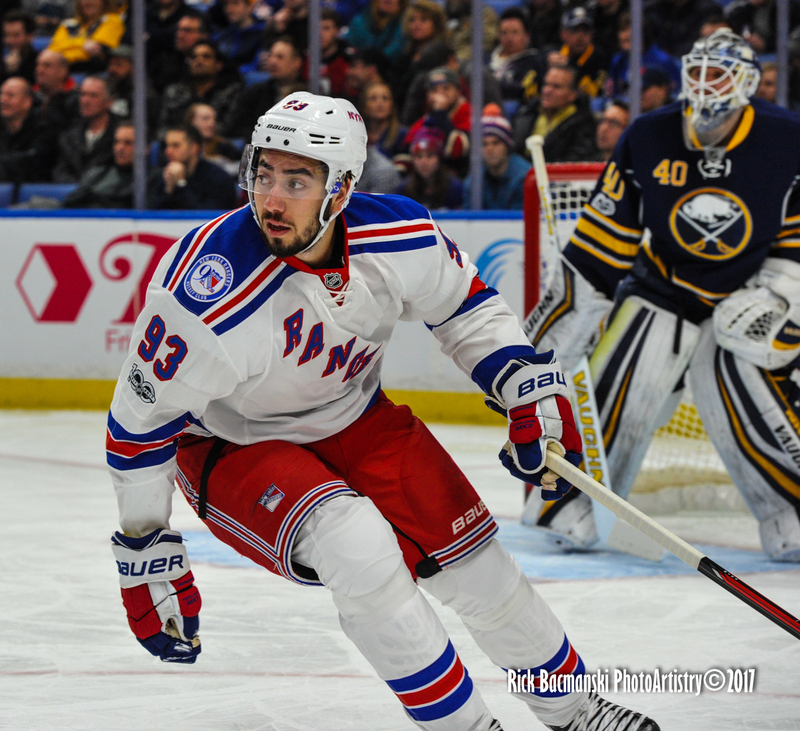 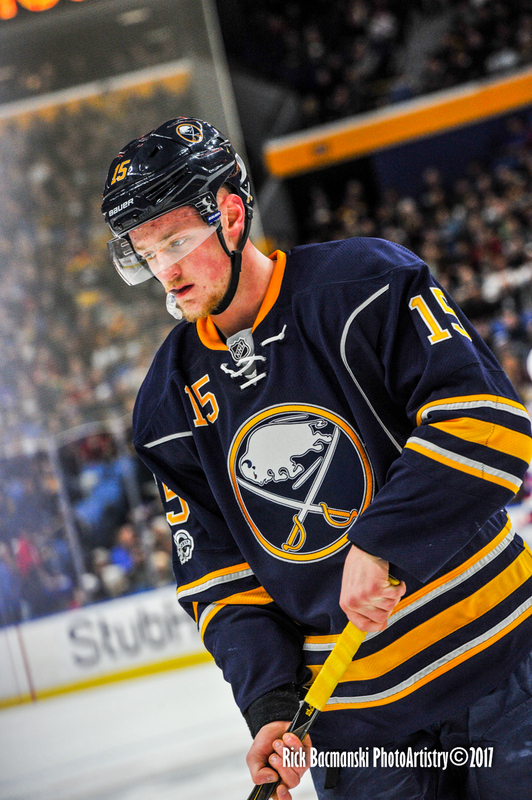 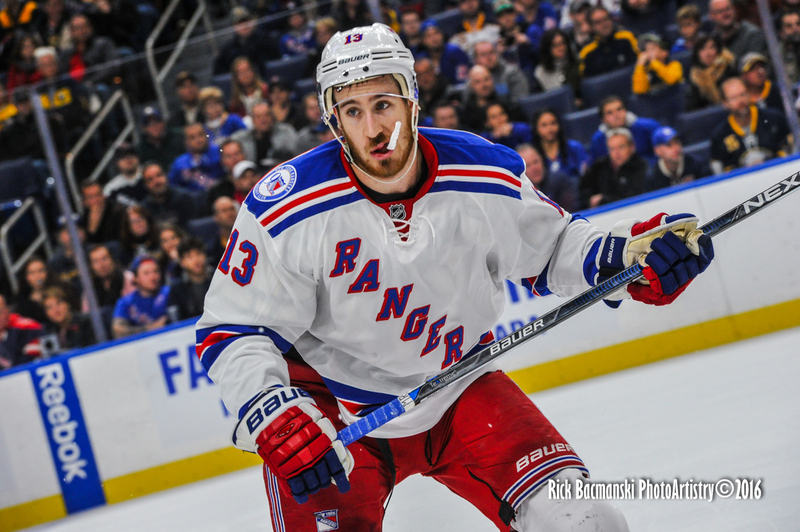 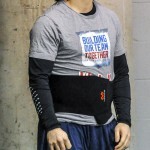 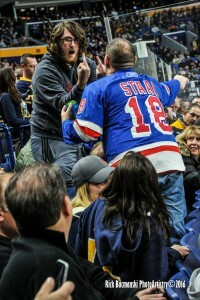 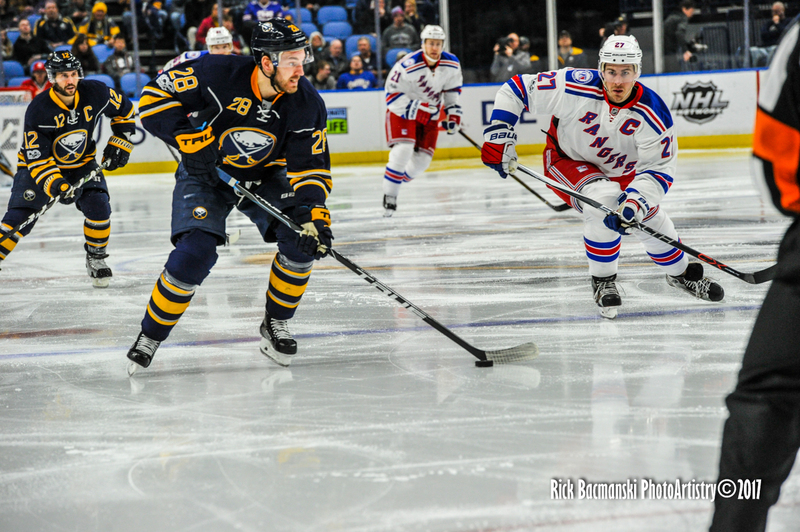 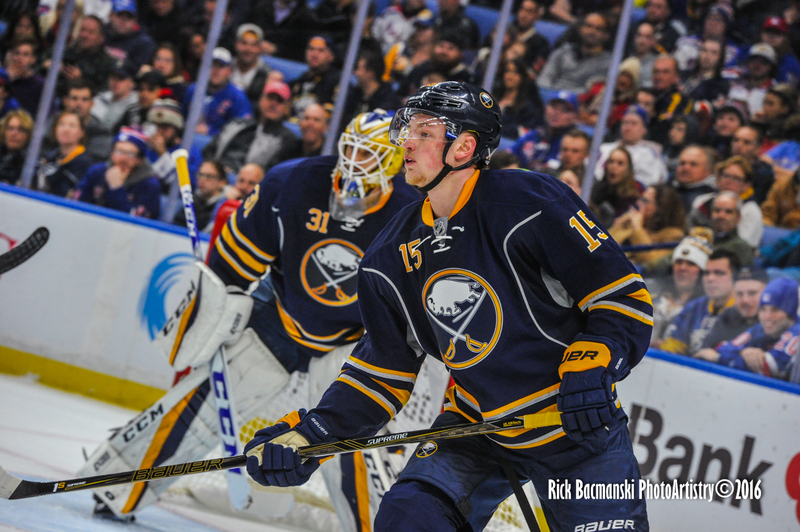 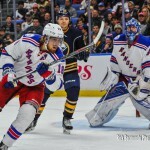 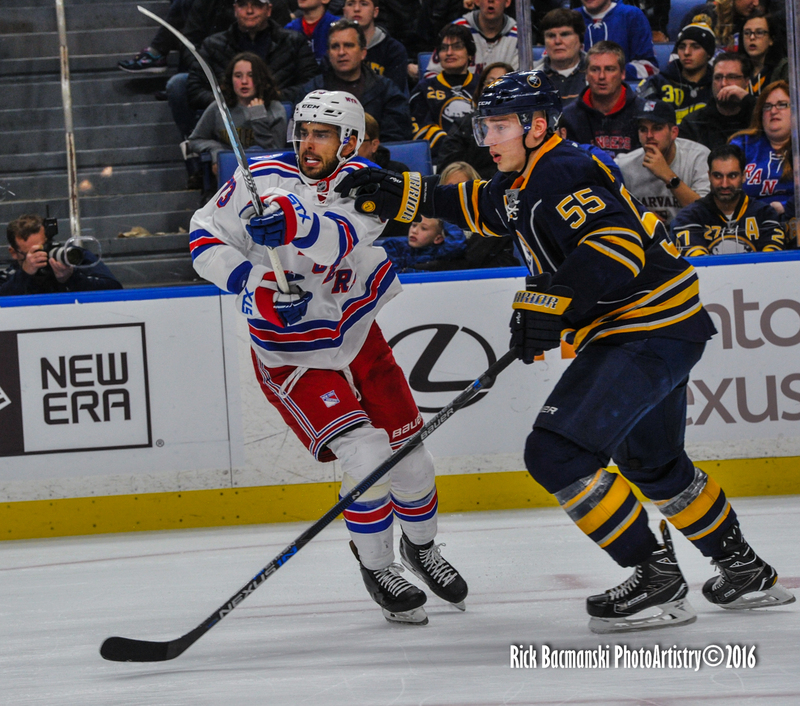 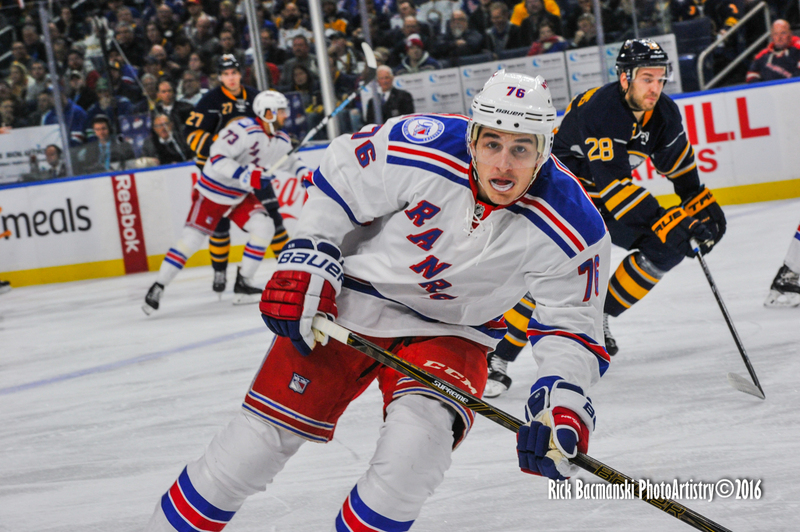 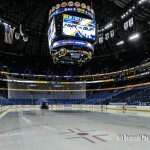 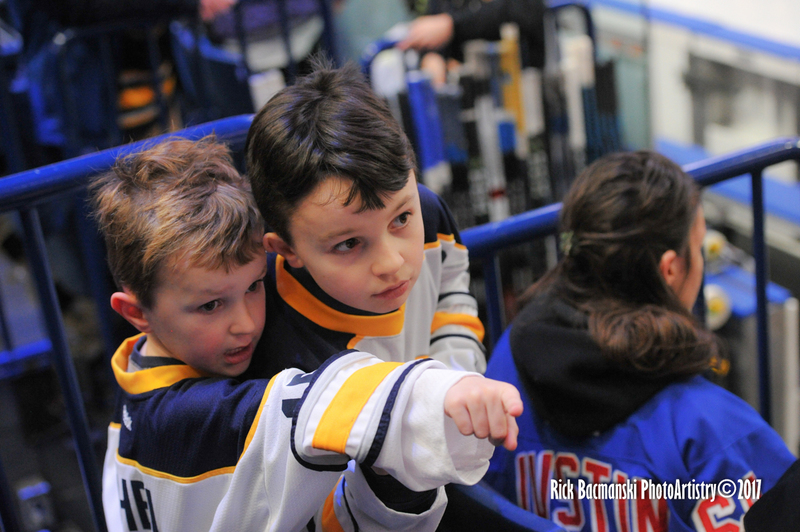 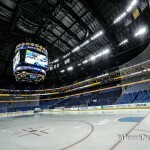 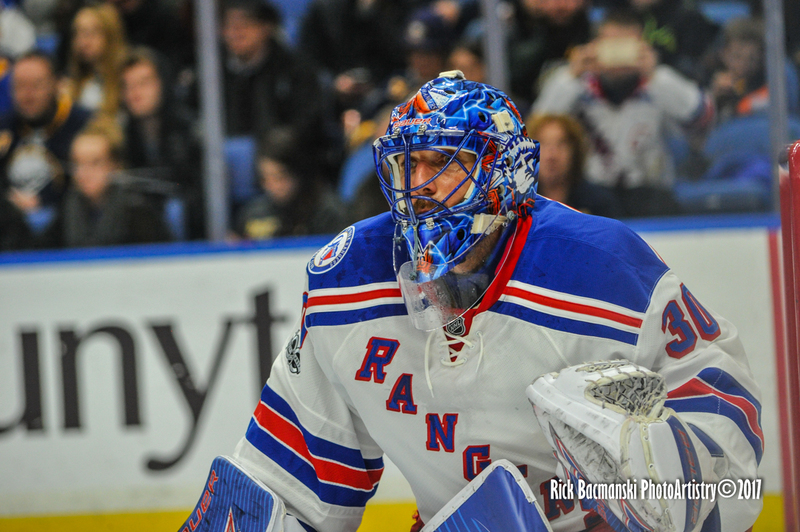 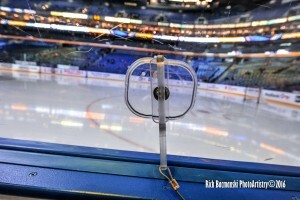 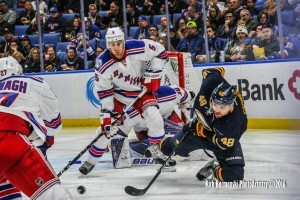 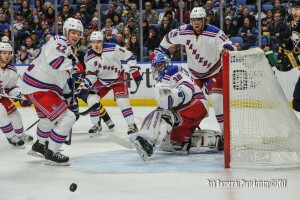 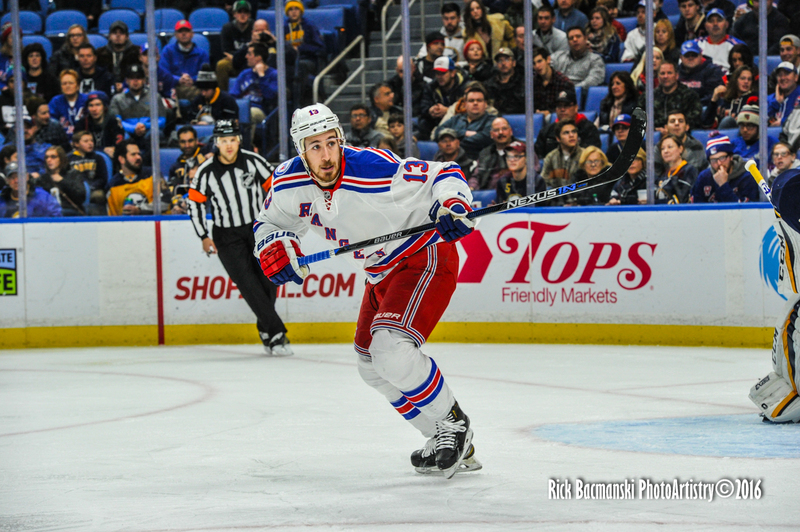 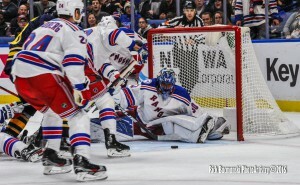 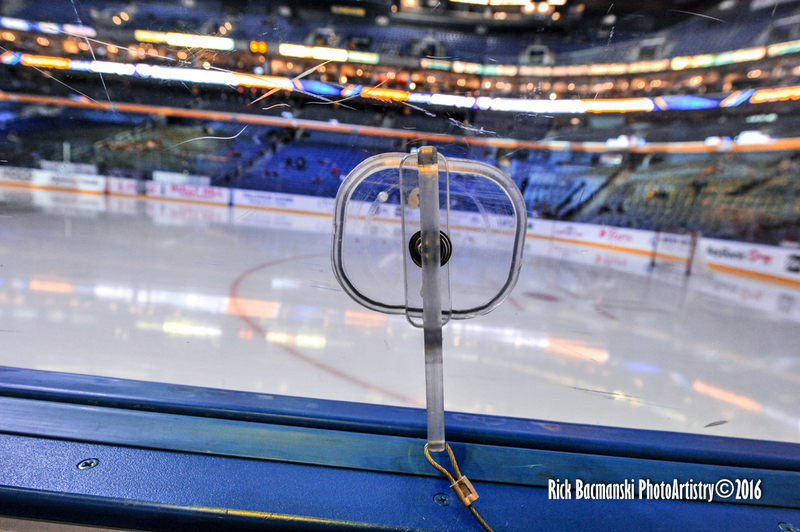 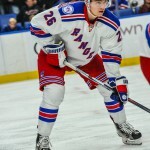 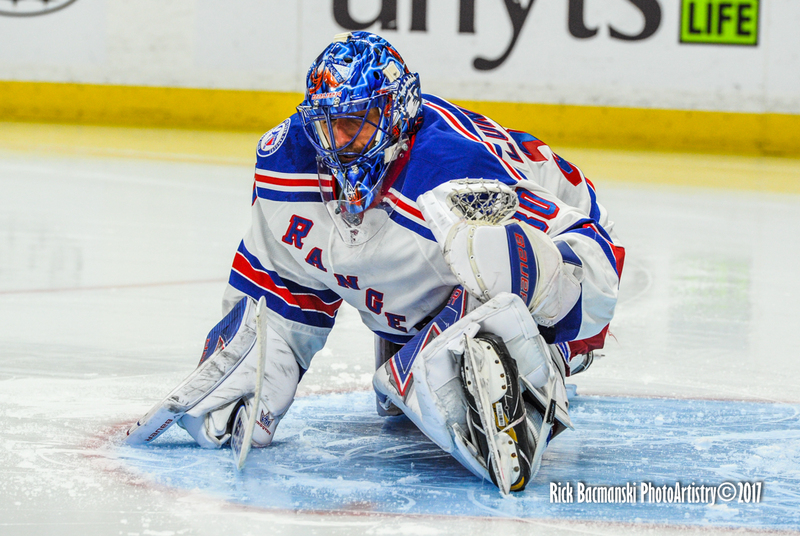 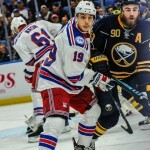 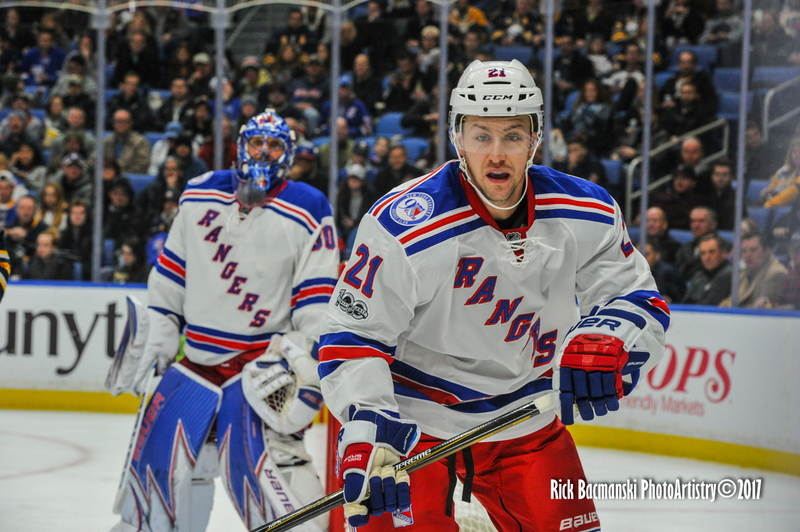 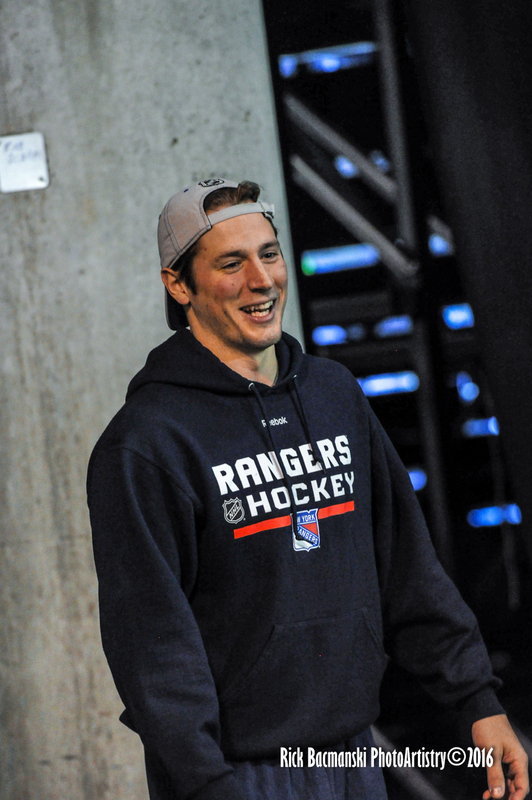 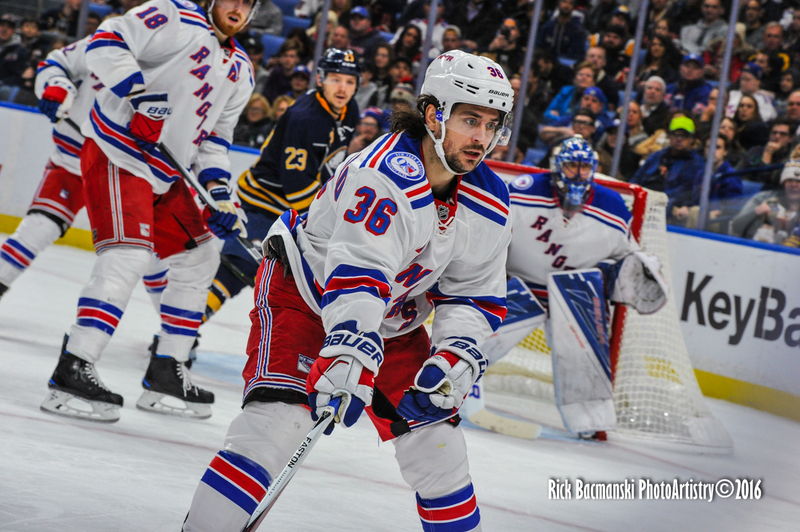 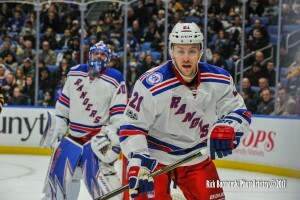 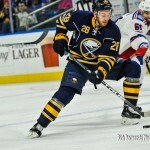 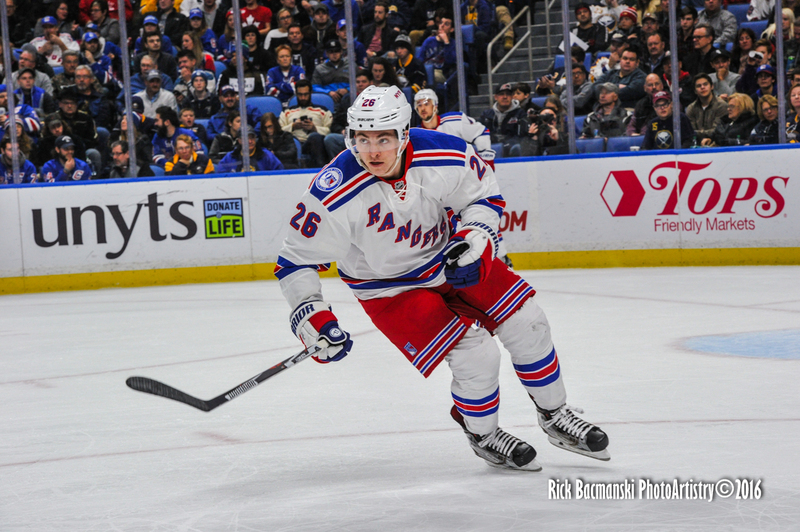 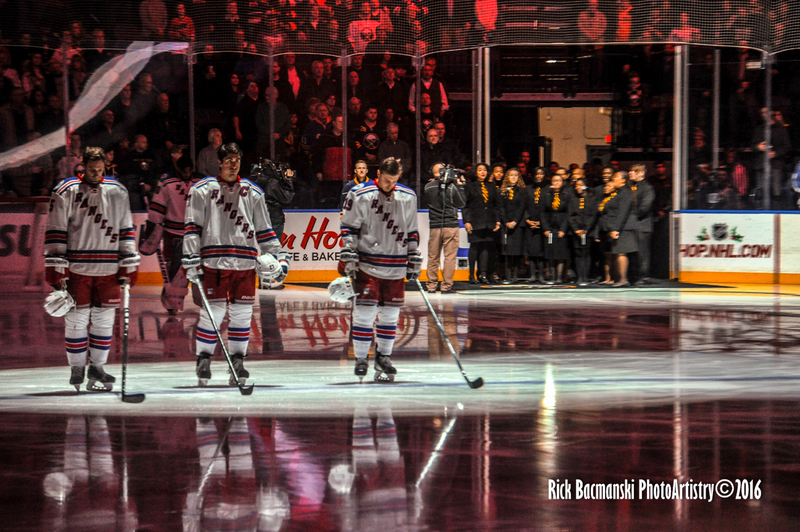 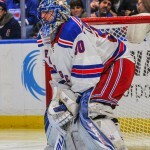 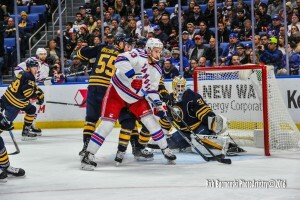 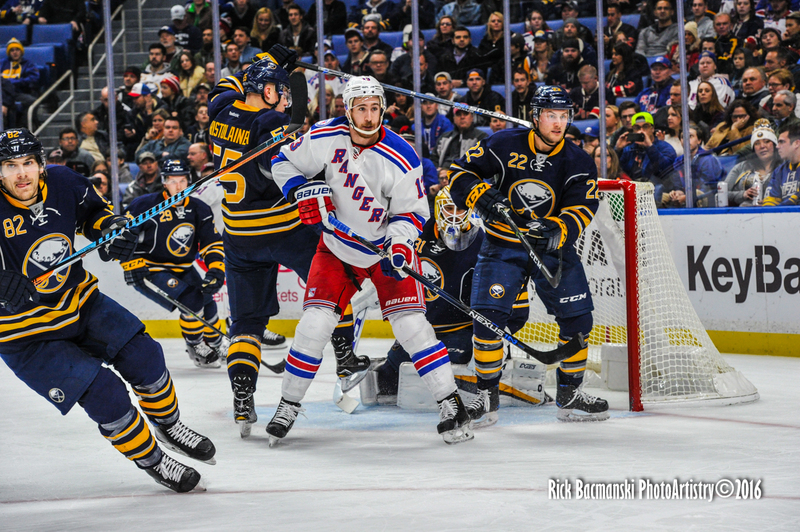 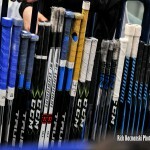 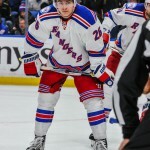 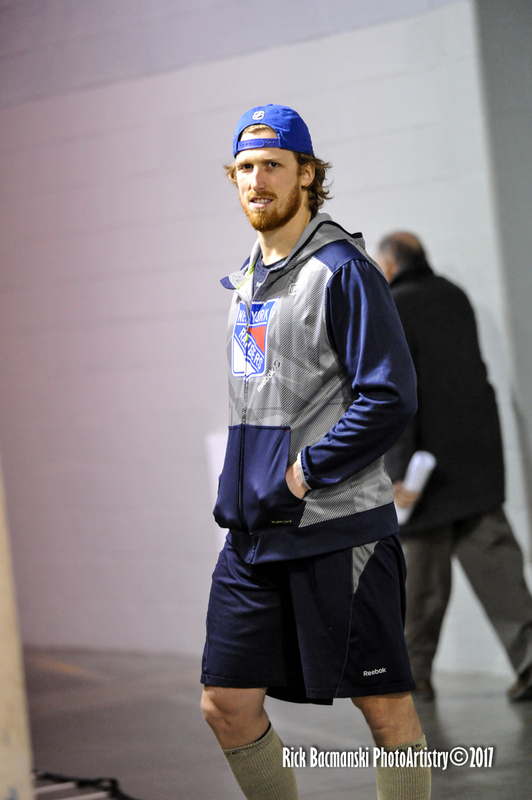 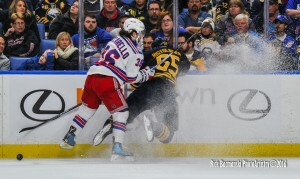 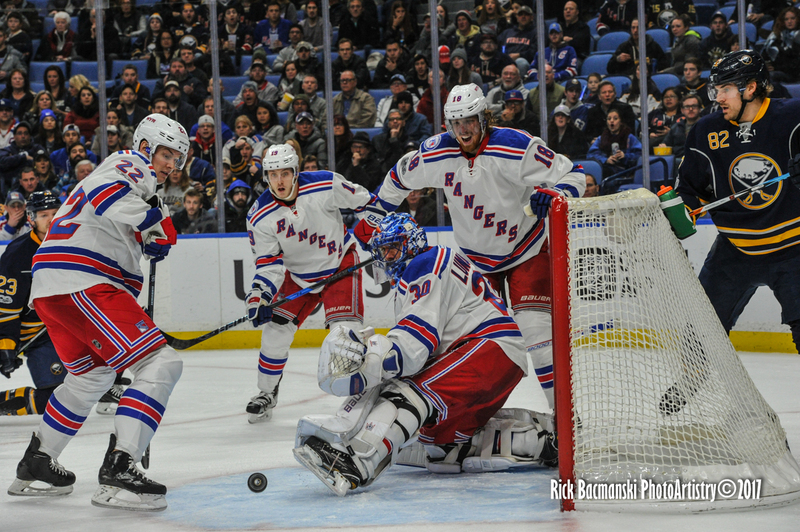 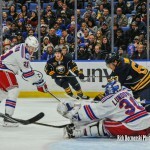 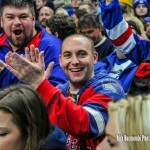 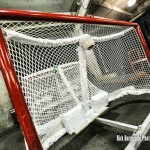 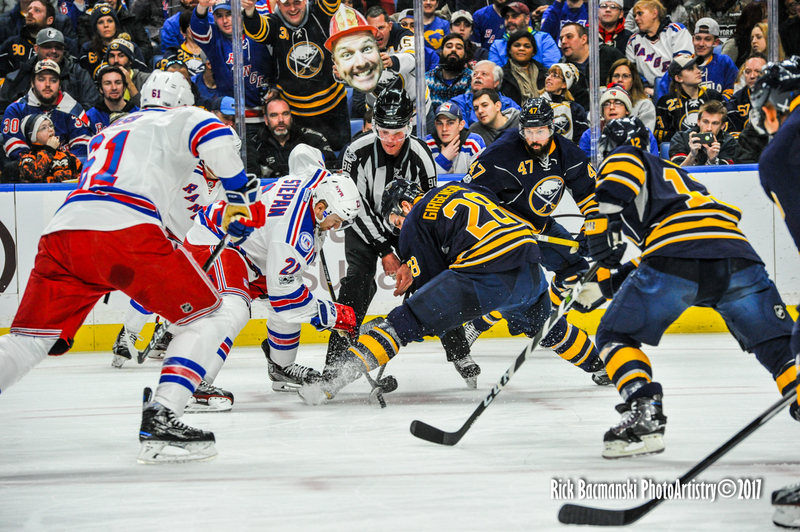 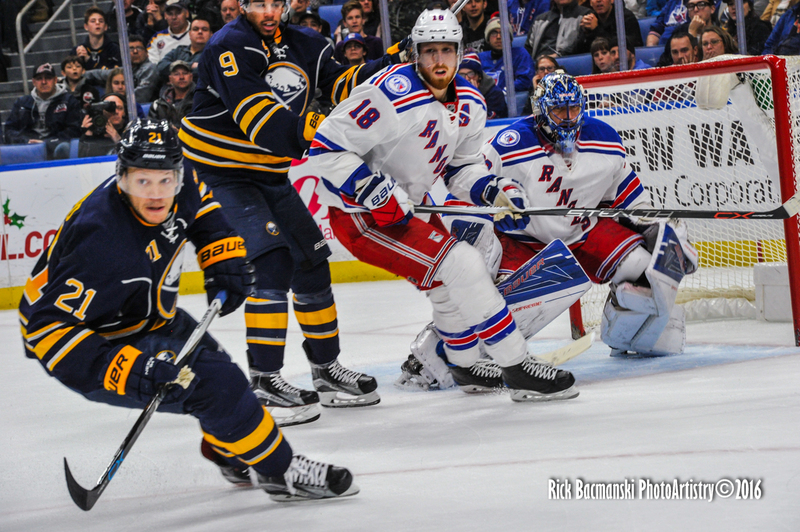 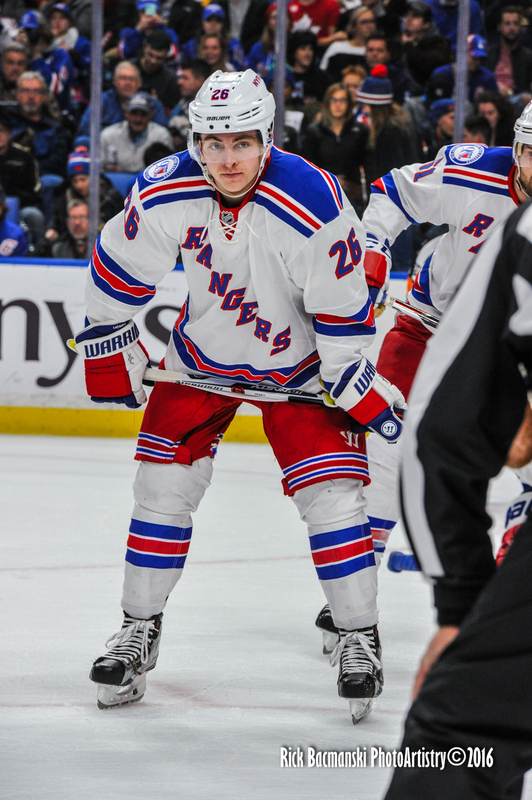 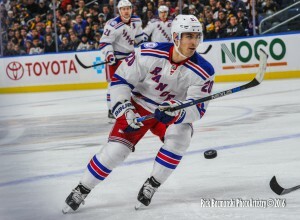 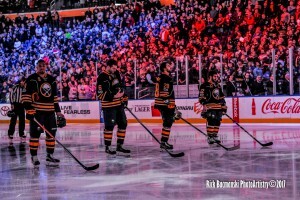 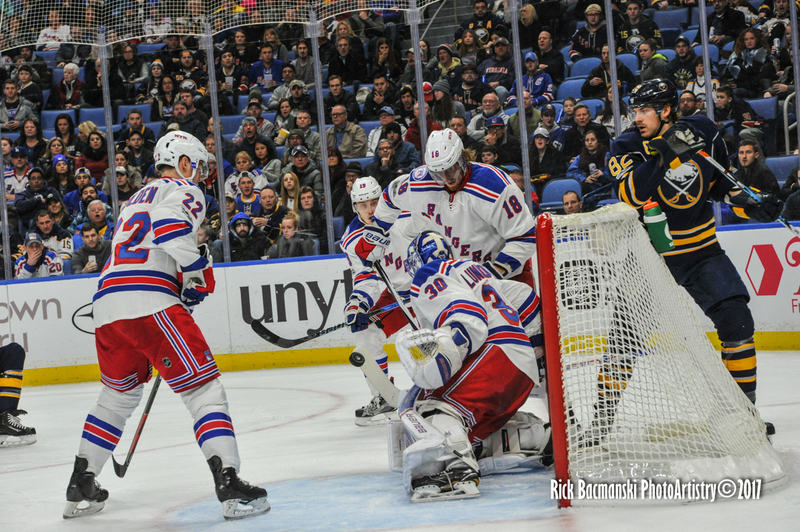 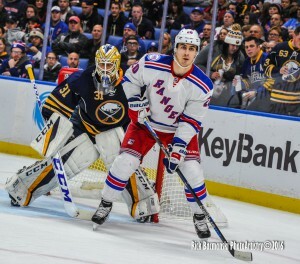 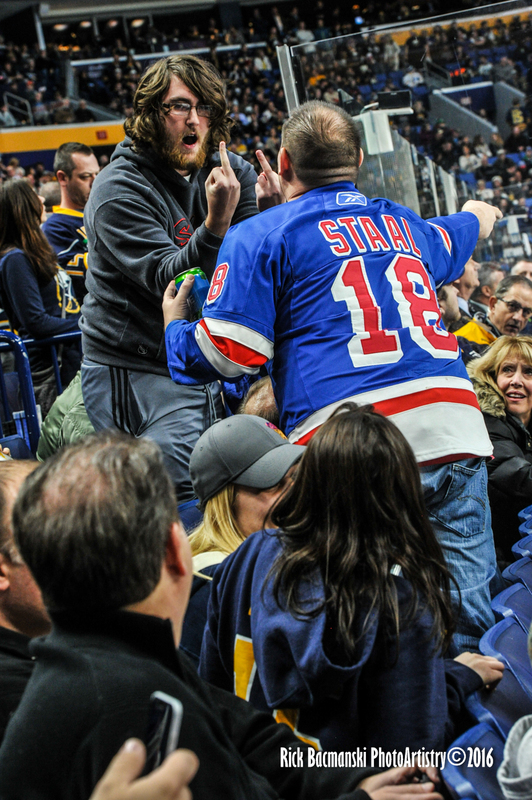 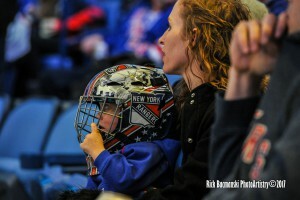 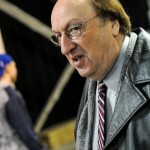 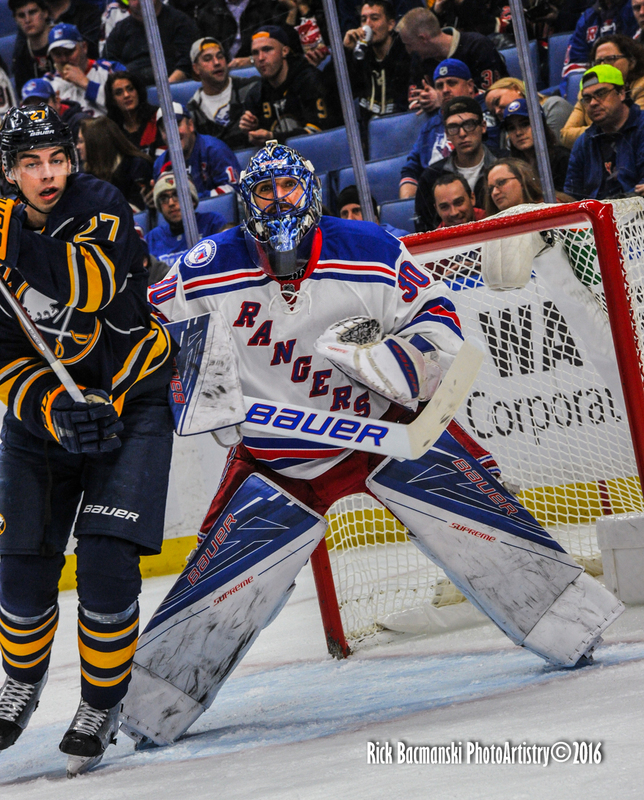 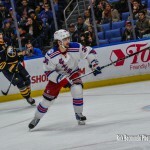 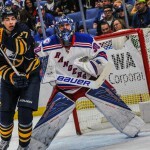 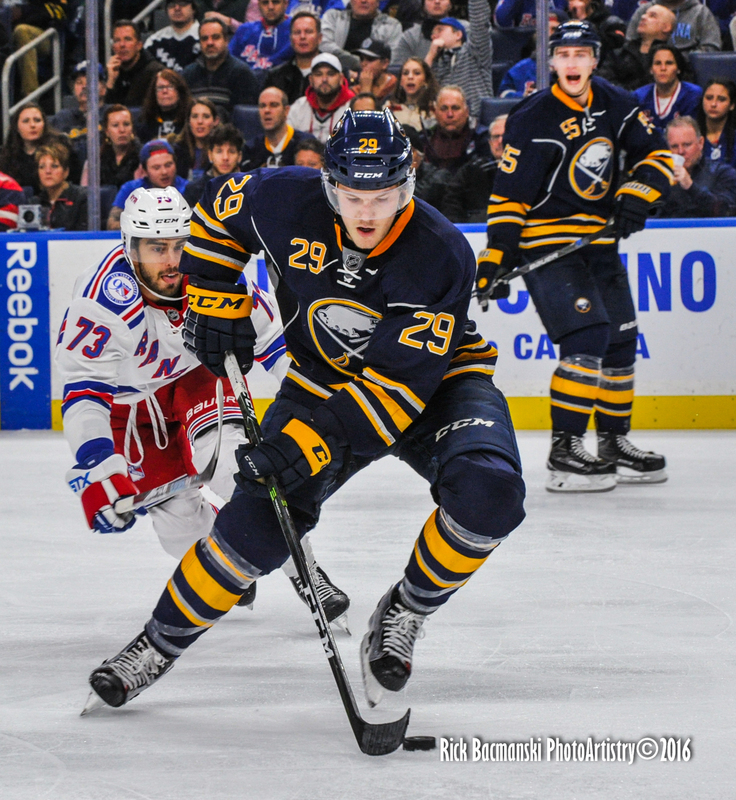 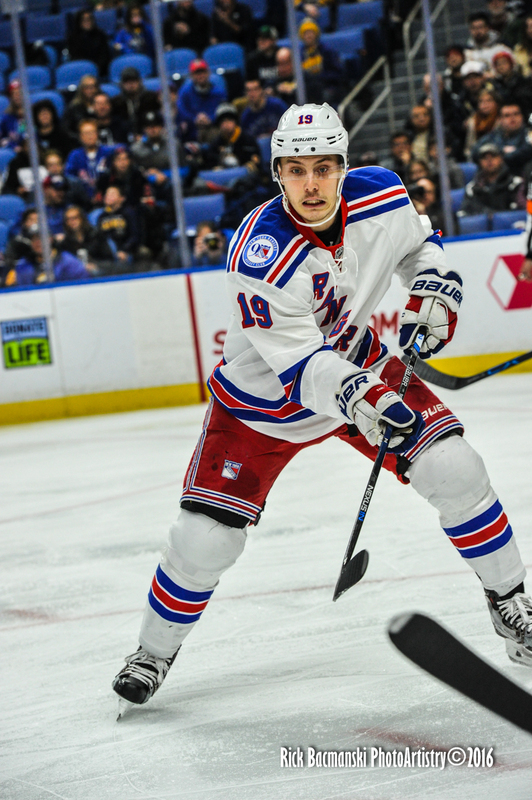 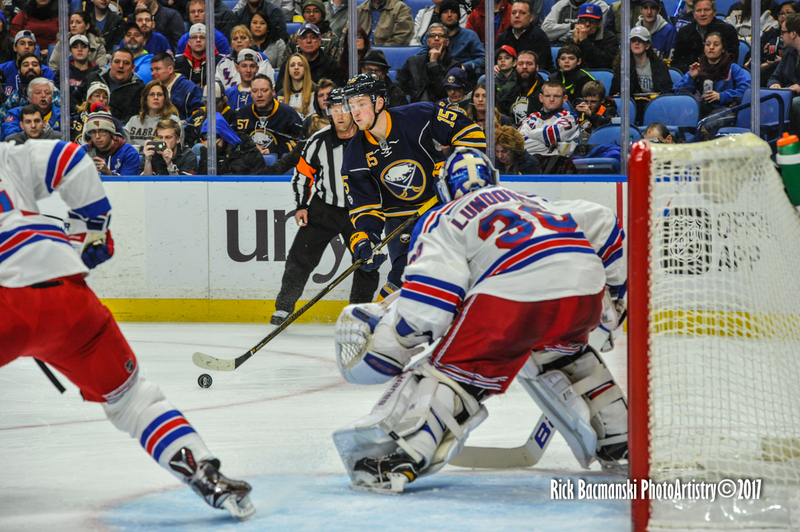 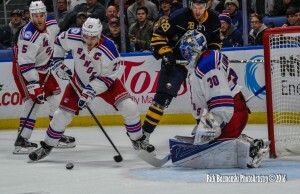 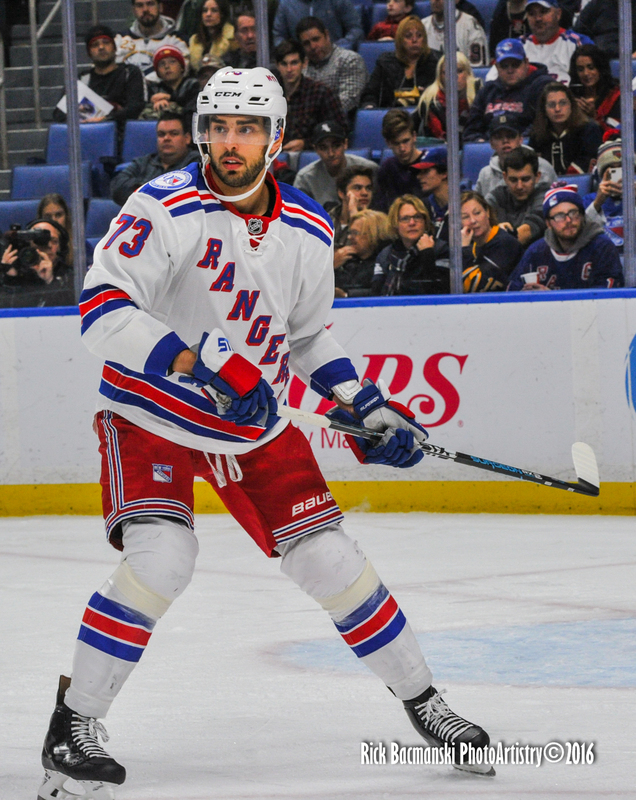 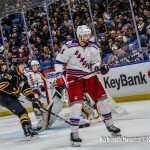 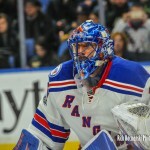 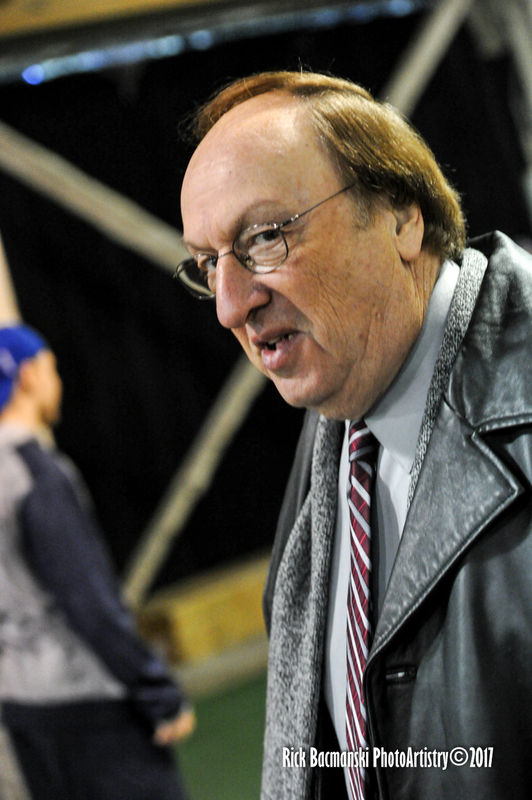 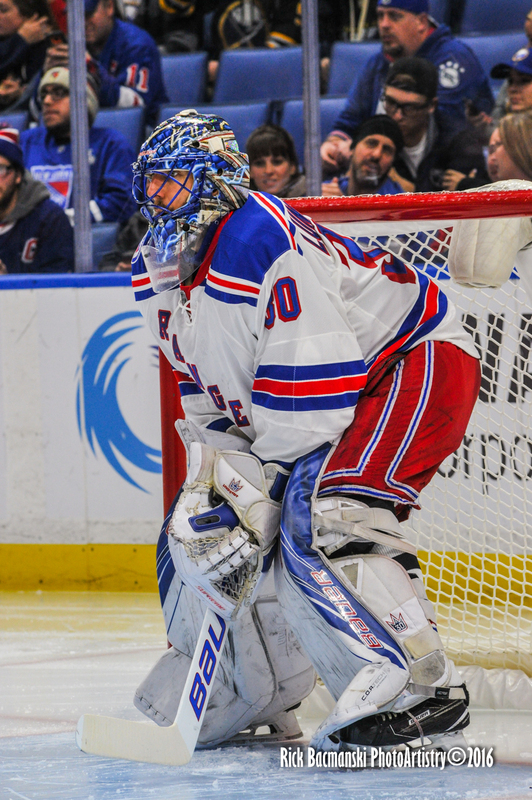 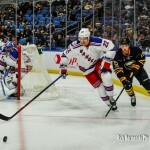 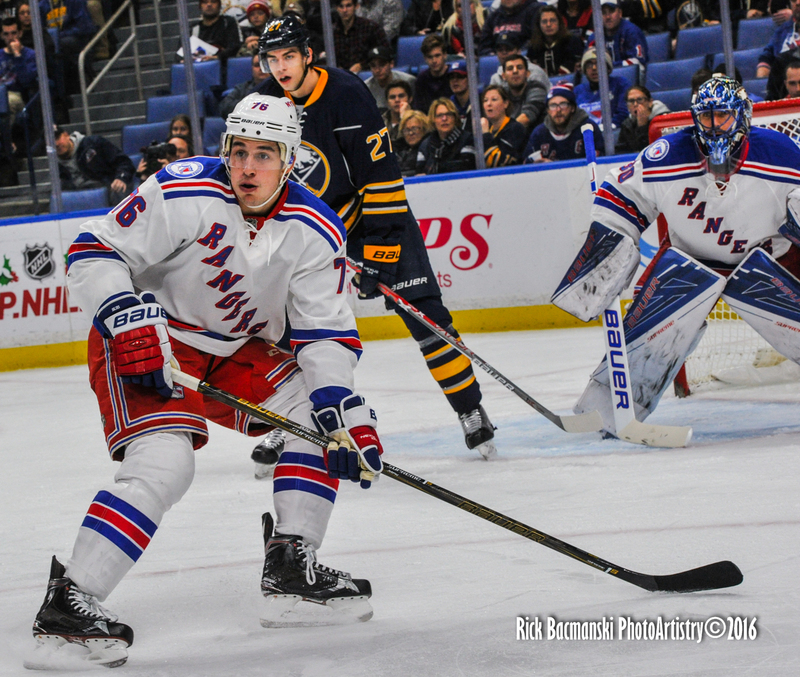 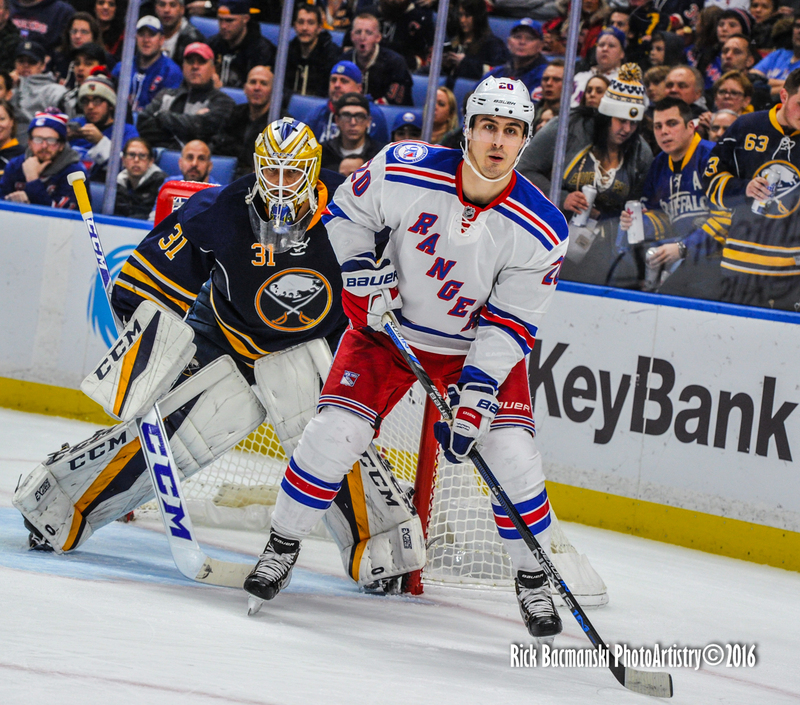 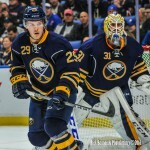 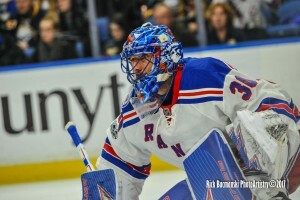 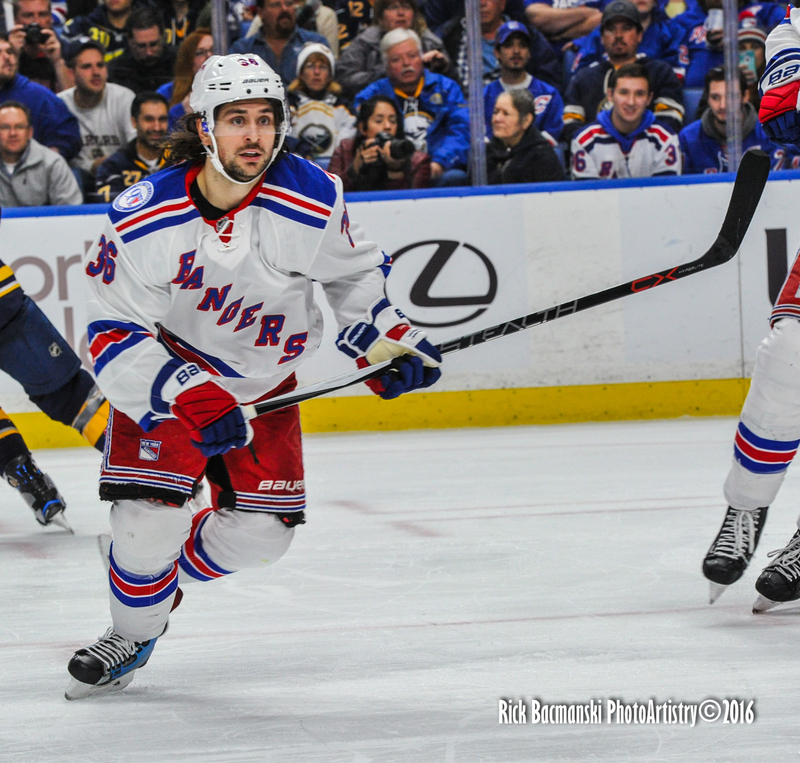 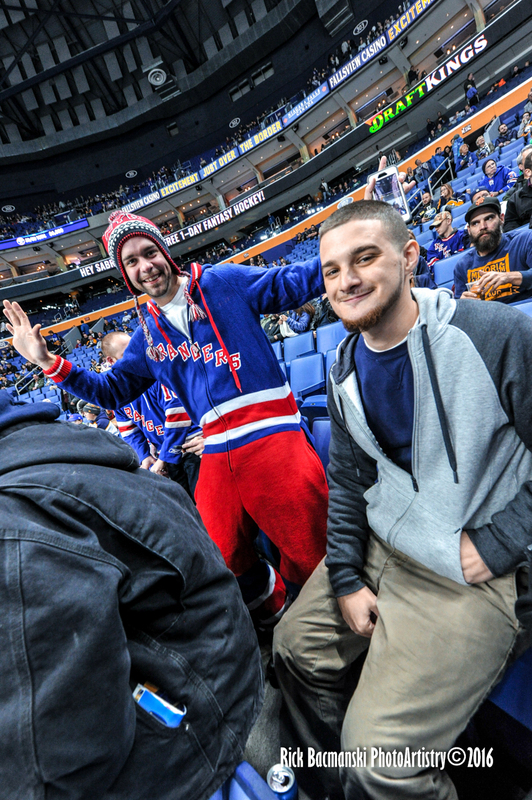 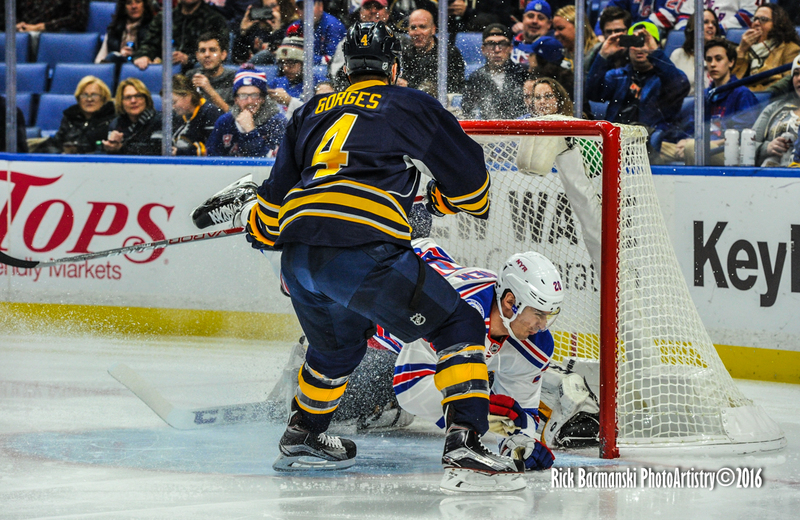 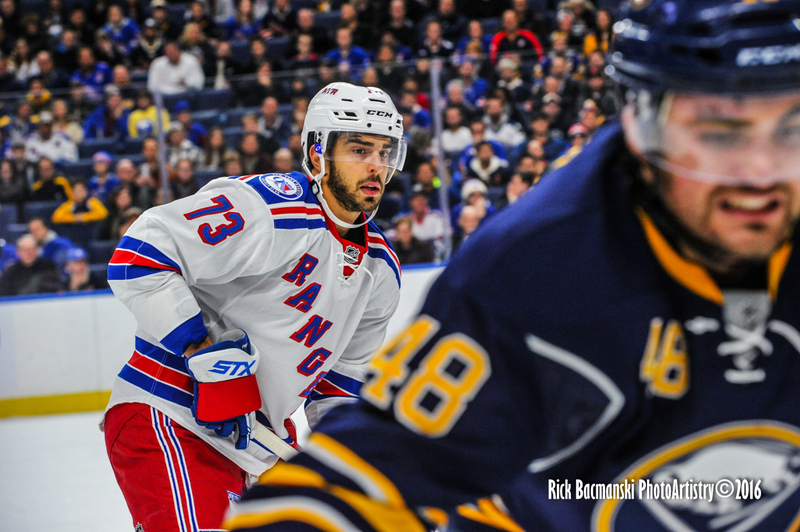 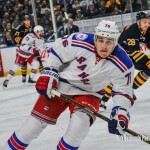 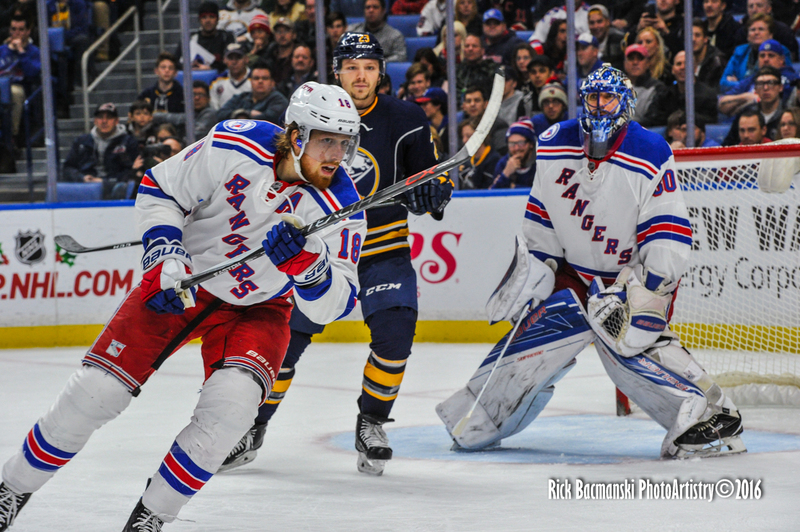 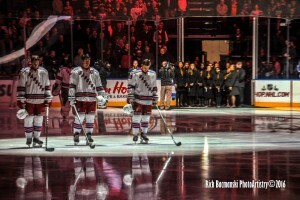 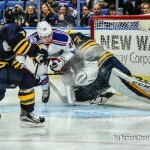 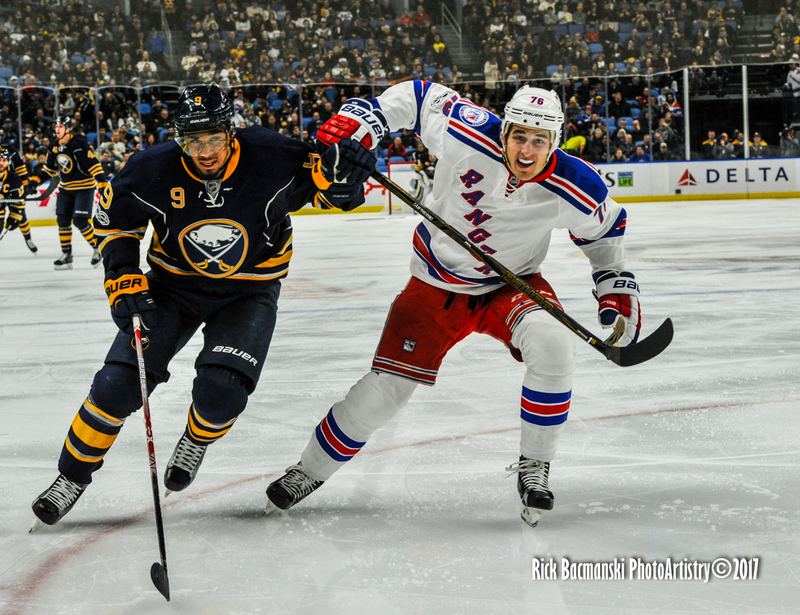 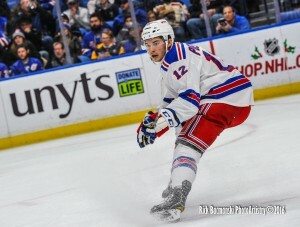 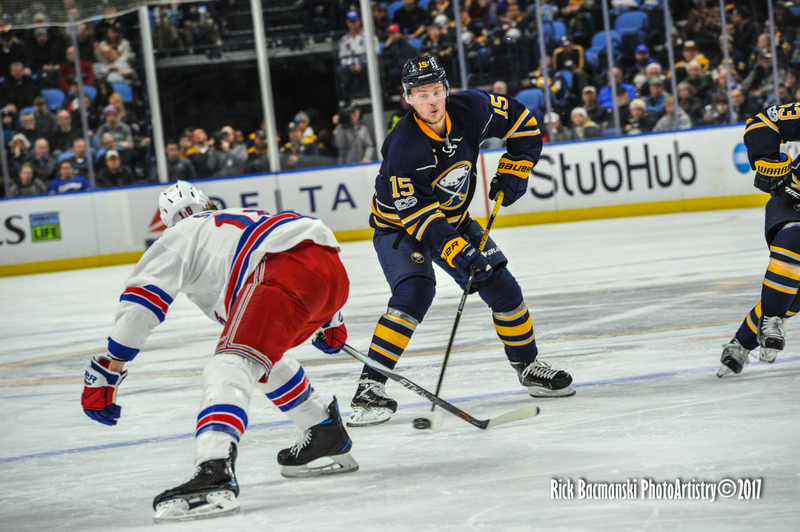 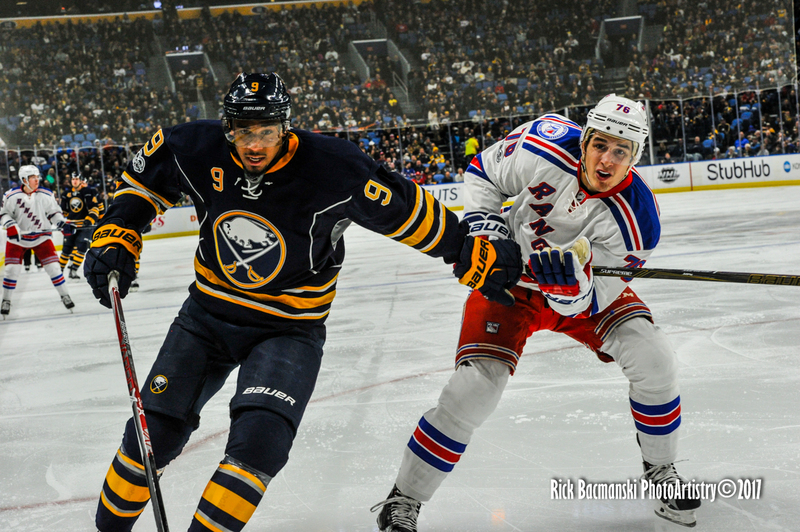 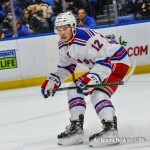 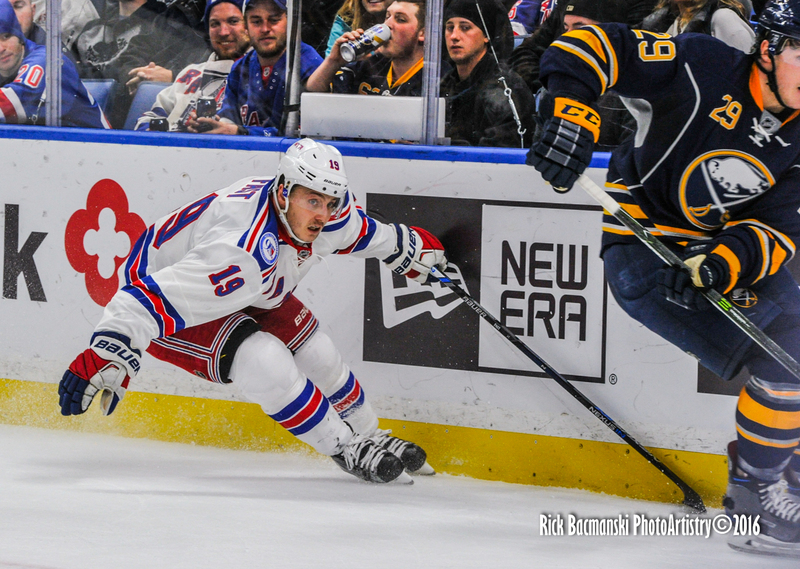 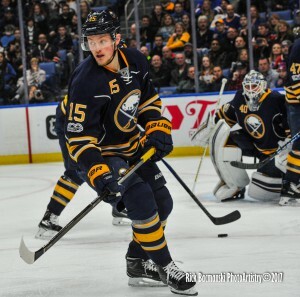 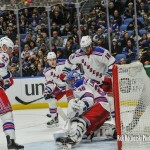 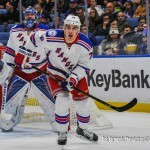 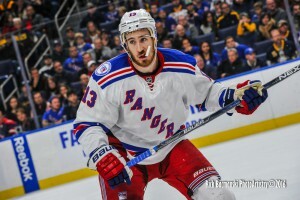 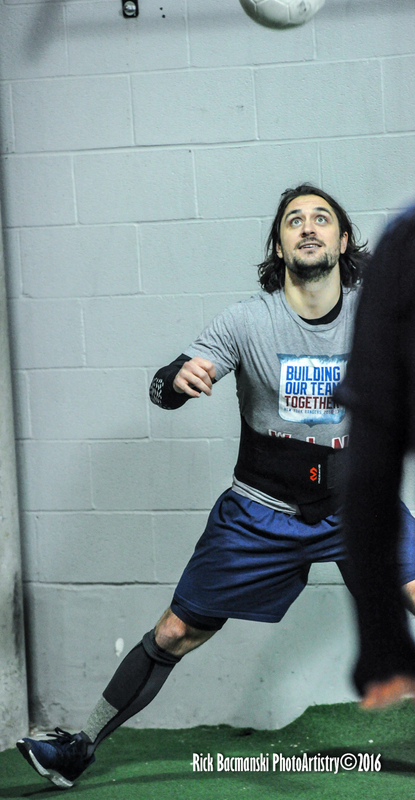 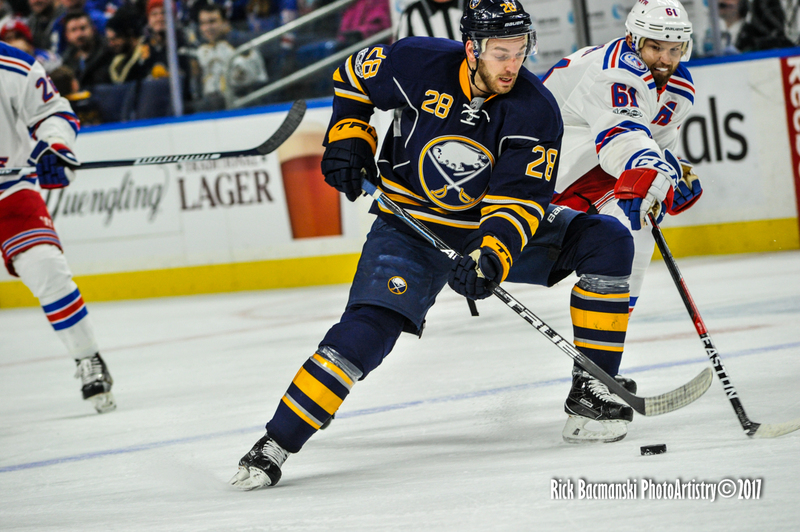 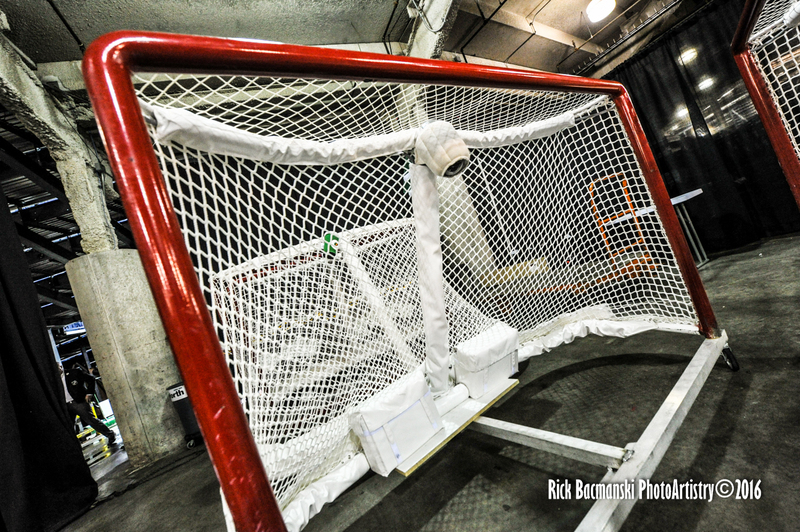 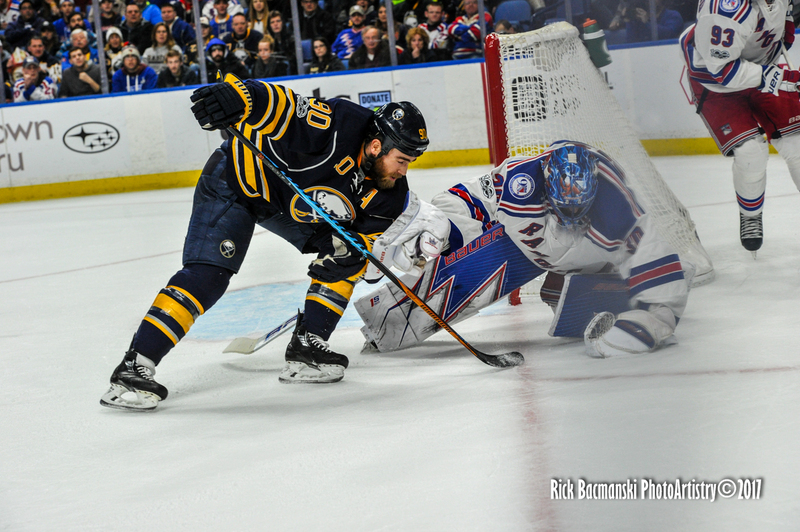 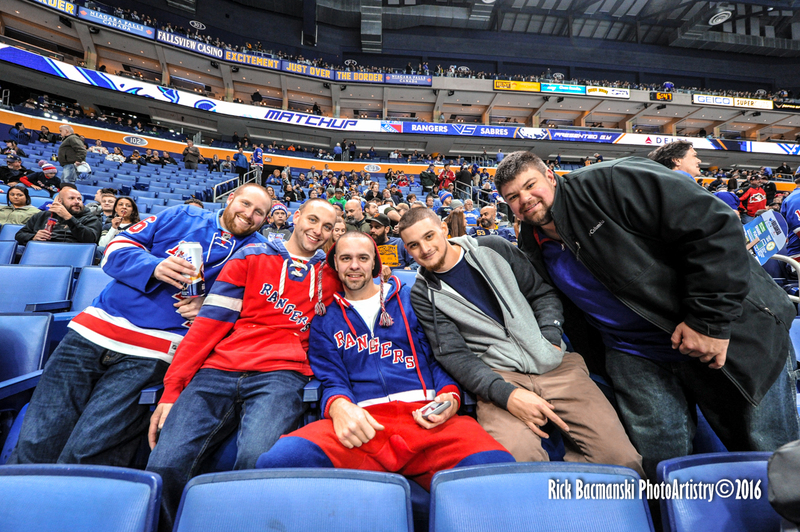 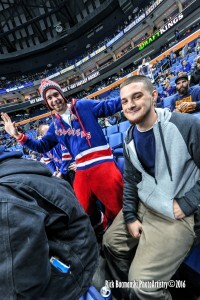 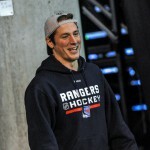 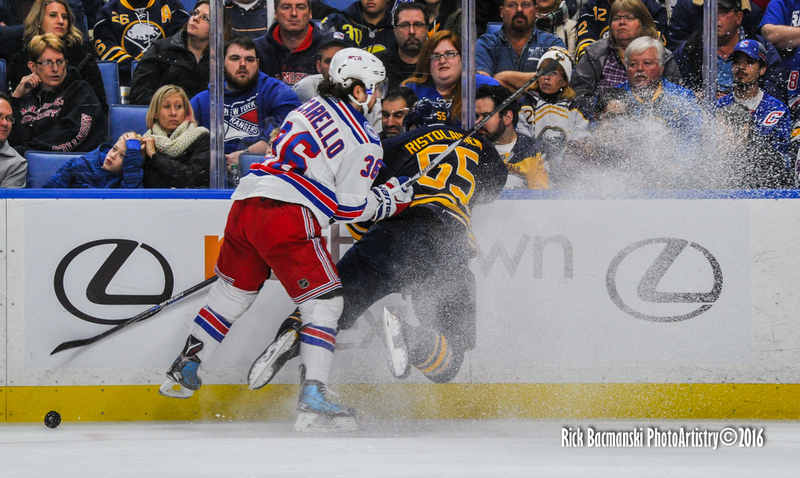 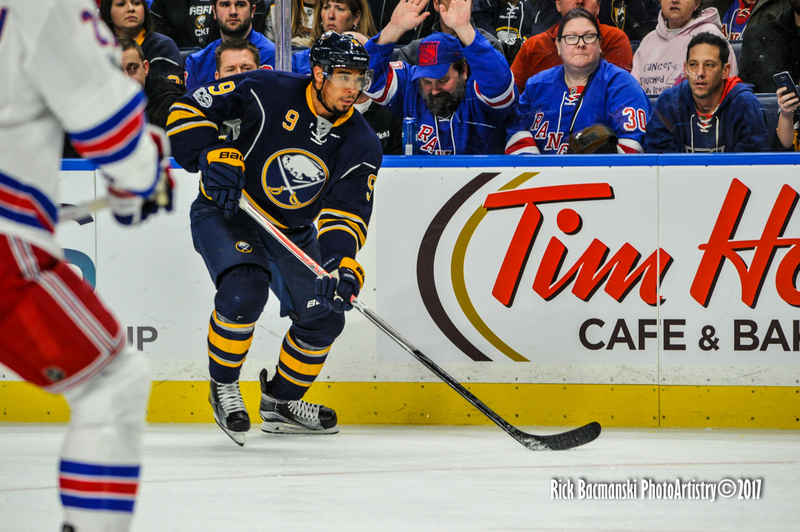 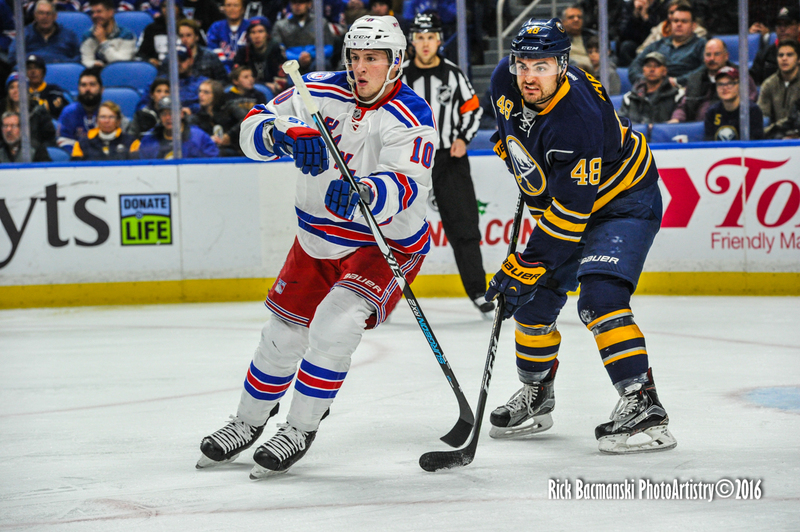 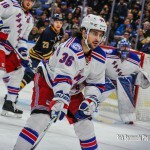 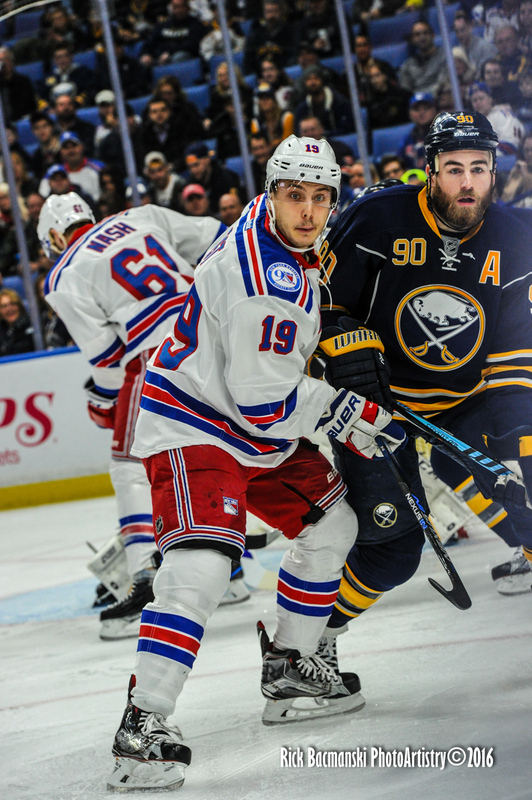 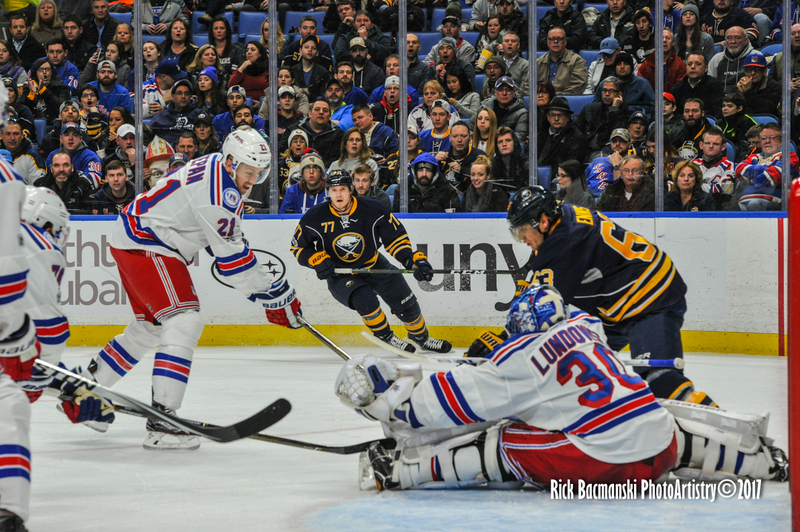 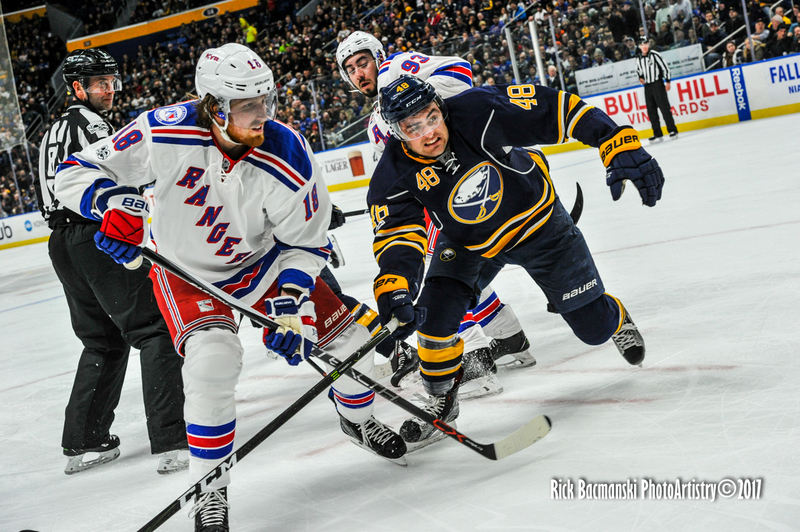 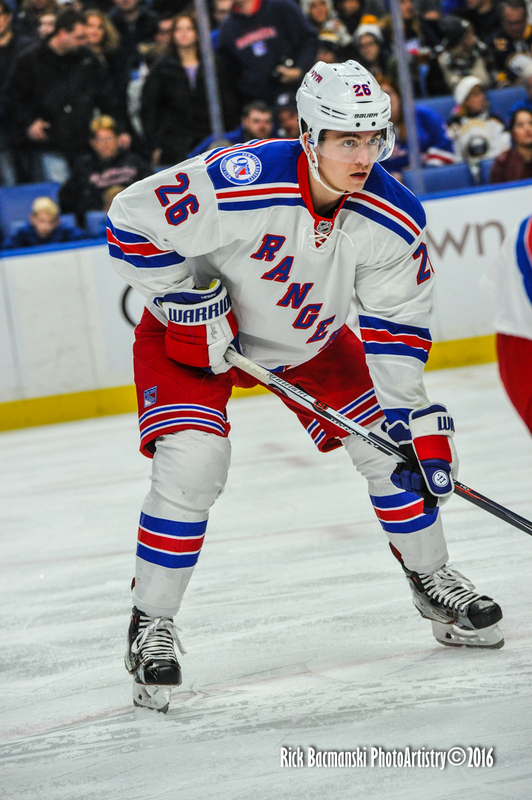 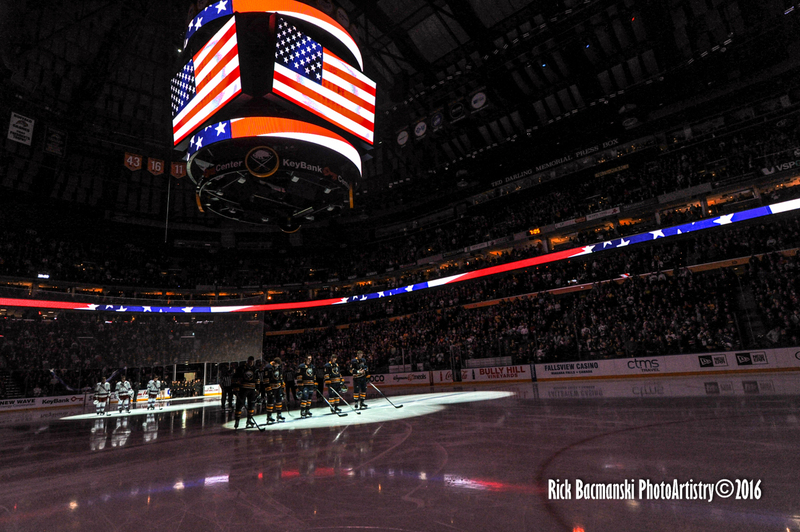 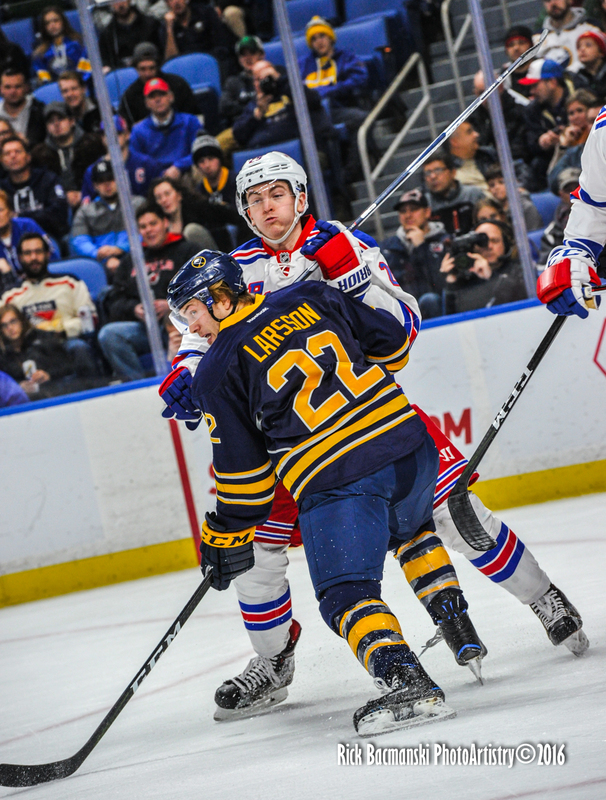 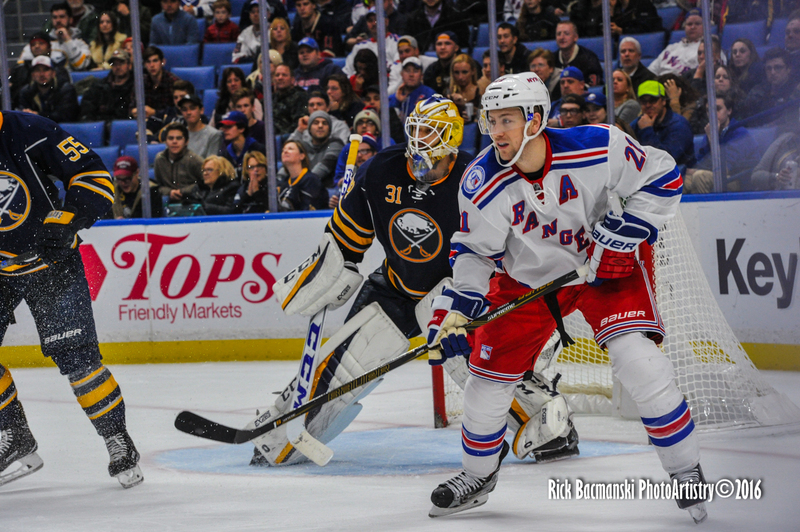 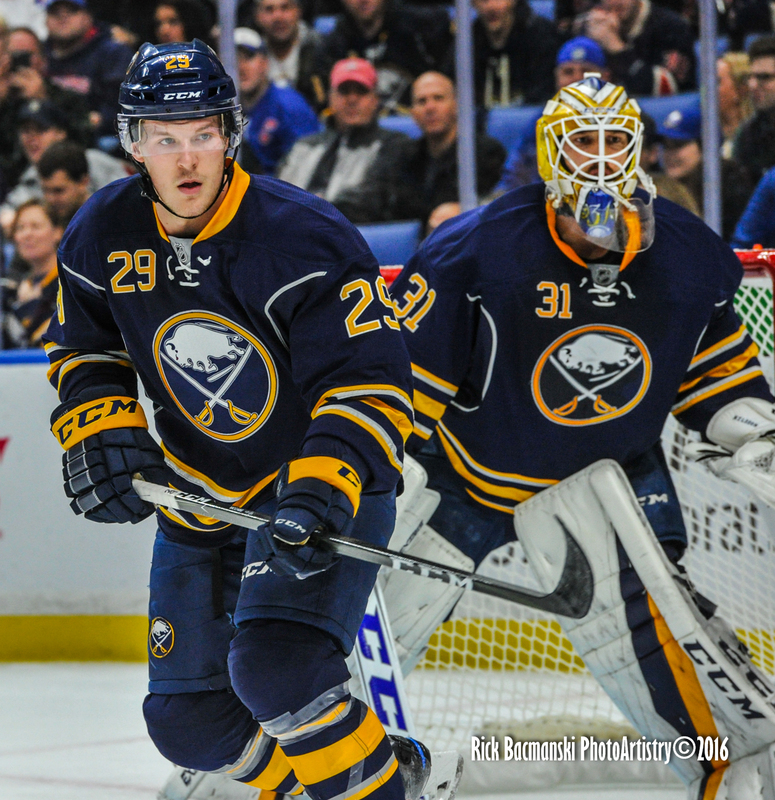 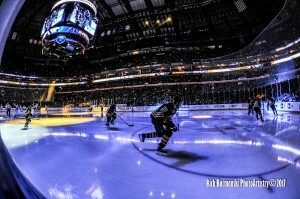 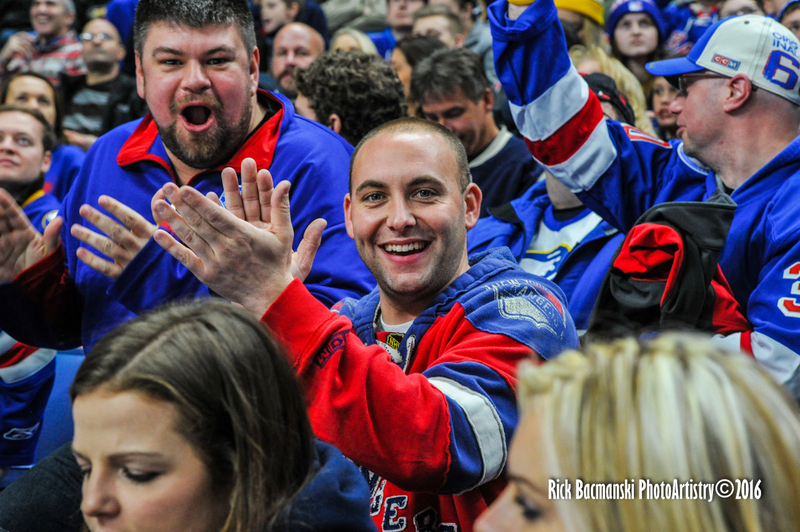 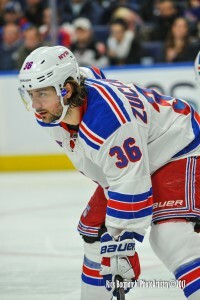 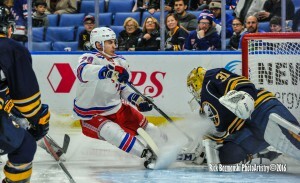 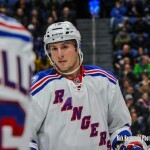 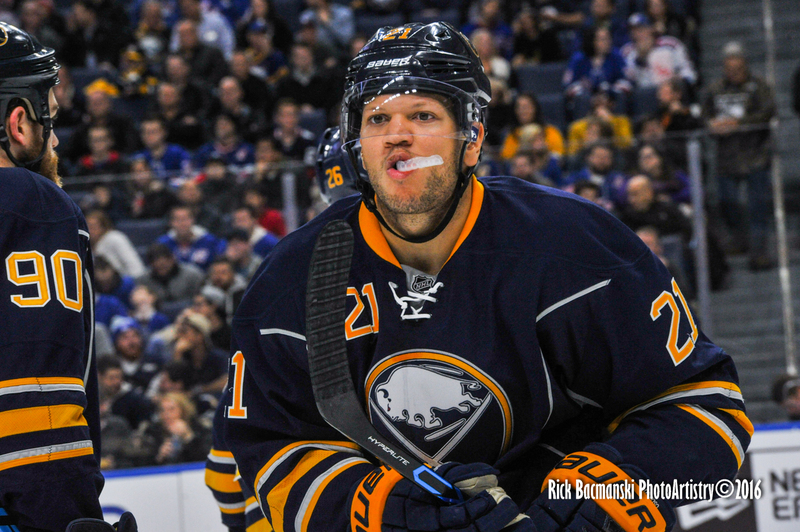 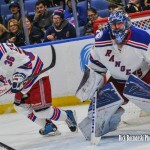 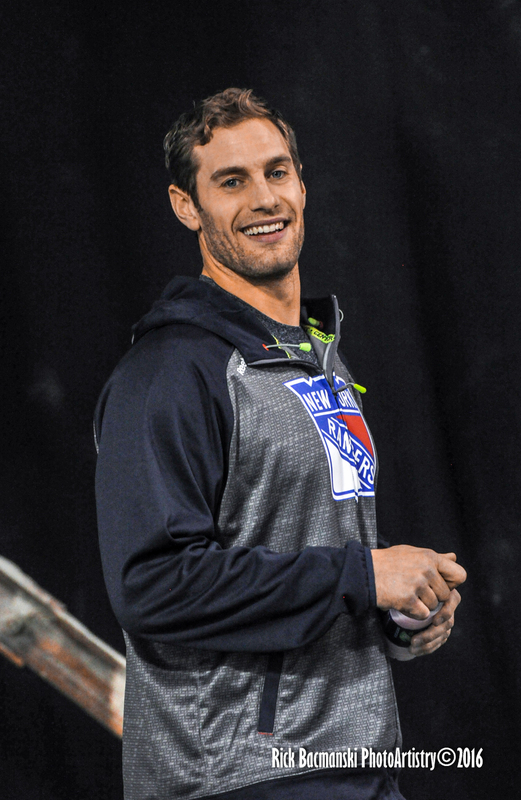 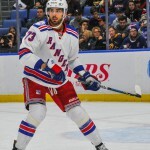 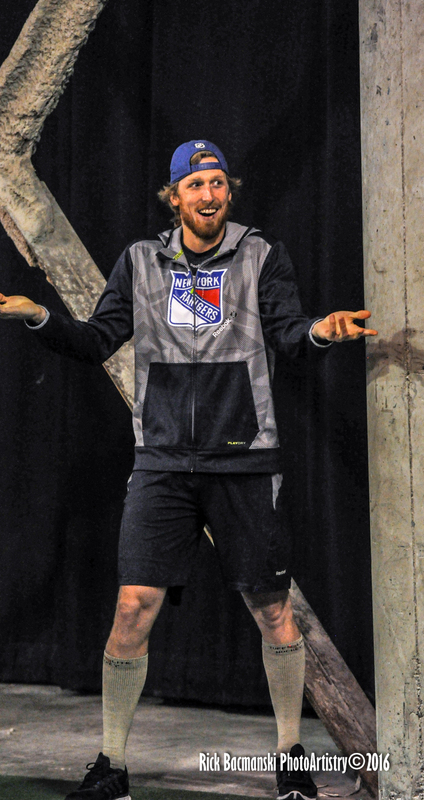 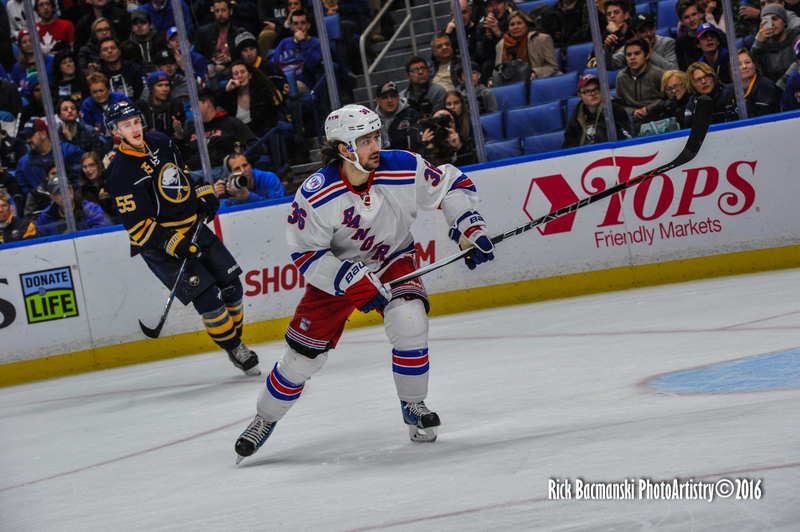 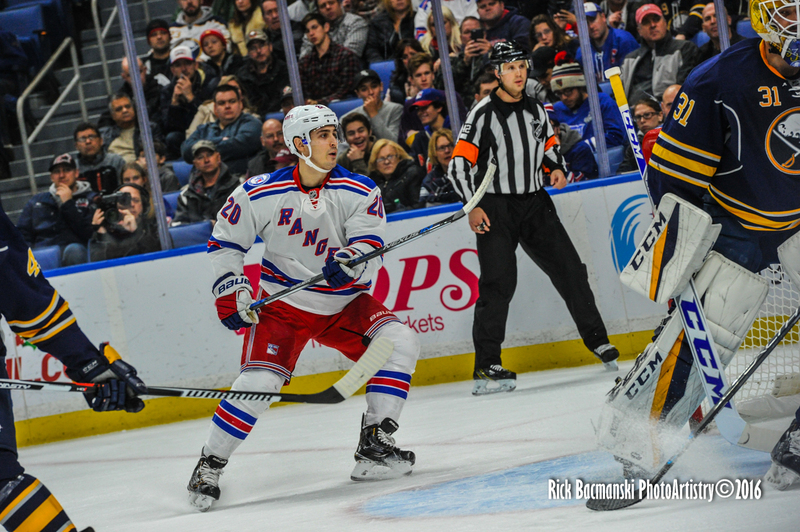 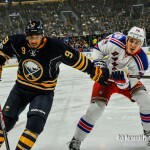 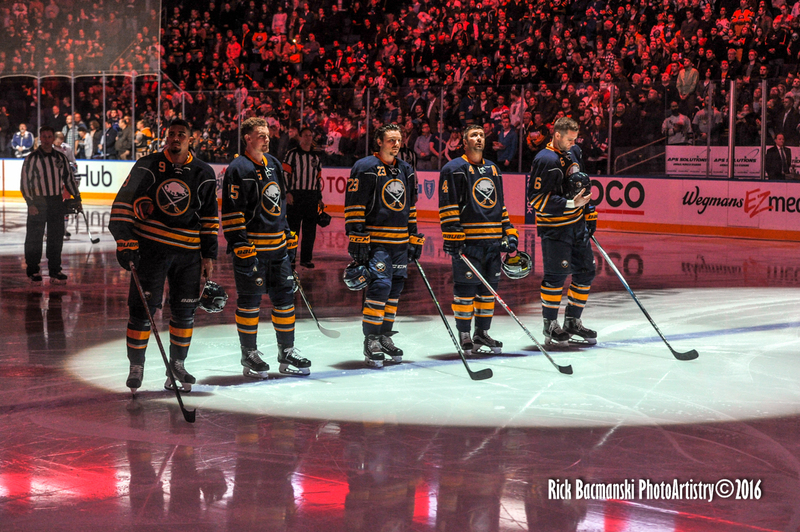 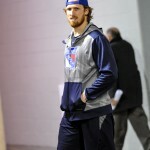 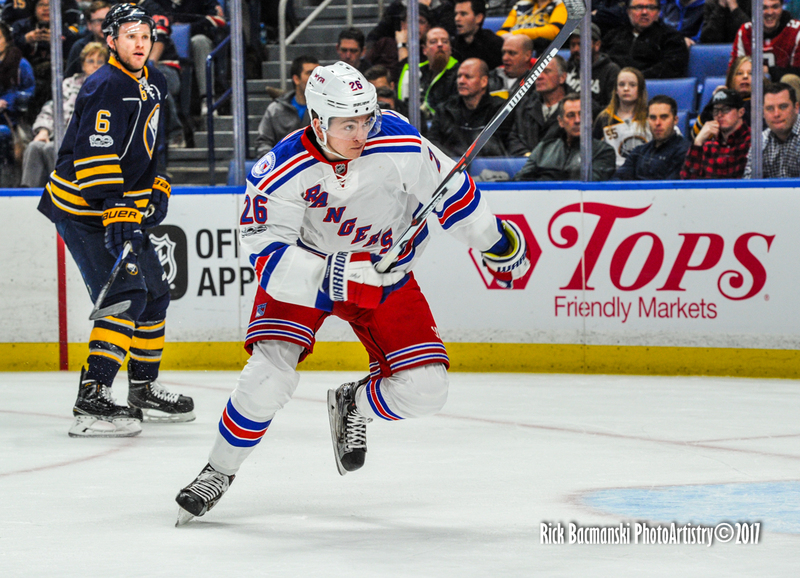 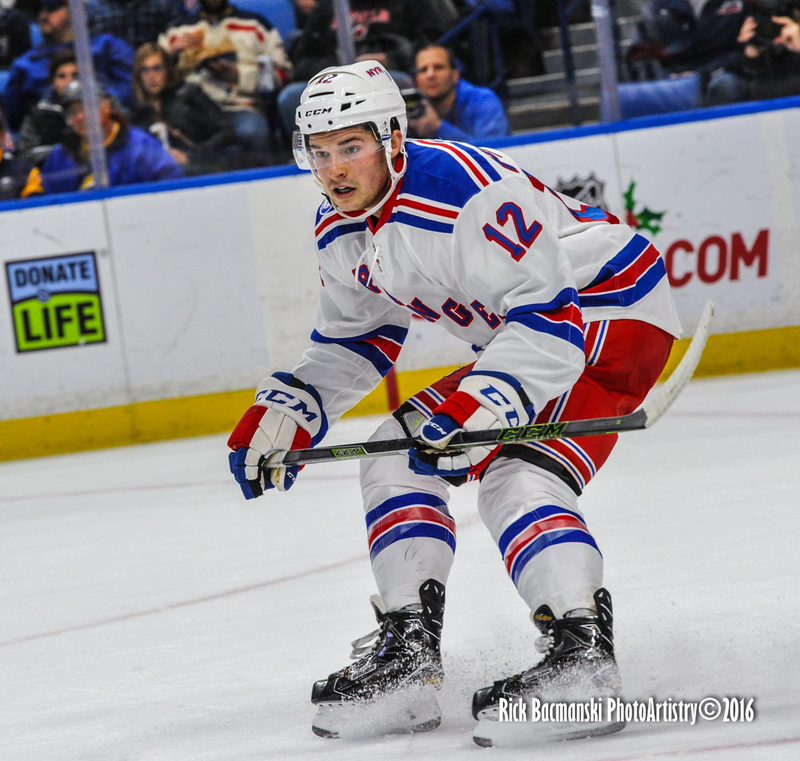 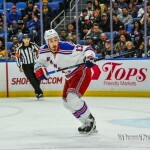 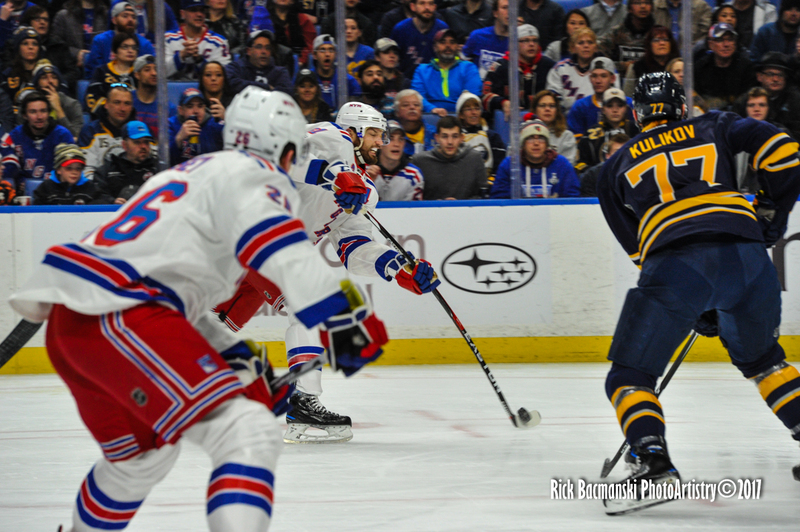 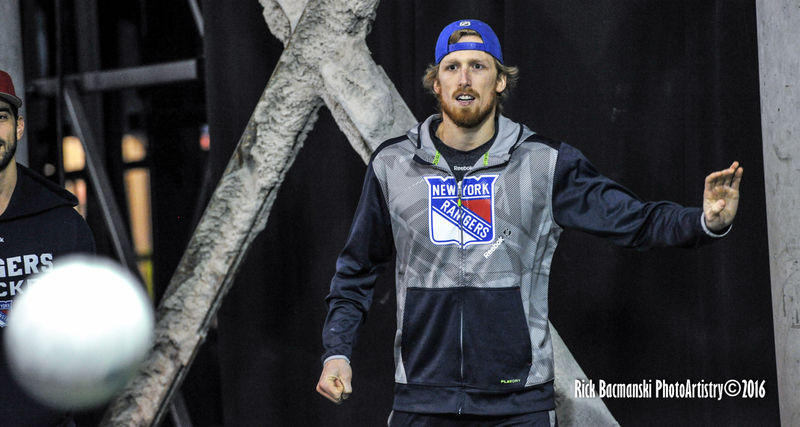 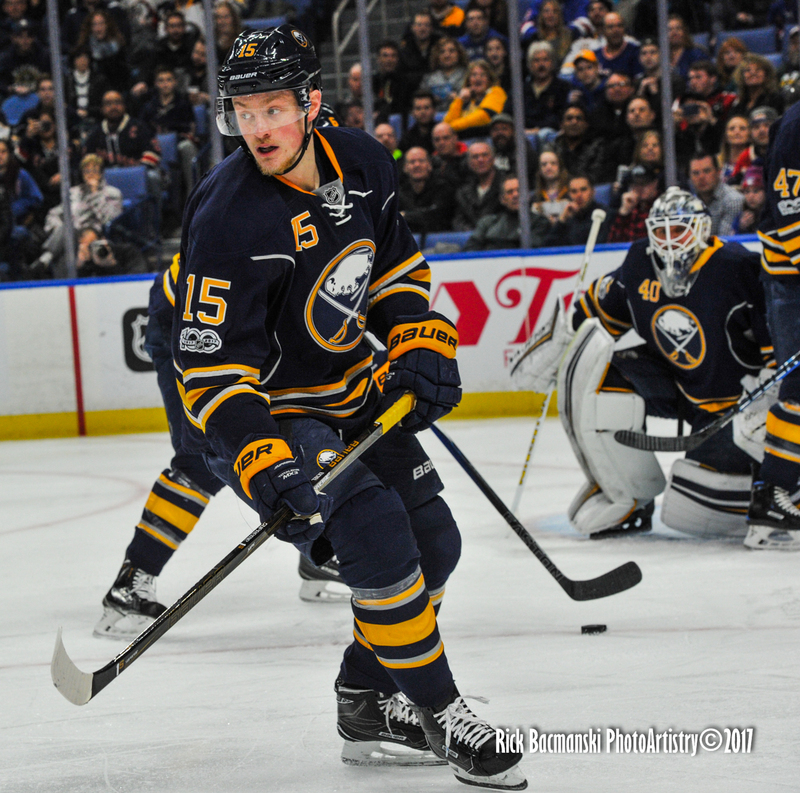 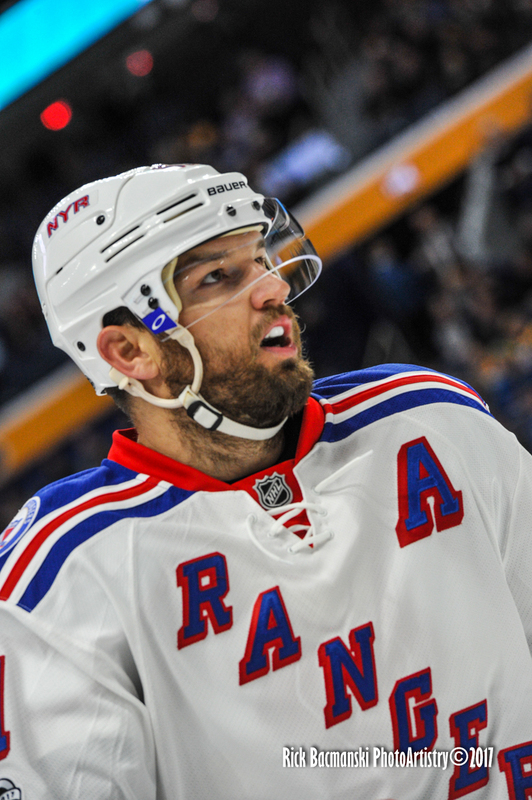 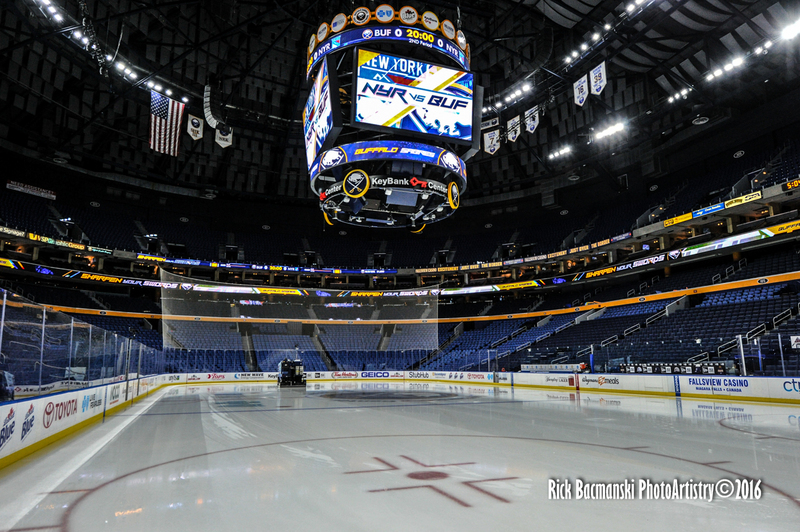 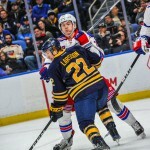 I shot the RANGERS @ Buffalo again last night…a big 2-1 WIN in OT for the Blueshirts. 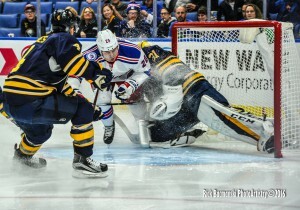 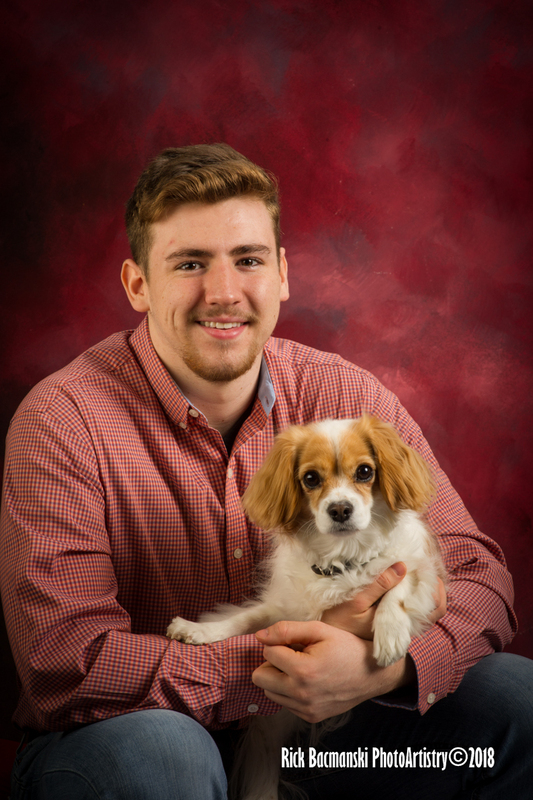 Shot over 1500 images, and I’m just starting to dig into them now, but I knew soon as I shot this one, I knew I NAILED it! 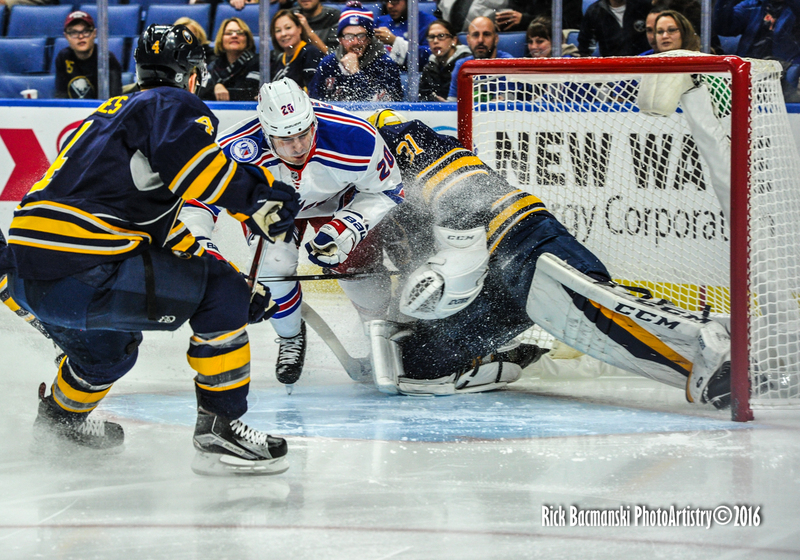 “The King” Henrik Lundqvist making a nice kick save during the Second Period at Key Bank Center in Buffalo. 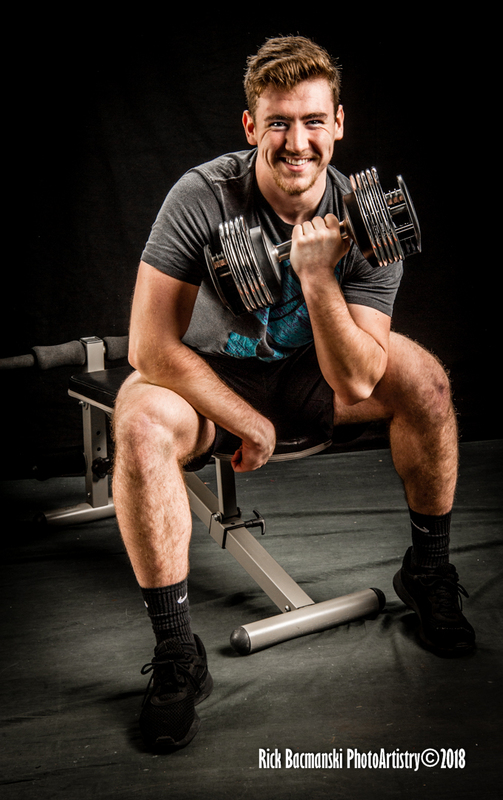 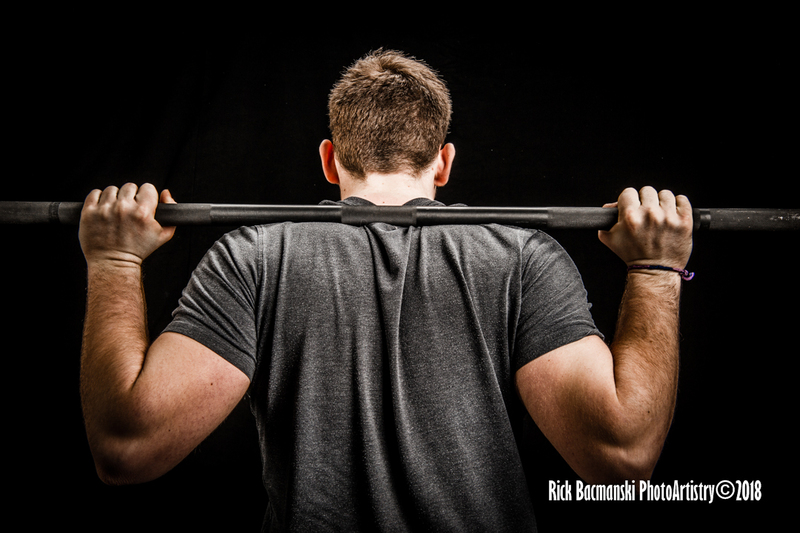 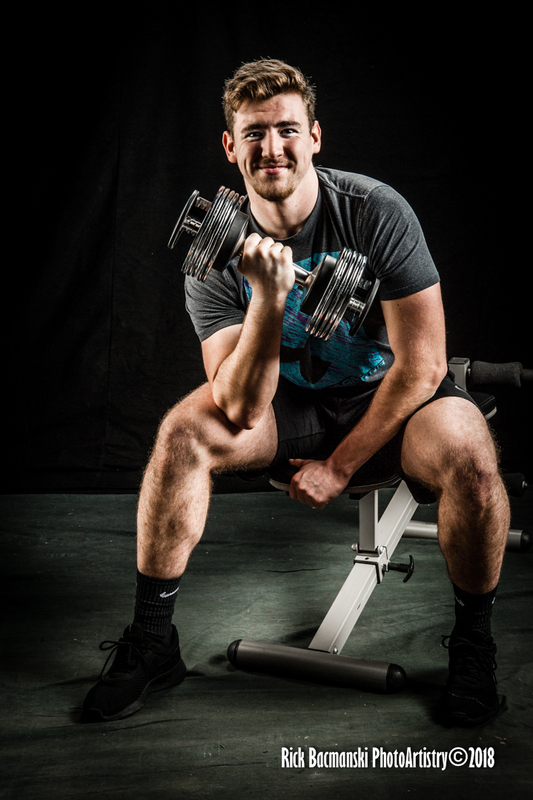 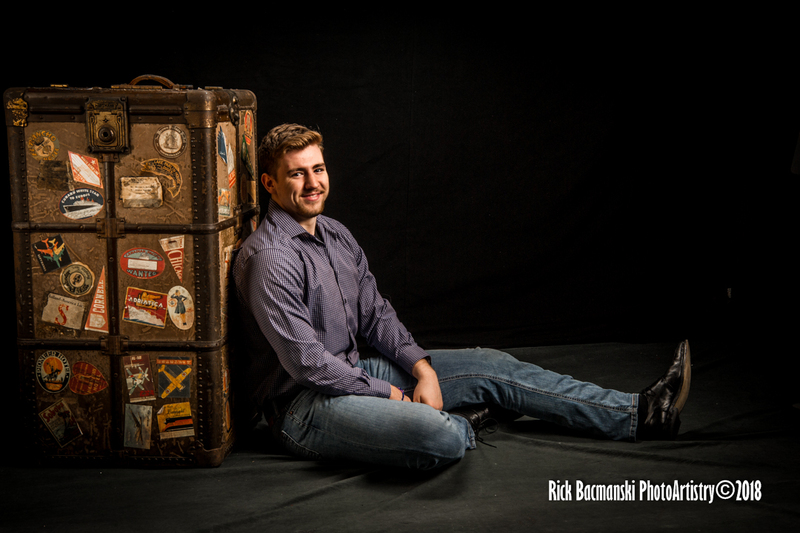 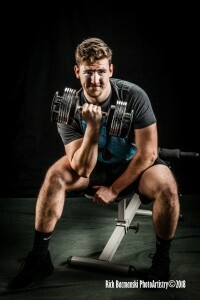 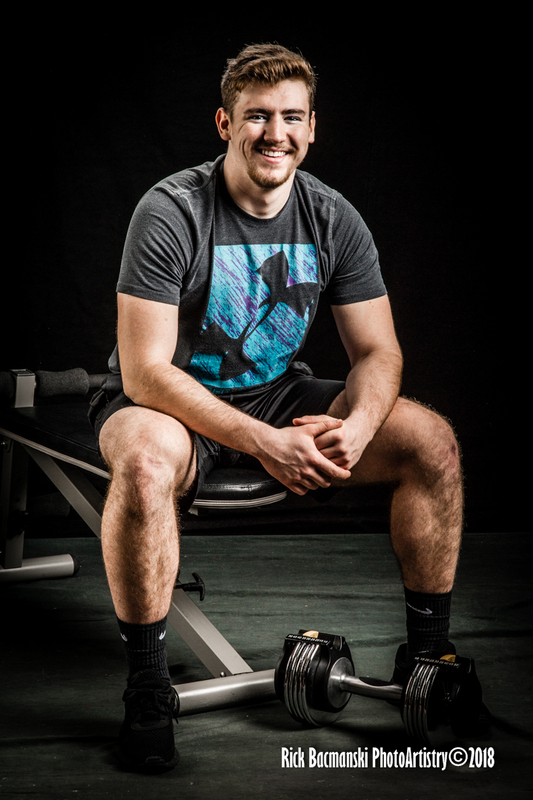 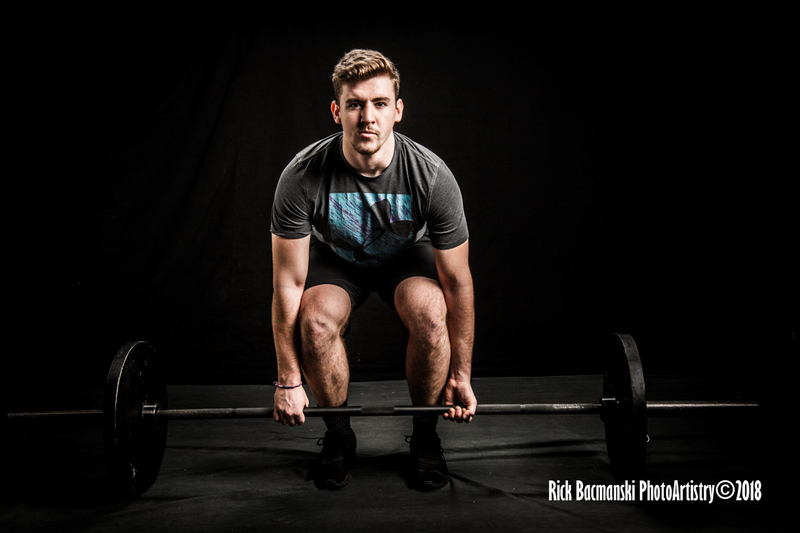 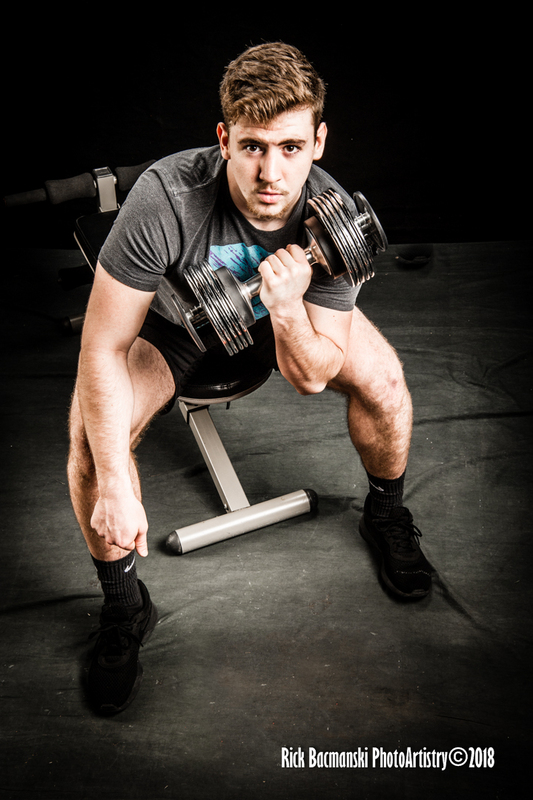 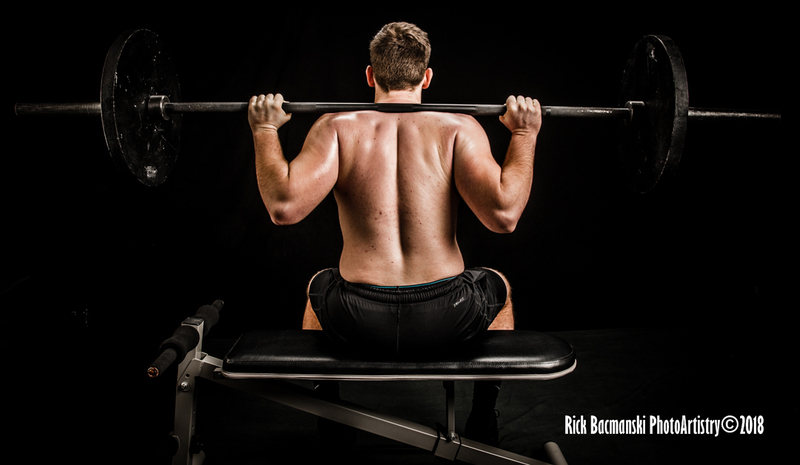 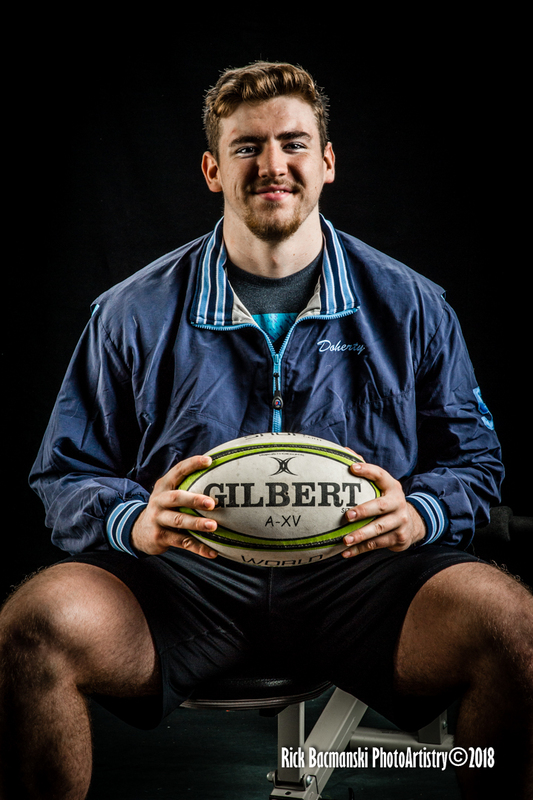 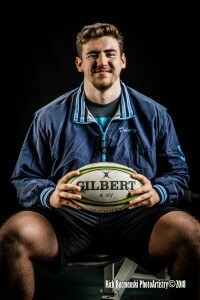 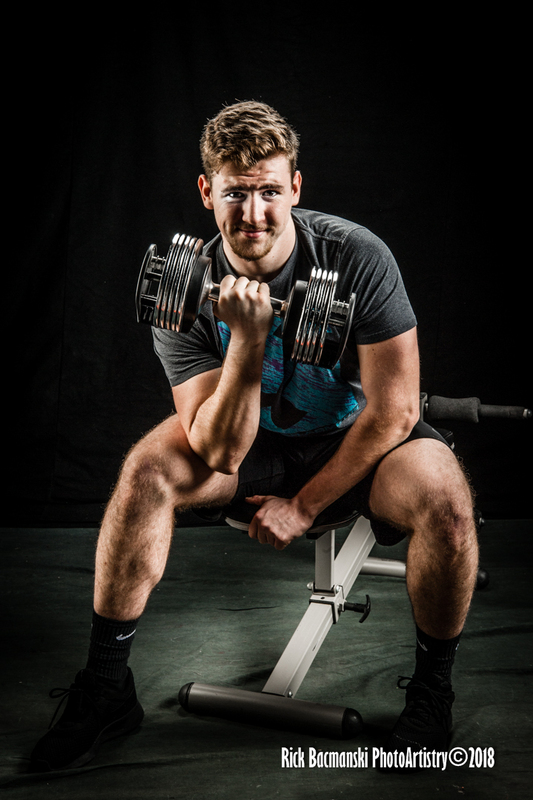 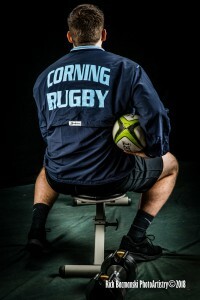 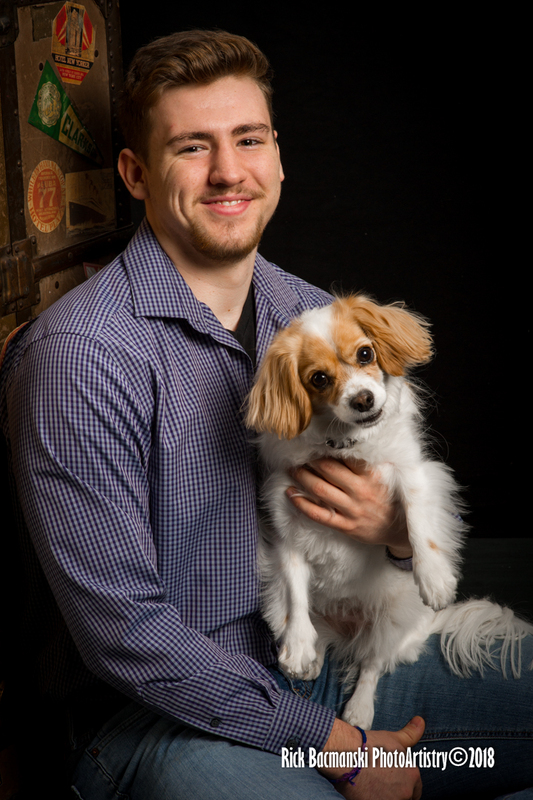 The rest will be up soon as I work my way through them all! 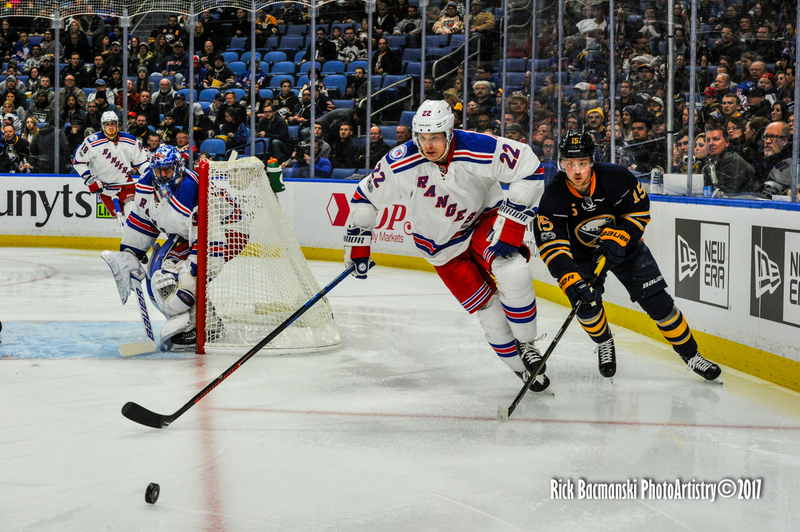 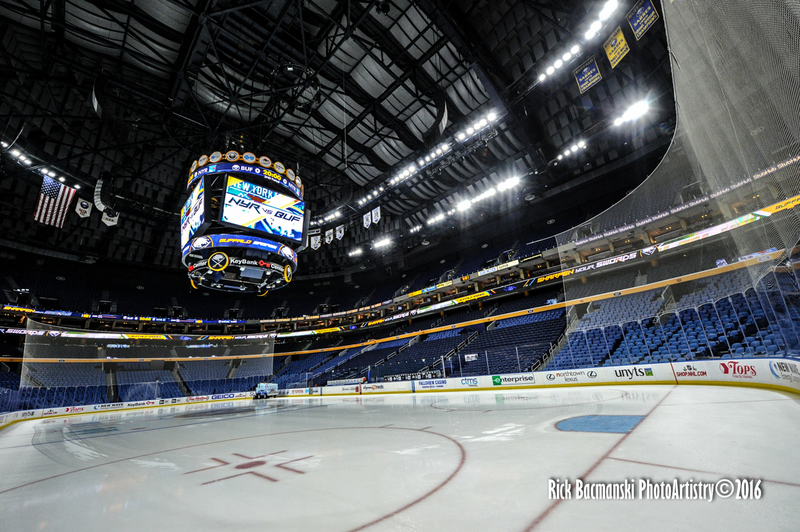 Catching some breathing room with my Wedding editing to finally get started on my RANGERS/SABRES shoot from a few weeks ago. 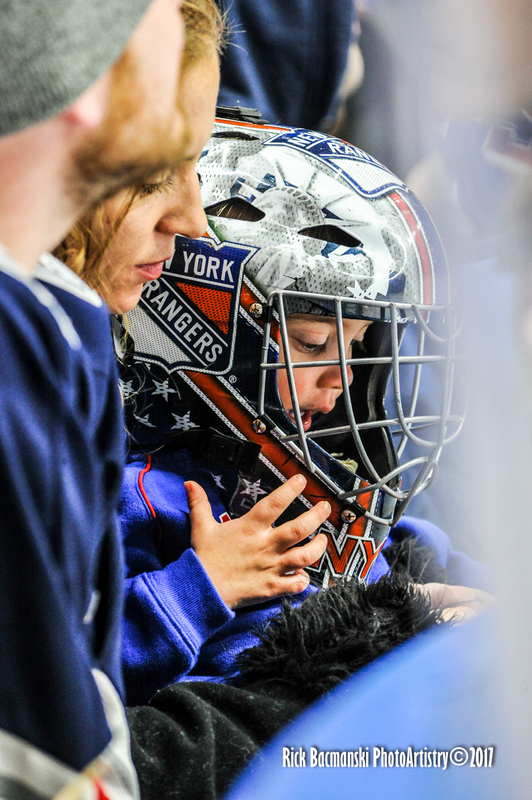 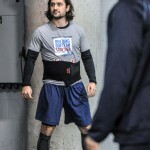 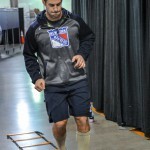 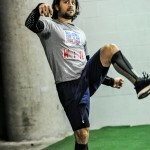 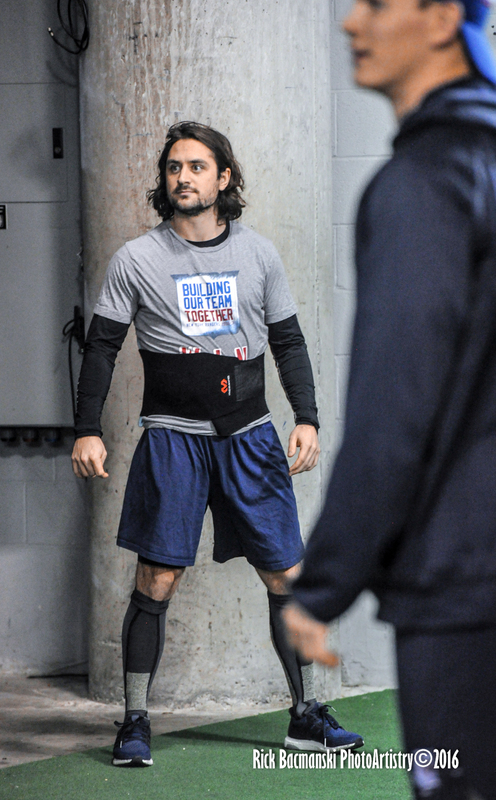 Here are the beginning of a lot of Great Images….the NY RANGERS getting loose underneath the stands as they always do before each game. 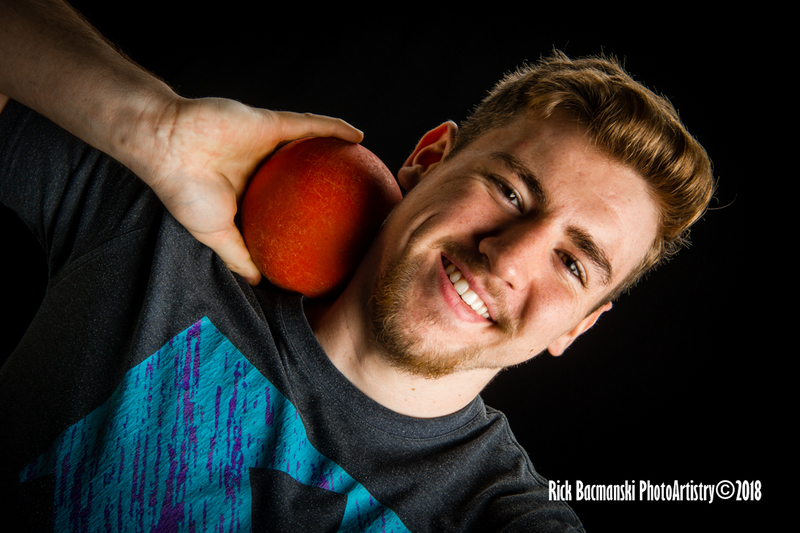 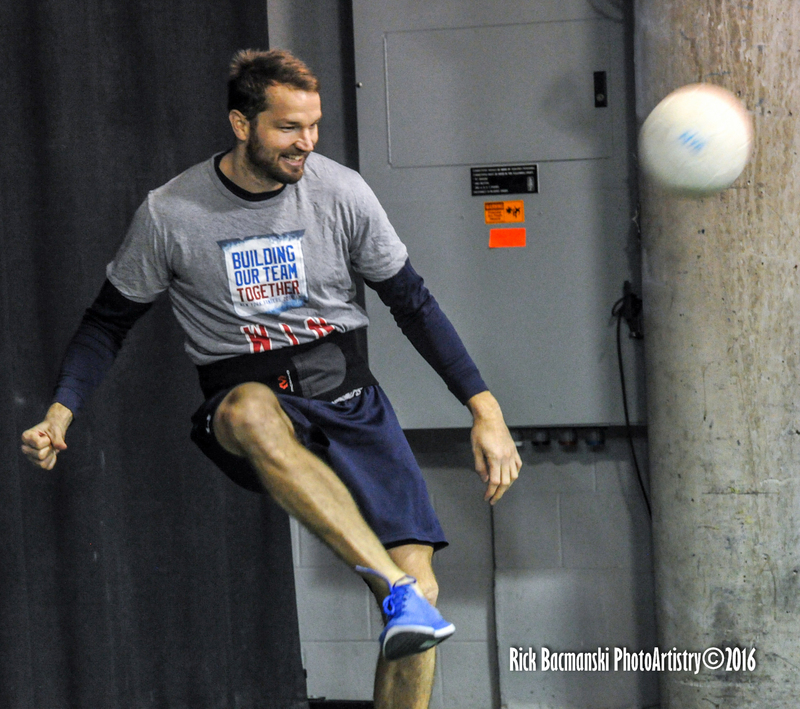 It’s either with a Volleyball or a Soccer or Hand Ball. 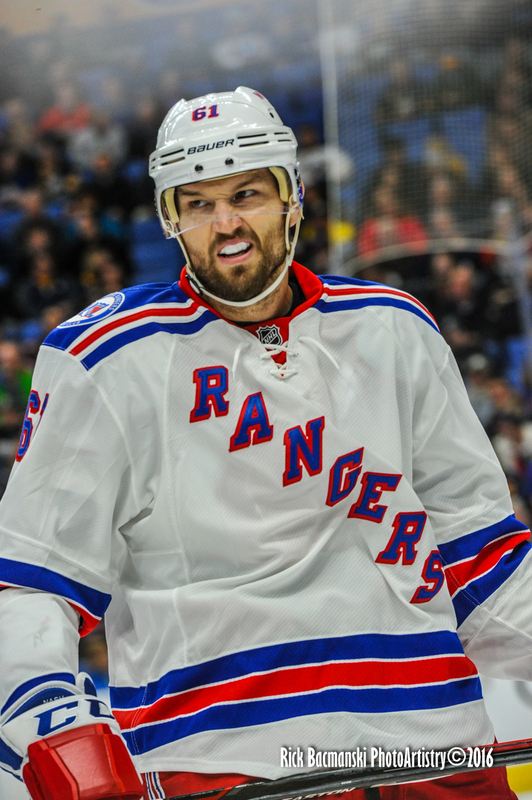 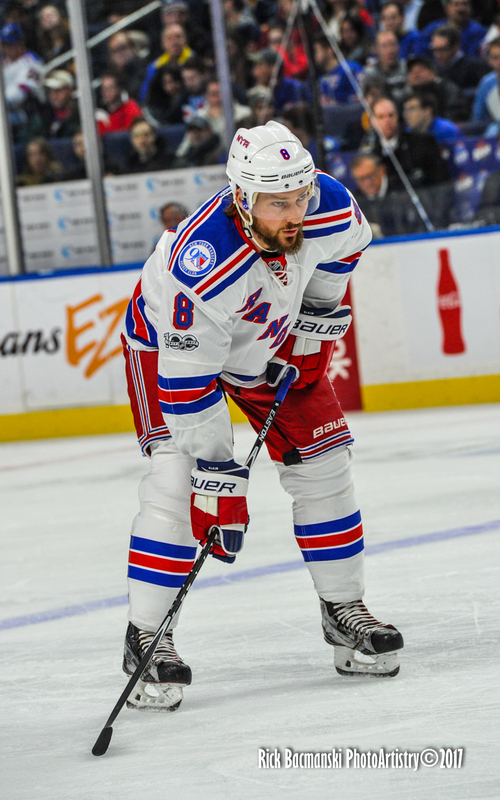 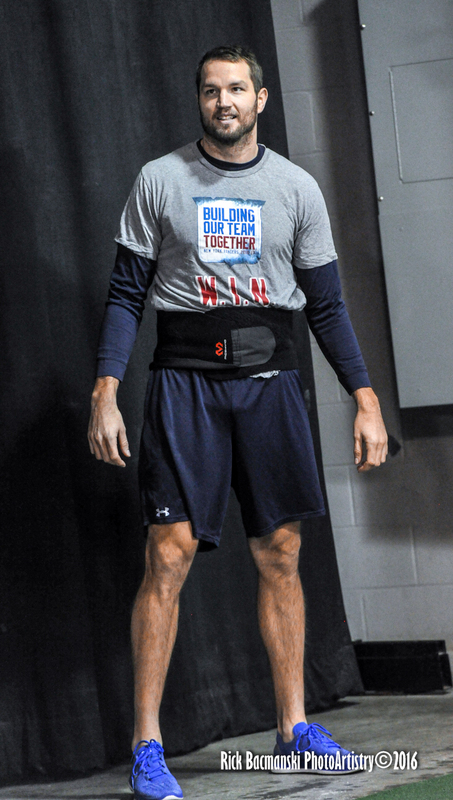 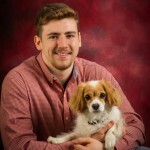 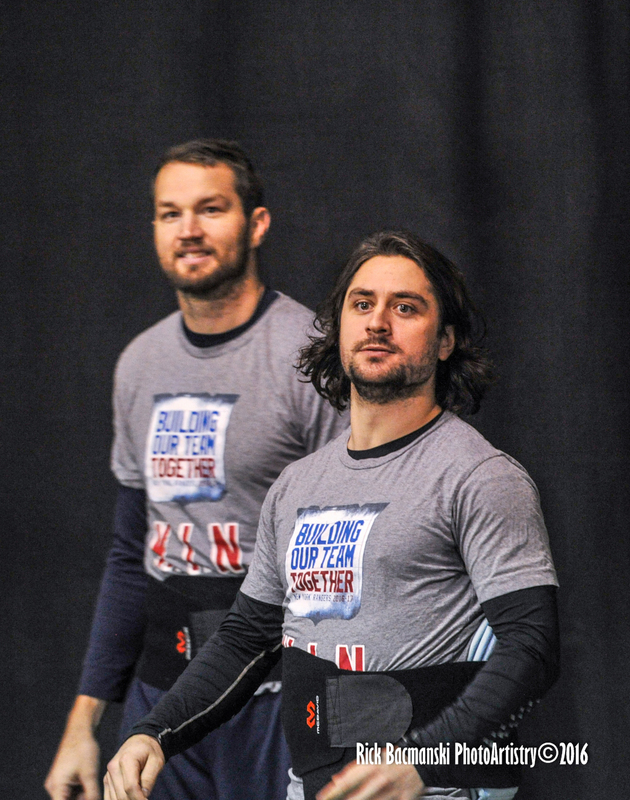 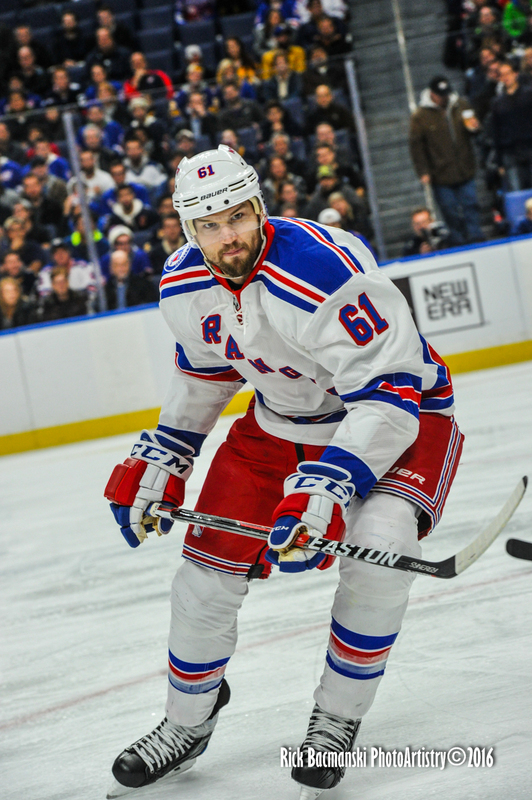 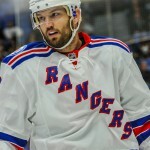 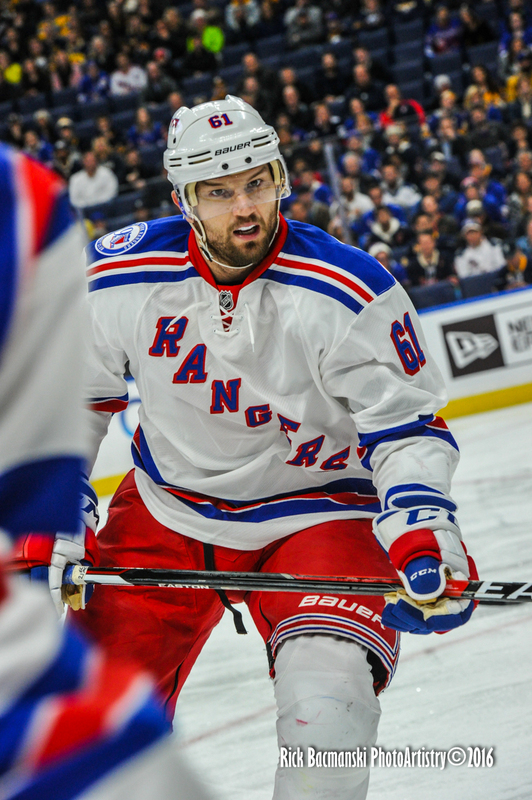 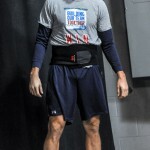 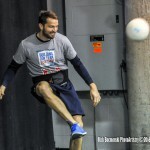 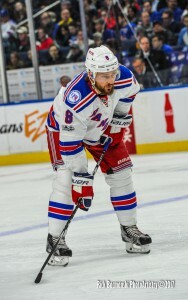 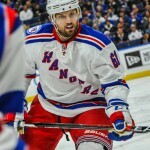 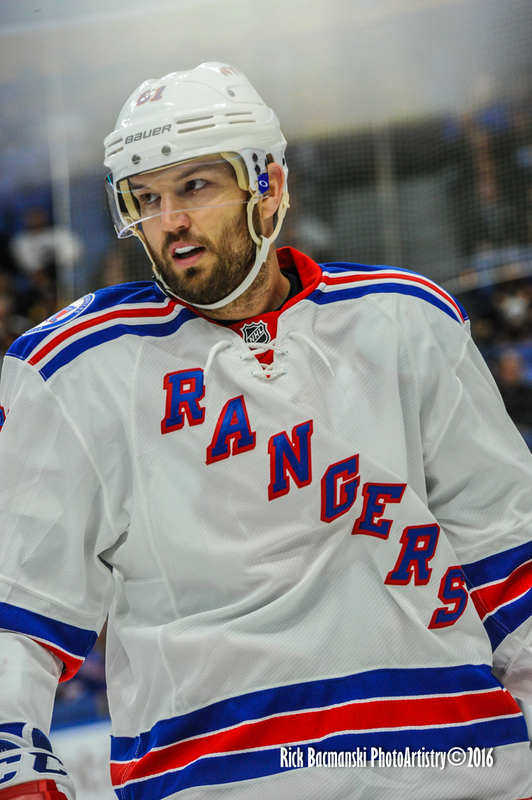 I was particularly surprised seeing Rick Nash. 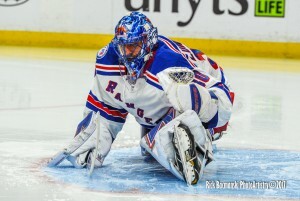 On the Ice he is such a huge, dominating figure, but here he really didn’t seem that big, but man…look at the strength in his legs. 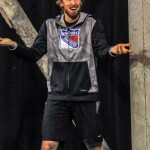 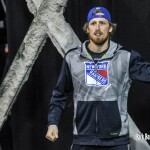 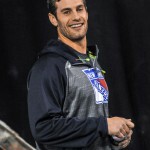 While working on a Wedding after getting back from tonight’s Rehearsal, I JUST HAD TO take a peek & dip my toe into last night’s NHL RANGERS shoot. 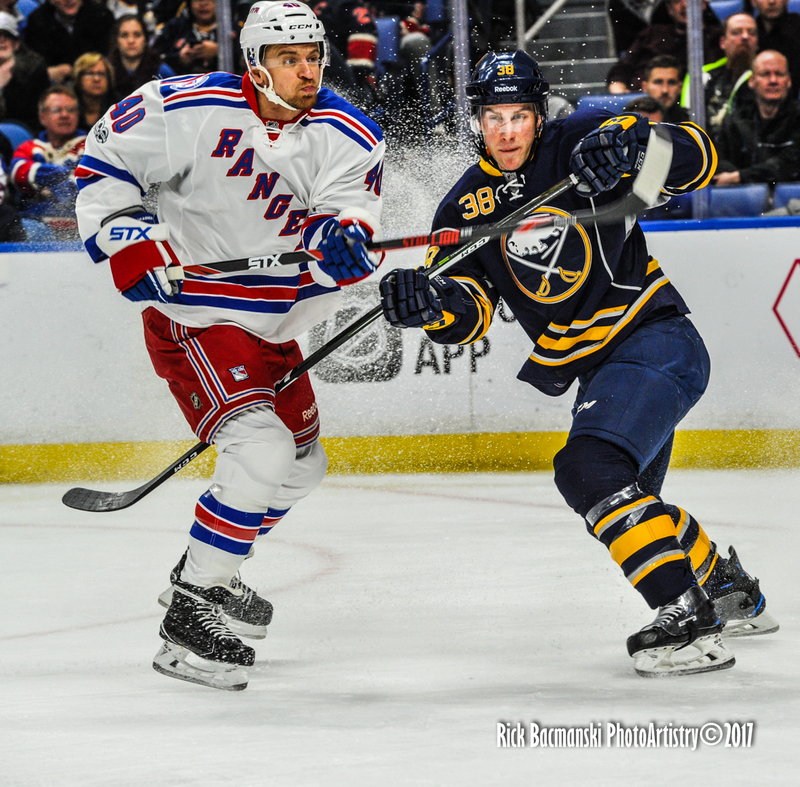 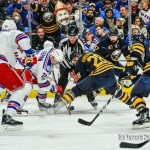 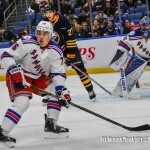 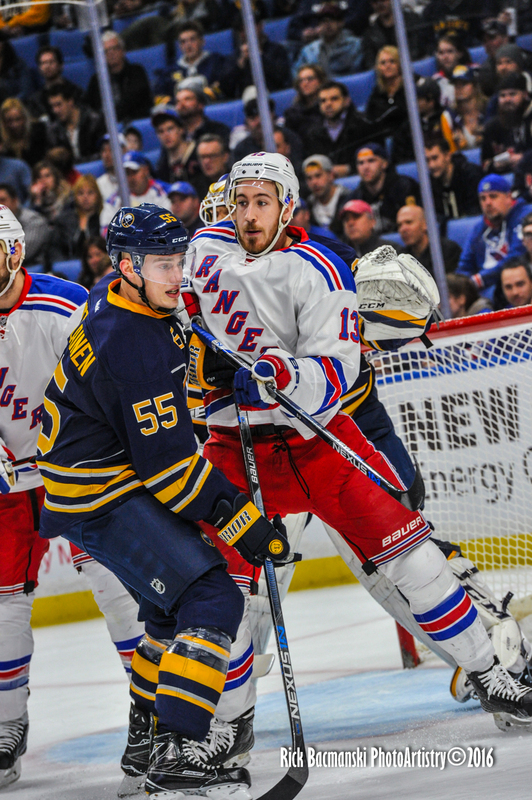 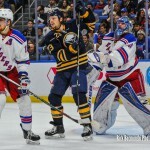 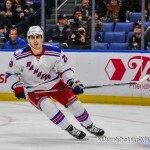 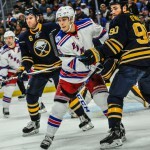 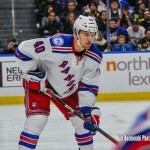 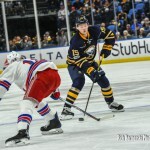 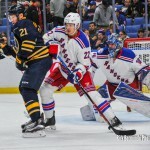 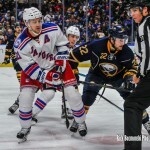 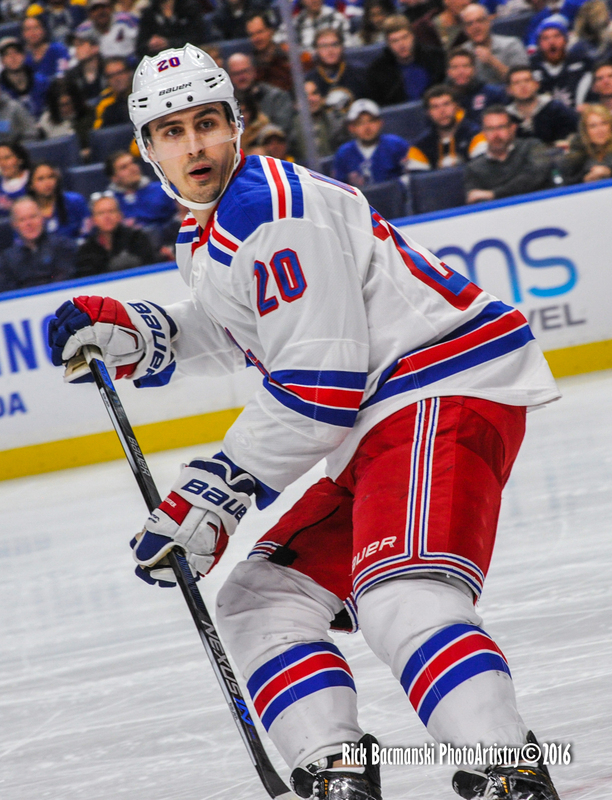 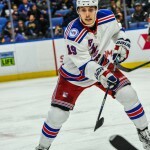 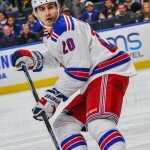 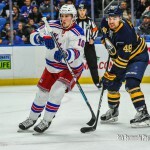 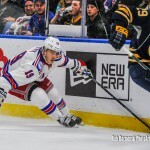 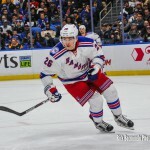 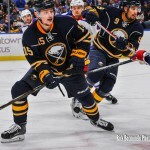 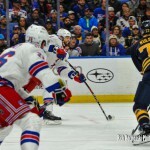 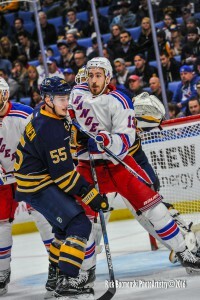 I didn’t have to dip too deep… from the very first play of the game, Rangers Forward Chris Kreider carries the puck to the net at full speed with a Buffalo defender attached to him, that is until #20 Takes Flight! 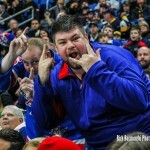 Comments Off on I Just Couldn’t Wait!